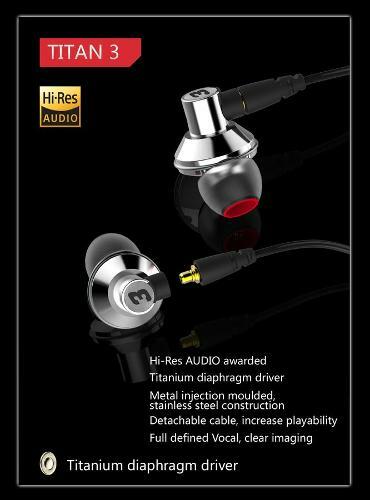 Already awarded the Hi-Res AUDIO certification, Titan 3 utilizes a 13mm diameter single dynamic transducer with titanium diaphragm. Exhaustedly tuned by our design team, the titanium diaphragm’s signature transparency is pushed to its limit. Bass is fast and with adequate quantity and clean impact. Vocal is full, sweet, soulful and clearly defined. Treble is well extended, crisp and smooth with superb instrument positioning and detail reproduction. All in all, Titan 3 is best for vocal. Pros - First rate sound quality. Staging and scale are epic. Sumptuous mids. Cons - Negligible Isolation. That upper vocal peak. Thanks to DUNU for the sample. Build Quality: Very nice. The buds are CNC’ed metal, the cable is removable from the beds and thusly replaceable if you kill it. The cable feels alright, very light and flexible and the jack is metal as usual. It’s a rather nice package. 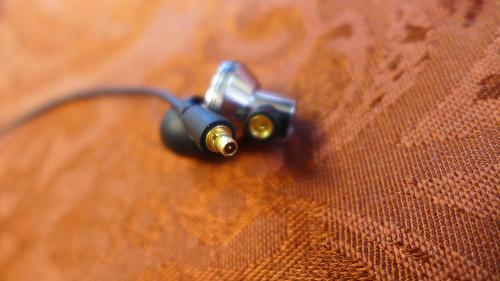 Isolation: Well it’s a very open IEM, hence the isolation it offers is very slight. If you want isolation then this isn’t for you. Comfort/Fit: For me great. I mostly wore them up which worked fine by swapping right and left. With that done I was happy to wear all day. Worn down I found their shallow fit made them regularly tugging and being distracting. Aesthetics: They look pretty good I think. Nothing amazing but still quite nice. Sound: Like the other two TITAN’s the detail levels offered are superb, they are also open, spacious, airy and staging is unusually large. Where the TITAN 3 starts to differentiate itself is in its sound signature. These are the middy, slightly richer, slightly creamy one. Its definitely made with the midrange in mind and they are about the best mids I’ve encountered from a dynamic driver. They are fantastic. The nuance, the subtlety, the detail and all with a soft creamy coating. Soft, smooth vocals are mesmerising. They really are just so very good but they have a definite preference. Their flavouring wants to stay in place when you play other sorts of music. 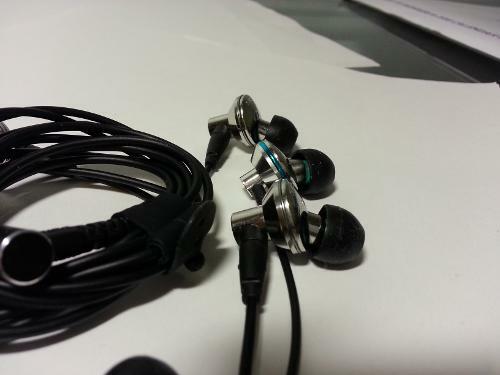 Throw on stuff that is made with a more V shaped sound in mind and they just ignore it. Sure the bass it good, cleanly articulate but I could never make it dominate. The vocals always stood up and sang their heart out. Now I rather like that presentation so I’m not really seeing it as a problem but others will. They are a vocal centric IEM and they will consistently put the vocals at the forefront of things. They are when amped and at volume it has a tendency to peak towards the upper vocal ranges and with the wrong voices it errs towards getting shouty. The highs though are really rather well behaved. The detail level is excellent but they are really rather polite. They offer a light shimmer to all but never sparkle with a bright hard edge. Some may find it too polite and too reserved. In short they are superb, crazy detailed for the price but middy and creamy flavoured. Detail junkie’s won’t likely love having to listen out for it rather than have it hurled at them. 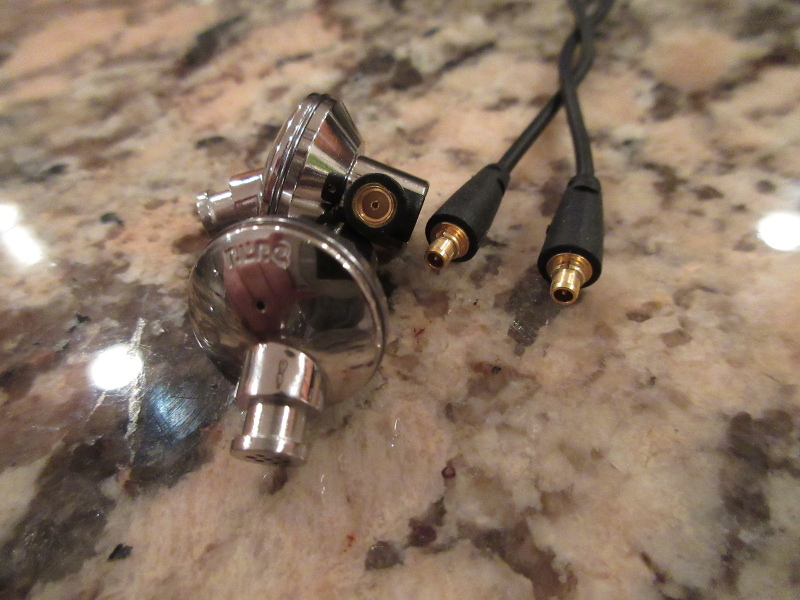 Value: As a backup IEM, hells yeah, middy luchiousness, so much space and grandeur. But…. 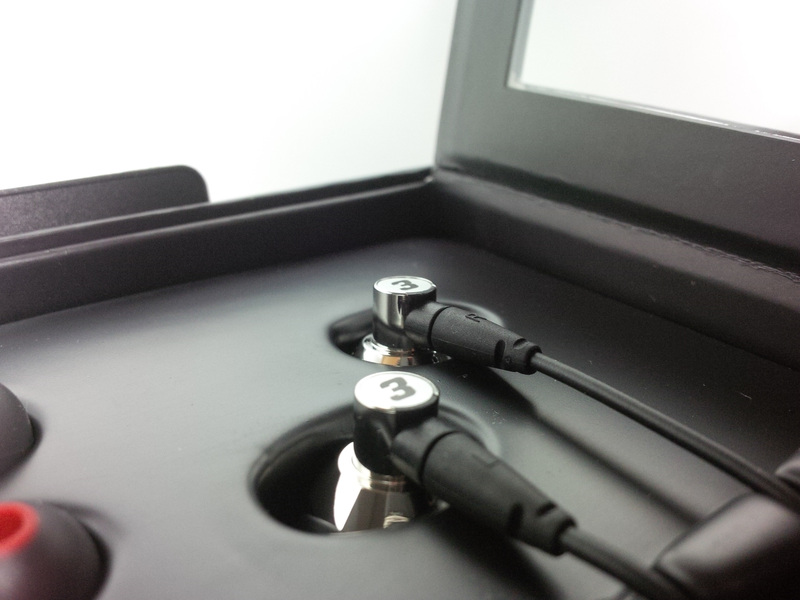 the dearth of isolation means they aren’t suitable for the sort of environments that IEM’s are normally wanted for. 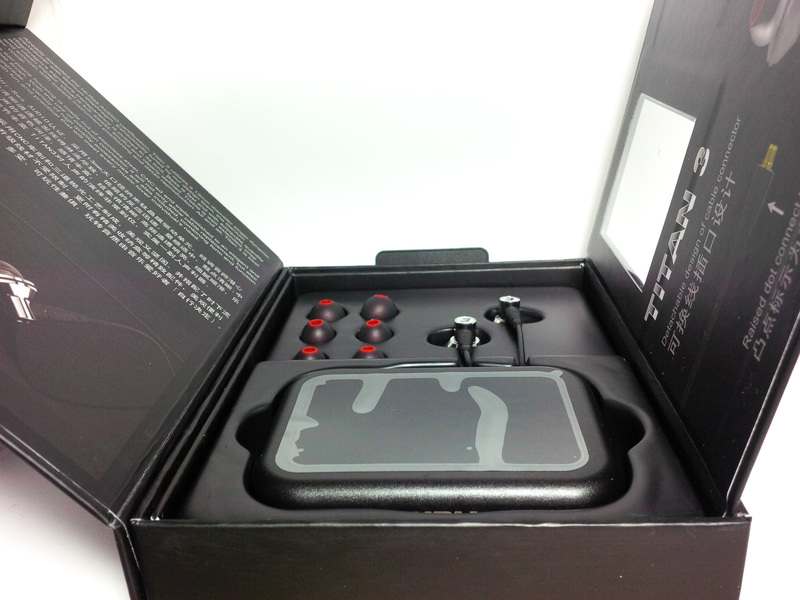 Pro’s: First rate sound quality. Staging and scale are epic. Sumptuous mids. Con’s: Negligible Isolation. That upper vocal peak. Pros - Immaculate balance, impactful bass, beautiful mids, sparkly treble, comfortable fit. Cons - Tape mod essential for best sound, narrow and shallow stage comapared to Titan 1. 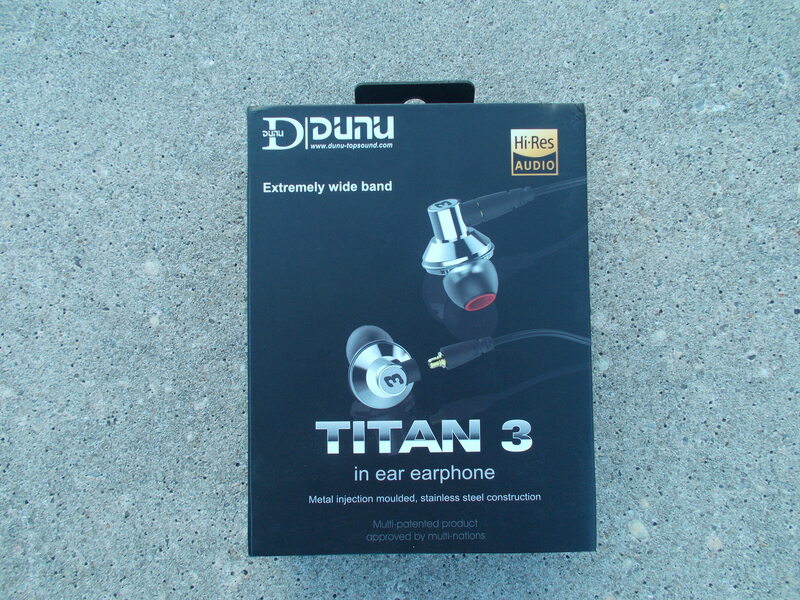 The Dunu Titan 3 was provided as a sample to me in exchange for an honest review. Thanks to Mandy of Dunu for reaching out with this generous offer. The path to this review was perilous. I remembered liking the FiiO EX1 (a rebranded Titan 1) for its immense soundstage, amazing treble, and the general airy, light-as-a-feather sound I’ve never heard before in other IEMs. There were trade-offs for sure, like the sound leak and recessed mids, but it was a winner at the price range. When opportunity came a-knocking to review the Titan 3 I hooted and hollered in anticipation of the massive eargasm I was about to receive. A Titan 1 with better mids, what’s not to like? So what went wrong? Out of the box they refused to sing. The mids were there, rich and nice and forward, but I could not enjoy the music. I thought the fit was off, since the music lacked serious body. Subbass was missing! It felt like listening to bad earbuds. For the EX1, I wore the stock tips and ran away with the music. This was going to take some work. 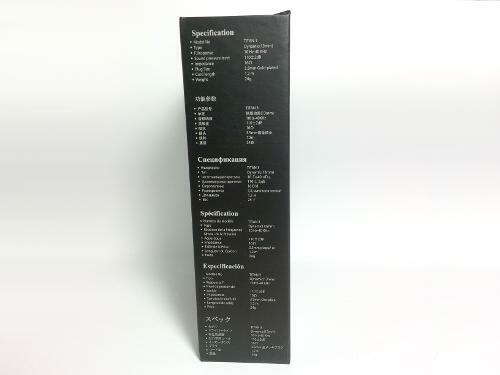 Titan 3 comes in an all-black, classy packaging. 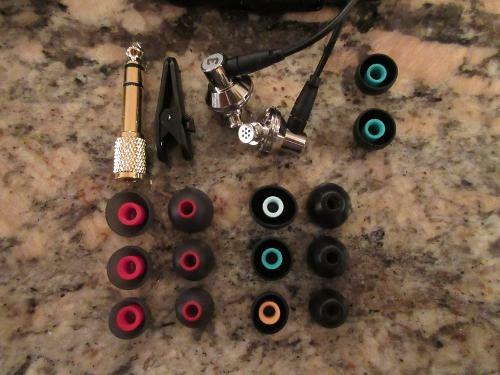 The accessories are 6 pairs of silicone eartips (3 Heir-like, 3 Sony Hybrids-like, in S, M and L), a 3.5mm to 6.5mm adapter, a shirt clip, 2 fin-like ear stabilisers, and a plastic carrying case. The case is similar to the Titan 1/EX1 case with the exact same flaw. I had a hard time fitting the Titan 3 into it. I would rather a conventional zippered case instead. Accessory set. Not pictured: Sony hybrids-like tips. The stock tips did not do it for me. The lack of bass, and hollowness of the music could not be corrected with stock tip-rolling, and I was dreading to put this into words as I had high hopes. To add insult to injury, if I pushed the housings further into my ears, I heard a fuller, more satisfying sound. The missing bass was there! I had to get them out with the correct tips and insertion depth. Sony hybrids, JVC Spiral Dots, Spinfits, some spare KZ tips… nothing. I put them on the burner for 100 hours. Make no mistake though, they are meticulously engineered. Solid pieces of metal housings that feel great when you knock ’em together (couldn’t resist), the keenly-designed Y-split and chin slider “lid”, the 90-degree 3.5mm jack with an understated chrome ring… subtle touches that add class and character to the Titan 3. The cable feels supple and smooth, has a seriously nice feel to them and doesn’t tangle easily, replaceable as well… winner. 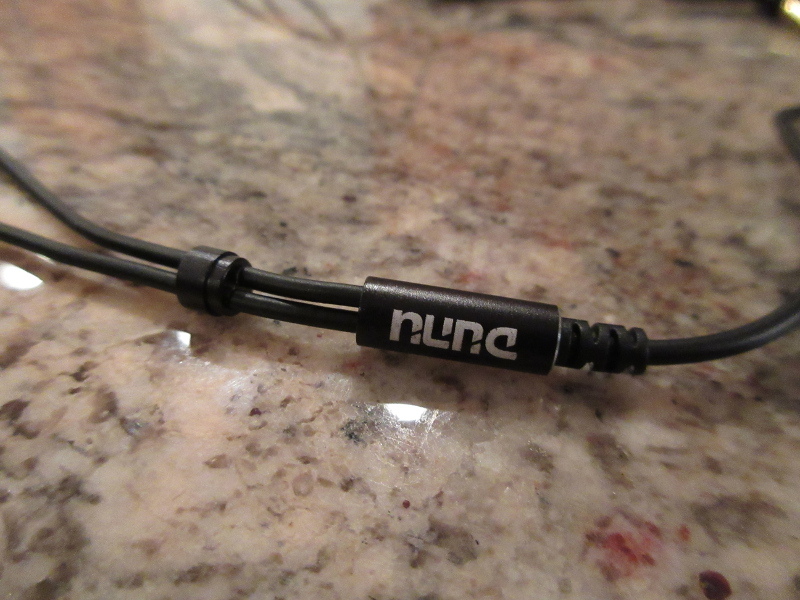 In fact the entire Dunu line has similar nice-to-touch cables, including their upcoming range that I had the pleasure of trying. Burning in didn’t work either, and I shelved the Titan 3 disappointingly. Days bled to weeks, and life got in the way as well. Exam preparations, research deadlines, family commitments, workplace inconveniences… I was taken away from this hobby often enough. Then came the (self-imposed) review deadline, and a friendly reminder from Mandy as well. It has been a month since I had them. They fit comfortably enough. Lightweight just like the Titan 1/EX1 and the thicker MMCX connectors didn’t make them feel heavier at all. The design has always been a better aspect of the Titans. Fit is shallow, like earbuds with tips, so don’t expect a lot of isolation. But at the same time, with significantly less venting than the Titan 1, isolation is much better than the T1, and sound leak is not an issue anymore. There are trade-offs, of course, and I will get to them very soon. I did something I would not ordinarily do. Read other reviews of a product I was about to review. And that was where I learnt about the tape mod. Malaysians have an expression when they have a “eureka” moment. And it is expressed, often in bold, all caps and double exclamation, “ITU DIA! !” (read like ee-too deaaa) Literally meaning “that’s the one”, with the tape mod (taping the vent in both housings with masking tape and poking a small hole through them with a pin) I’ve found the missing bass at last, and the sound is instantly pleasing. The Titan 3 is tuned slightly warm. Bass has body and thump, with mids/vocals emphasis. Some treble sparkle/shimmer provides counterbalance to the warm bass. A well-balanced tuning, making this a good all-rounder. Take note that sound impressions are made with the tape mod, and frankly the only way I’ll listen to the Titan 3. The tape mod brings out the bass, revealing a pleasing signature with good coherence and a fairly wide soundstage for its asking price. Good bass should be heard AND felt. Titan 3 bass reaches down and tickles your throat. You feel the low hums and buzzes. The subbass extends fairly deep, you don’t feel like they lack any details, while the midbass is lifted for more bass body. When it punches it does so with authority. It’s not the swift and nimble type of bass, rather more full-bodied, and in EDM this becomes quite a treat. The note thickness can be overbearing in classical and metal but of course, you can attenuate the bass by poking a larger hole through the taped vent. In a word, beautiful. 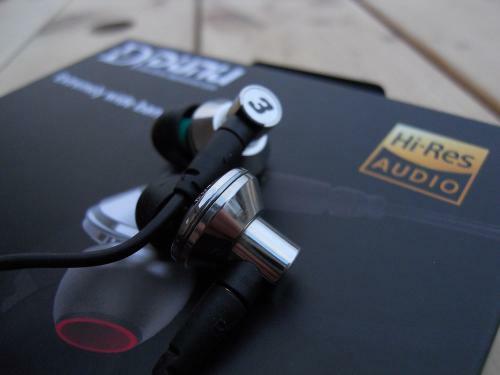 Dunu is known for their V-shaped hybrids, so a mid-centric IEM from them is a welcome addition. Here the mids are placed slightly forward compared to the rest of the spectrum. The lower mids carry over the warmth of the bass, lending weight and a richness to male vocals especially. The upper mids manage a good balance between clarity and smoothness. If bumped up too much, female vocals would sound nasal and unnatural, I’m glad they sidestepped this trap. Timbre and note thickness is just right, so vocals male and female, pianos and guitars sound natural and beautiful. Another strength of the Titans. The treble is crispy, clean and clear, again with excellent detail. It is just slightly smoothed out at the top end compared to the Titan 1/EX1, making this a more appealing, comfortable listen. Cymbals and high hats have accurate attack and decay, and never sound harsh. Though it lacks the airiness and excitement of the Titan 1/EX1, it’s a trade-off I’m willing to live with. The treble is not let loose, rather balanced in weightage with the bass. But it is a change in character for people expecting something similar to the Titan 1/EX1. Respect the Dunu. The what? The Dunu. The biggest knock takes place here. Gone is the airy, wide and deep encircling soundstage that was akin to open headphones and so thoroughly addictive of the Titan 1/EX1. After cutting down on the vents and improving isolation, this is the compromise of the Titan 3. 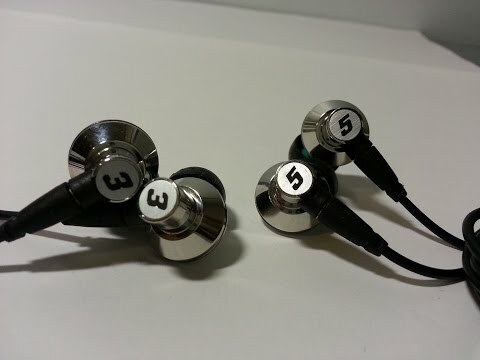 We have something more expected of IEMs in this price range. Fairly wide, not deep, and just a bit of height. Vocals are projected slightly forward, and that’s as deep as the stage goes. Width is good, especially in well-mastered recordings, just be wary that in most modern recordings it won’t provide the magic dust to make the stage wider or separate cleaner. Imaging is fairly good, placement is quite accurate, just not much space in between instruments. Separation takes a knock because of the bass weight, there is just a bit of bleed into the lower mids in complicated passages. This is the best compromise however, for the modded Titan 3 to sound their best. Unmodded to my ears was airier but thoroughly missing bass authority. I’m sure some reviewers have better luck than me listening to unmodded, or as Dunu intended. Might just be the shape of my ears. What the Titan 3 should be known for, however, is the immaculate balance of the sound spectrum that’s massively satisfying. Bass, mids, and treble work in tandem to provide a very likeable, tuneful sound signature that’s a better all-rounder than the Titan 1/EX1. Nothing to fault tonality-wise, except maybe the difference in note thickness between the bass and the rest of the spectrum, no doubt because of the mod. It’s still fun and engaging nonetheless. The undisputed lord of airiness and soundstage has yet to be slain at this level, and likely won’t be for quite some time. The Titan 3 did not stand a chance because it set out to achieve a different goal: beautiful mids, which it has accomplished. The reduced venting and improved isolation also meant the Titan 3 has more alike with its similarly-priced peers than the Titan 1. Its greatest weapon is its balanced tuning which it should wield like a mighty sword into battle. The bass and mids slay the Titan 1 in tonality, dynamism and richness. It’s a full, matured sound that makes the Titan 1 sound like a lightweight. The treble is a closer fight. If it’s detail you want, the Titan 1 has it in spades, even more so than the Titan 3. Its no-compromise in approach means it’s very revealing to bad recordings. It sparkles and shimmers even more than the Titan 3, sometimes to the point of harshness. The Titan 3 has less extension and a slightly gentler treble, but well-controlled and definitely provides enough sparkle for the rest of us. Dunu has done it again. The Titan 3 hits big where it matters most, delivering quality bass, mids and treble in just the right amounts, with a well-balanced, slightly mid-forward signature. It’s a very likeable sound able to take on most genres. Its weakness in soundstage is only a weakness if compared to the Titan 1, and our expectations of it. My opinion is that the only way to listen to Titan 3 is with the tape mod. Different strokes for different folks, but to me the tape mod completes the Titan 3. 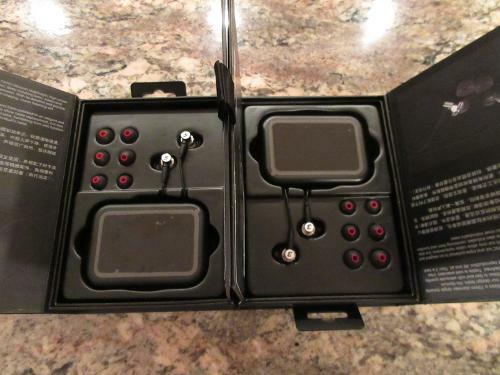 It should definitely be in your shortlist if you’re looking for a fun, mid-centric, immersive pair of IEMs. Light - Man, flinkenick and autumnholy like this. “ITU DIA! !” or as my brother would proclaim NinDia!! If you're willing to give up some soundstage, this is a good choice, or you can consider ATH-CKR9. RE-400 has great mids but rolled-off treble and light bass, and I can't recommend it bcos of the build quality. Sorry for the late reply I don't get notifications for comments here. Or bite the bullet, get the FLC8 and be happy forever hahaha. Keeping the Nano-titanium drivers, Dunu intends to pack all the “Titan-Goodness” into a better isolating package, with the Titan 3 and Titan 5. Despite the grand response the Titan 1 garnered, a common complaint is the lack of isolation in its semi-vented/open nature. Dunu has taken criticisms to heart and went back to the drawing board to address common issues from the Titan 1. Lets find out how they did! Disclaimer- I would like to thank Dunu (for providing me with the Titan 3) to review as well as my peers in the Dunu Titan thread, for arranging for the Titan 3 and 5 for the Demo Tour! 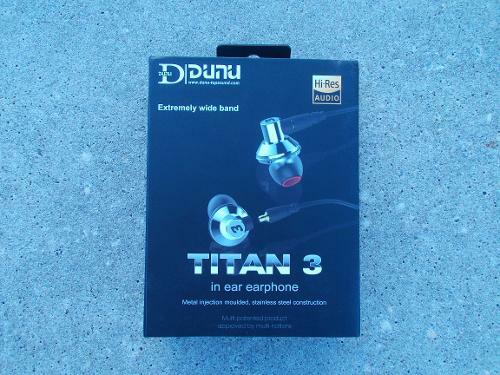 Dunu includes a variety of goodies with the Titan 3. There are: 3 pairs of the Sony silicone hybrids (black, color-coded tips); 3 pairs Red and Grey Silicone; a shirt clip and a ¼ inch adapter. Of course one of the biggest additions is the inclusion of the silicone fin guards, providing a rubber bumper guard against the edge of the housing and the concha of your ear. (Simply put, it helps in terms of comfort). 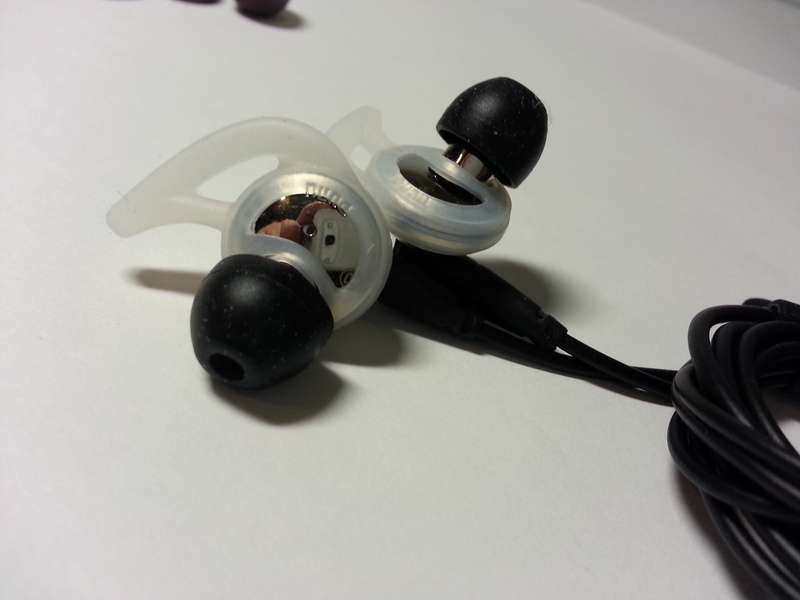 To protect the earphones, included is a hard shell plastic carrying case that snaps shut for safe storage. Keeping the Half- Earbud/ half in ear design that many including myself enjoyed, allows more room for the engineers at Dunu to make way for the large titanium coated drivers. The simple, yet flawless chrome housing is something to be admired. 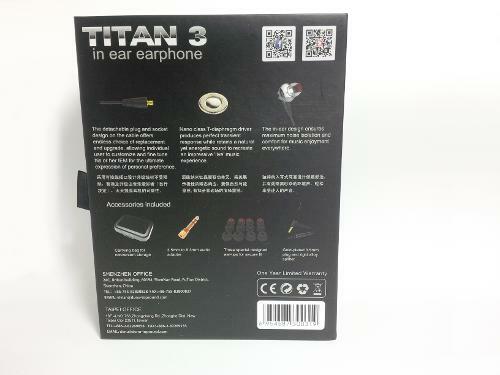 The only way to differentiating between the Titan 3 and the 5 is the on the Logo of the earpieces (labeled 3, and 5 respectively). 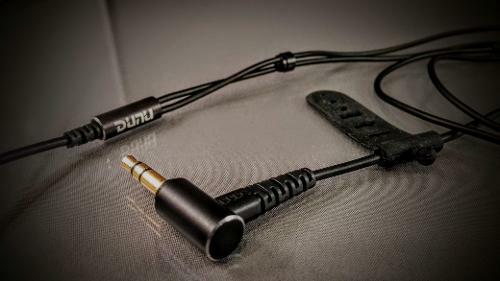 Dunu has clearly been listening the feedback from their consumers, through the implementation of the detachable mmcx cables. 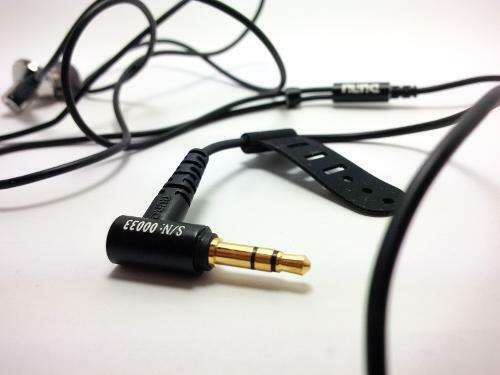 It’s quite hard to seamlessly integrate a practical, supple yet durable detachable cable, especially with mmcx connectors (it seems Dunu fall on the good side), as it did not suffer from sound cutting in and out when the cable spins. The cables are very well made and Dunu got rid of fabric portion of the cable that’s found on the Titan 1. With plentiful reinforcement in high stress joints, the Titan 3s exude the luxurious feel of a premium product found much higher then what it price indicates. 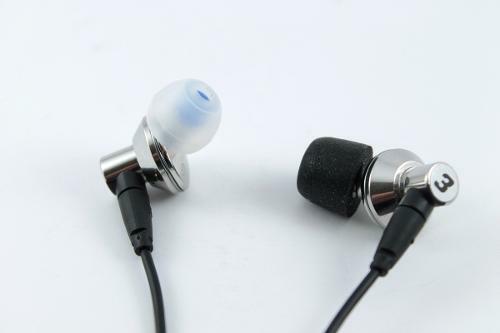 The shallow fit half earbud/in ear fit, will easily garner many fans looking for a comfort of a silicon/foam eartip, while ensuring the slipper- like fit of traditional earbuds. 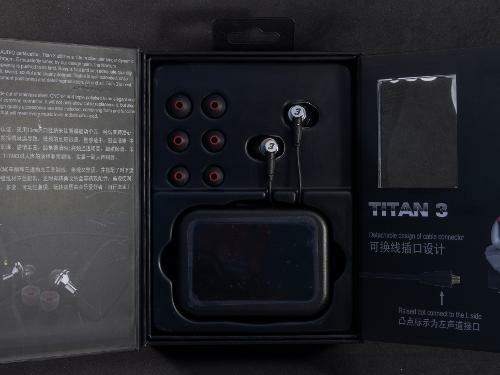 That’s said the housing is on the larger side and those with smaller ears may not find the Titans to be very comfortable considering the slight edge around the body of the earpieces. 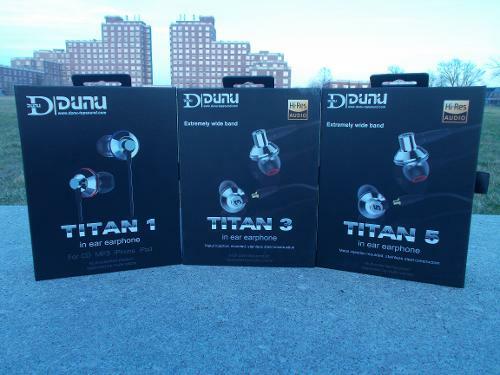 (Dunu addressed this issue with the silicone fin guards included in each Titan 3, and 5 package. Having the opportunity to listen to the entire Titan line up, has allowed me to better understand what demographic and what sound Dunu is targeting with each respective Titan. The Titan 3 is the most balanced, and mid forward of the Titan family. They will please vocal lovers, with a very clean overall tuning. The bass has a slight boost over the Titan 1 in the sub-bass, with a slight upper bass emphasis makes the Titan 3 the leanest in terms of punch of Titan family. Thus, paving way for the midrange to take centre stage. I found I was missing some "meat" that i was craving from the Titan 1. That said the bass was still quite fast and tight. A fuller and more forward midrange makes the Titan 3 a great addition to those that bathe in vocal centric music, be in pop, rock, acoustic, folk, and places voices front and centre. If you like your vocals especially female vocals, the Titan 3 won’t disappoint. It has a very clean, and detailed with glossy, airy with a bit of brassy texture to vocals giving them a sort of “ethereal feel”. The upper bass/lower mid gives a slight richness to male vocals, giving them what I would consider an appropriate amount of body, without impacting it’s articulation. That said, I found it a bit too prominent in the upper mids causing them to be a bit bright or and fatiguing. 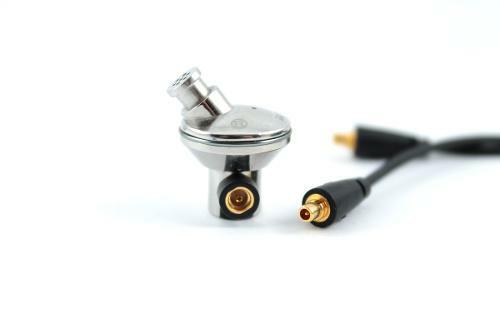 (I think it’s vaguely similar to my Sennheiser Amperior (portable DJ on ear headphone, which is well known and regarded). --àI’m not usually one to modify equipment, but I felt if I were to use the Titan 3 as my main earphone, I would need to use it with hifiman re400 black filter on the nozzle, which did help warm up the sound a bit, and smooth out this area a bit (I prefer it), making it less fatiguing. This is another area I found the Titan 3 to be an improvement over the Titan 1, as it has more detail and extension. Dunu does this while toning down on the “metallic” texture attributed with the Titan 1. The treble is still not forgiving to sibilance and can be a bit harsh at times. 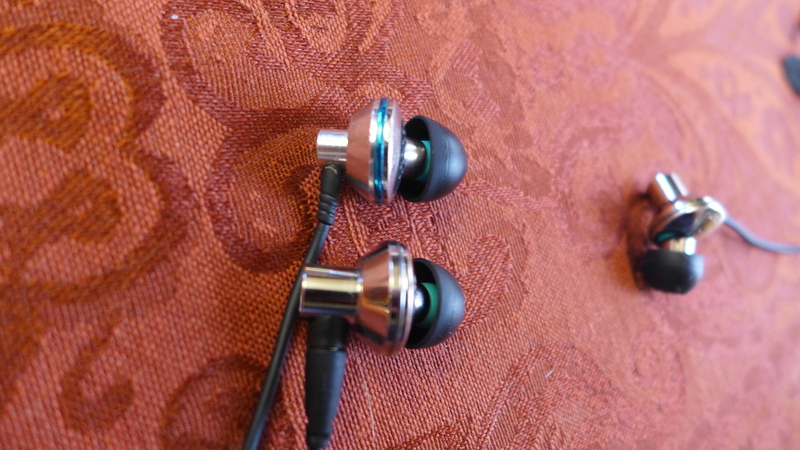 The Titan 1 has a thinner midrange, with a slightly more bloated mid bass in comparison. The slight boost in the sub-bass was welcome on some bassier tracks, but without some more authority in the midbass, i felt something was "missing" on the Titan 3. The Titan 3 is a bit thinner as whole. However, The treble is slightly more extended and a bit more detailed, making the Titan 1 harsher in comparison. On the “fun factor”, I would put the Titan 1 is right in the middle between the fun and bombastic Titan 5s, but more fun then the 3s. 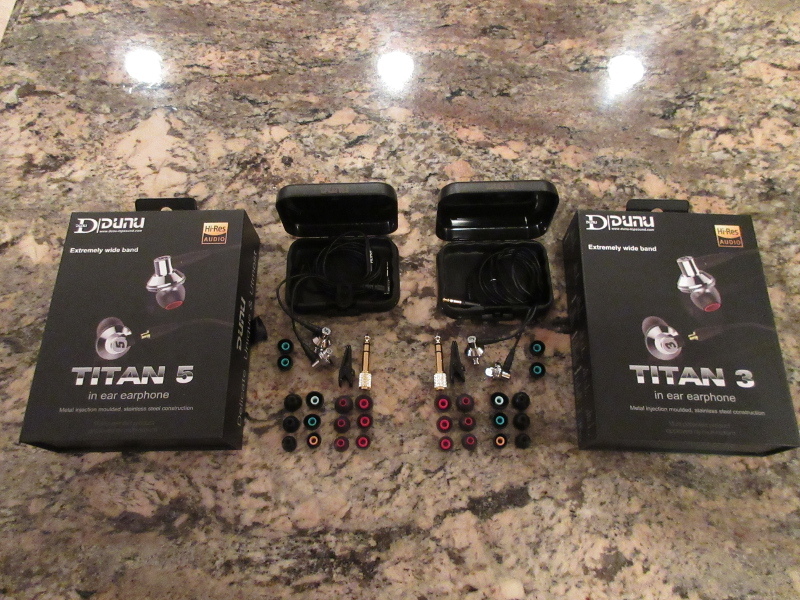 However, the Titan 3s are more forward and fuller in the midrange with a better sense of detail. The quantity of the bass on the Titan 3 is more comparable to the RE400, except with a bit more weight. The Titan 3’s midrange is brighter and more forward with a “glossy, brassier” texture compare to the more transparent, drier midrange on the RE400. The lower treble on the Titan 3 in comparison is more enthusiastic, with more flavor or colour, whereas the RE400 can be a bit grainy, and dull up top. Considering positive feedback from the RE400 (especially here on head-fi as one of the staples under $100), I feel that Titan 3 would be a good alternative for those users that find the RE400’s “safer” tuning a bit “bland”. I found that this comparison to be surprisingly close! The have the most similar sound signature in my collection. Both are very balanced, with a tilt towards the bright side. The PFE012 (at least my pair) seems to have this distortion in the midrange, which when comparing with Titan 3 makes painfully obvious. The PFE 012 has a leaner, faster and tighter bass (but more rolled off in the very lowest frequencies) but I would be very close to call it “bass anemic”, whereas the Titan 3 gives a bit more punch in this area. The PFE0 12 also has a drier and less forward midrange, that doesn’t seem to draw your attention as much as the Titan 3 does. For fun I decided use the “tape mod”: by using scotch tape to tape the rear vent (by the nozzle). It became warmer with the bass took a substantial bump, a bit more meat, moving it closer to the Titan 5 (however this increases the potential for driver flex). I imagine you can play around with poking a hole through the tape to play around with the dampening (be careful not to poke too far). This will roughly mimic how the stock Titan 5s will sound. I’m immensely enjoy this configuration with the Re400 filter on the nozzle! The plus to all of this is that it’s cheap and reversible! So Experiment away! The Titan 1 will turn heads with its impressive holographic and spacious imaging. The Titan 3 will draw you in with its impressive clarity and its “scalpel-like”, clean midrange. The Titan 5 I feel has a good mix of what makes the Titans great, fun, clean, while still sounding decently spacious. The Titan 3s deserve a Strong Recommendation! They weren’t exactly my cup of tea, its close but I felt the Titan 3 has a bit more of “niche” tuning, making it a bit more limited in its appeal. However what it does well is in bringing out vocals out in the open with superb clarity and detail. I find the Titan 3 is the earphone equivalent of Sennheiser Amperior (a slightly more refined HD25), and we all know how popular, and widely praised those are. Possible feedback- I would like Dunu dial back a few dB (3-5 dB) off the upper midrange/lower treble (2-5k Hz?) to make them a bit smoother with a slight bump (2-3 dB) around the midbass (somewhere around the 40-100 hz?) I found it a bit bothersome to and overall lovely sound. The case is nicely made but I would like it if it was a few cm thicker (to compensate for the bigger earpieces, with the detachable cables), and for better clearance for the cable (so it doesn’t crimp when closing it). 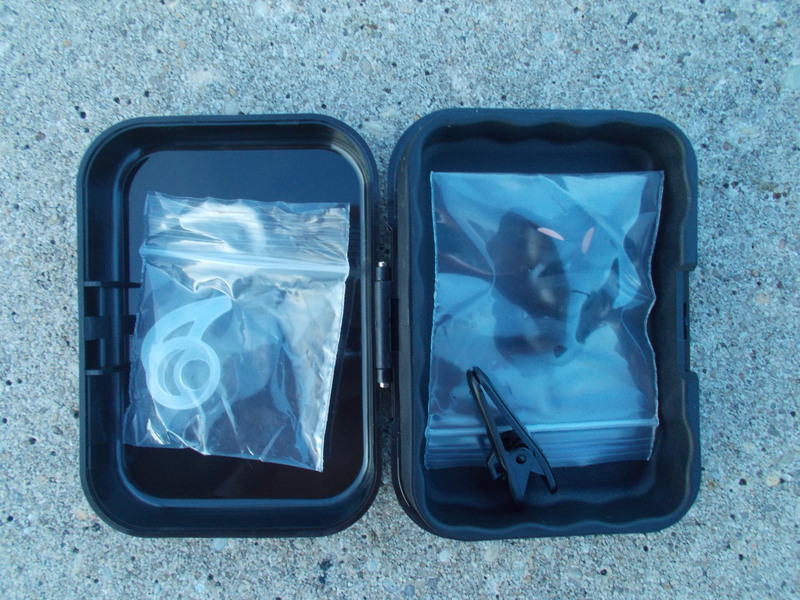 (or swap to a round semi-hard zippered carrying case). getclikinagas and zanox like this. Haha, Shingeki no Kyojin, right? 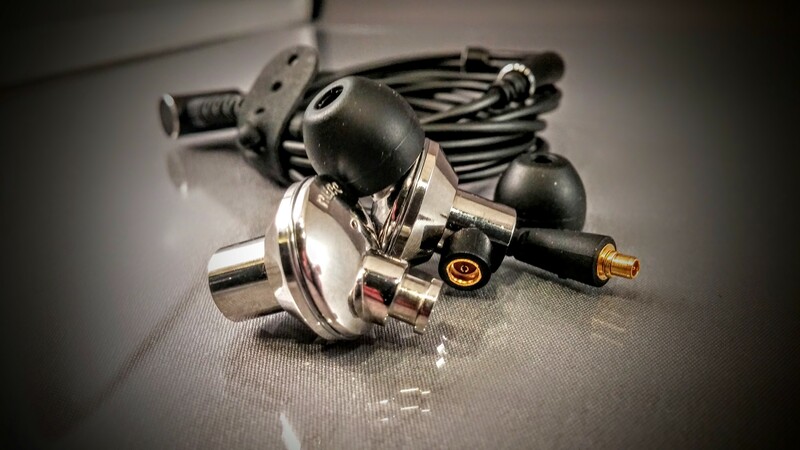 My introduction to DUNU Topsound (almost two years ago) was with their triple hybrid DN-1000, which rapidly became a hit with Head-Fi buyers, and was one of the first triple hybrid IEMs to show that top quality could be achieved at an affordable price. 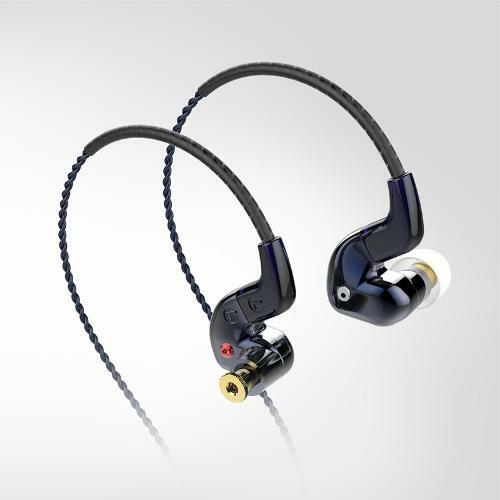 Since then DUNU has been a consistent performer, releasing a string of very good IEMs, including the exceptional DN2000J, and extremely well regarded Titan. Their latest releases have been the Titan 3 (I am reviewing today) and the Titan 5 I reviewed HERE. 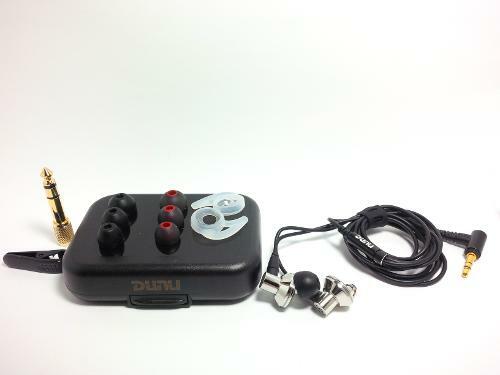 I’ve used this introduction before in my other reviews – and I think it serves as a good reminder of who DUNU is, and where they come from, so please excuse me if I state again …..
DUNU Topsound was established in 1994 originally as an OEM supplier to other companies. Since then they have developed their own branded line of high quality earphones, and gone from strength to strength (IMO) with each release. They currently have their manufacturing plant in China and head office in Taiwan. They now have more than 100 employees, and market their product range all over the world. “With advanced technology and hi-end equipments, DUNU desires to be able to provide Delicate, Unique ＆ Utmost products for Hi-Fi embracers. Delicate means extremely quality demanding on product process, from every little component to product manufacturing. DUNU has complete production line and equipments, including precise equipments, B&K frequency machine, IMD sputter, CNC machine, anechoic room, etc. Concerning design of product, DUNU also devotes to create unique outer appearance and balance in all sound frequency. 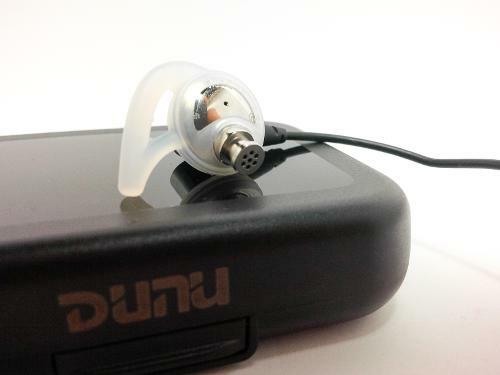 DUNU’s full product catalogue can be found at http://www.dunu-topsound.com/product.html - and their products are supplied through their own storefront (globally) on Amazon. Following the success of the Titan T1, DUNU listened to customer feedback and subsequently set about improving the new Titan series, and this has culminated in the release of the Titan 1es (budget version), T3 and T5. The review today is of the T3. I’ve had the Titans now for a little over three months and I’ve spent a lot of time with both the 3 and the 5, and truly enjoyed both. I release my review of the 5 at the end of November, but the 3 has taken longer – mainly because I didn’t want one review to overshadow the other, or for me to essentially write the same review about both. 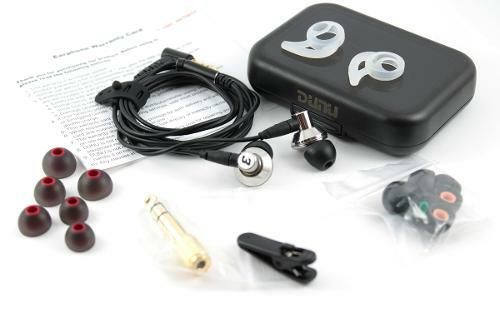 DUNU deserves separate reviews as separate items – because although both share very similar traits, they are also very different IEMs. I was provided the DUNU Titan T3 as a review unit from DUNU Topsound. 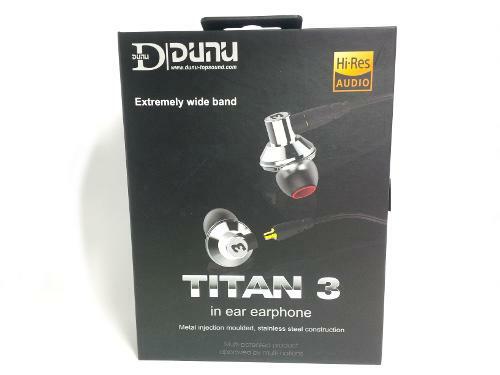 I am in no way affiliated with DUNU - and this review is my subjective opinion of the Titan T3. You will notice many similarities between my reviews on the T3 and T5, and that is because I’ve largely used passages from the T5 review where the information is mostly the same (things like build, fit etc). For the things that matter though (sonics, comparisons etc), I’ve tried to write completely from scratch. I'm a 48 year old music lover. I don't say audiophile – I just love my music. Over the last couple of years, I have slowly changed from cheaper listening set-ups to my current set-up. I vary my listening from portables (Fiio X5ii, X3ii, LP5 and iPhone 5S) to my desk-top's set-up (PC > USB > iFi iDSD). I also use a portable set-up at work – either X5ii/X3ii > HP, or PC > E17K > HP. 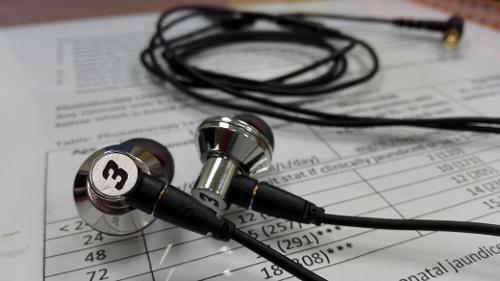 My main full sized headphones at the time of writing are the Beyer T1, Sennheiser HD600, and AKG K553. Most of my portable listening is done with IEMs, and lately it has been with the Adel U6, Dunu DN-2000J, Jays q-Jays and Alclair Curve2. 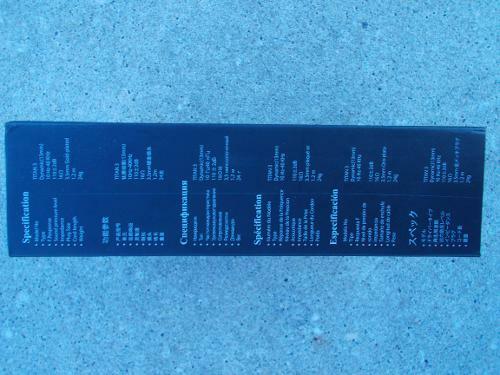 A full list of the gear I have owned (past and present is listed in my Head-Fi profile). I have extensively tested myself (abx) and I find aac256 or higher to be completely transparent. I do use exclusively redbook 16/44.1 if space is not an issue. All of my music is legally purchased (mostly CD – the rest FLAC purchased on-line). I tend to be sceptical about audiophile ‘claims’, don’t generally believe in burn-in, have never heard a difference with different cables, and would rather test myself blind on perceived differences. I am not a ‘golden eared listener’. I suffer from mild tinnitus, and at 48, my hearing is less than perfect. Over the last few months I’ve used the T3 paired with most of the sources I have at my disposal – from the tiny M3, all the way through to the TOTL L5Pro and LP5. But for the review I’ve used my main work horses – the X3ii and E17K. In the time I’ve been using the T3, I haven’t noticed any sonic change. And although I used the T3 coupled with several different amplifiers, they are easily driven, and will pair nicely with most sources straight from the headphone out. The DUNU Titan T3 arrived in DUNU’s now very familiar book style retail box – measuring approximately 170mm x 130mm x 50mm. Comparing the T3 and T5 packaging – they are practically identical – with the only difference being the some of the specs and also the photos. As I said in my T5 review, I love the presentation of their retail boxes. The immediate thought is that this is a premium package – and the black box, silver text and subtle use of colour really resonates with me. The front of the box shows a simple picture of the Titan 3s, and the rear has a list of the accessories, and an explanation of some of the main features of the T3. 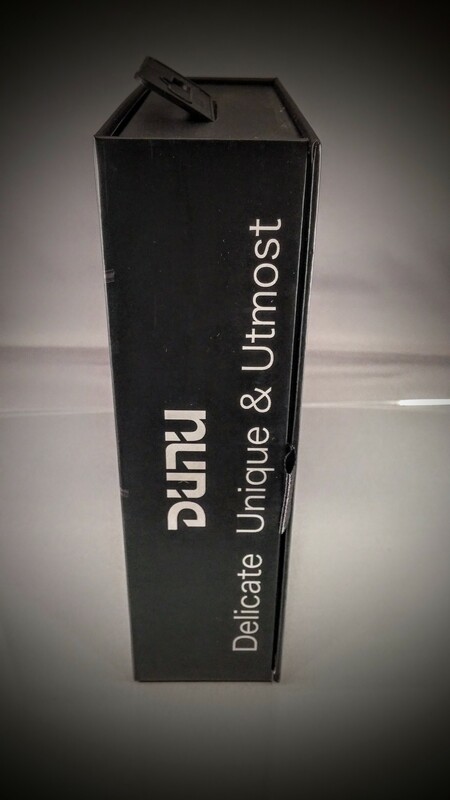 On the sides DUNU lists specifications in six languages. 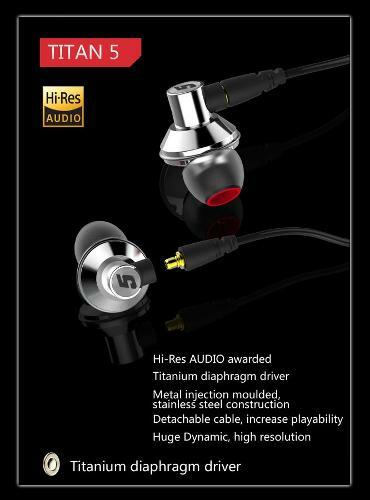 As I highlighted in my T5 review, the other notable addition to the front of the box is the “Hi-Res Audio” logo which certifies that a product meets the Hi-Res Audio standards (must have transducer frequency performance to at least 40 kHz). While this means little in practical terms to the listener – it does reinforce that DUNU is serious about standards. The box is a book style which opens to first show the IEMs, and give information about build material and the manufacturing process (inside cover). Opening the second flap reveals the carry case, some of the tips, and then the Titan T3 nestled snugly in the moulded plastic enclosure. 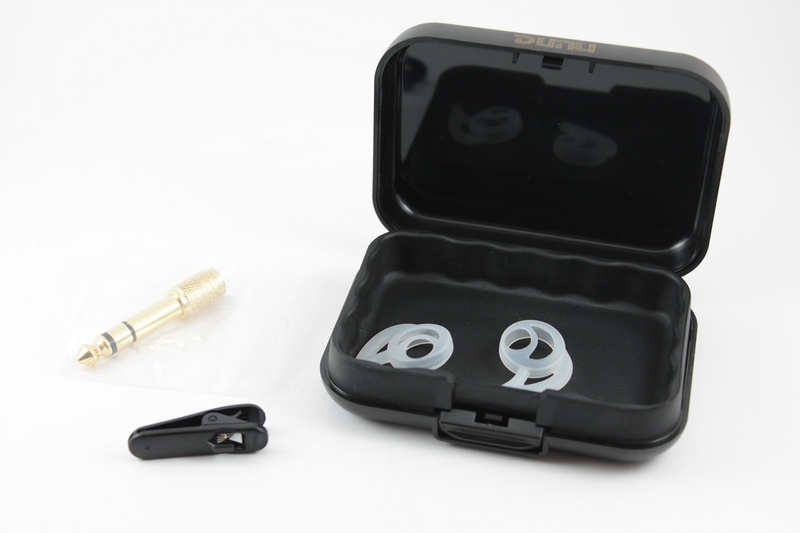 The carry case is a very good one for an IEM, and IMO an improvement on their former metal boxes (used in the DN-1000 / DN-2000). It is a sturdy moulded plastic rectangular hinged lid box (with nicely rounded pocket-safe corners) measuring approximately 90mm long, 65mm wide and 23mm deep. It has a catch/lock to keep it closed, and has a matt exterior on the rear and sides, and shinier plastic top (my personal preference would be a matt surface all around to avoid fingerprints, and minimise scratching). There are no internal pockets for spare tips or other accessories – but as it is so portable / pocket friendly, I don’t really have too many issues with it. The accessory pack includes silicone tips (S,M,L) in two different varieties – with some that appear very close to the Sony hybrid type design, a 3.5-6.3mm adaptor, shirt clip, and warranty card. 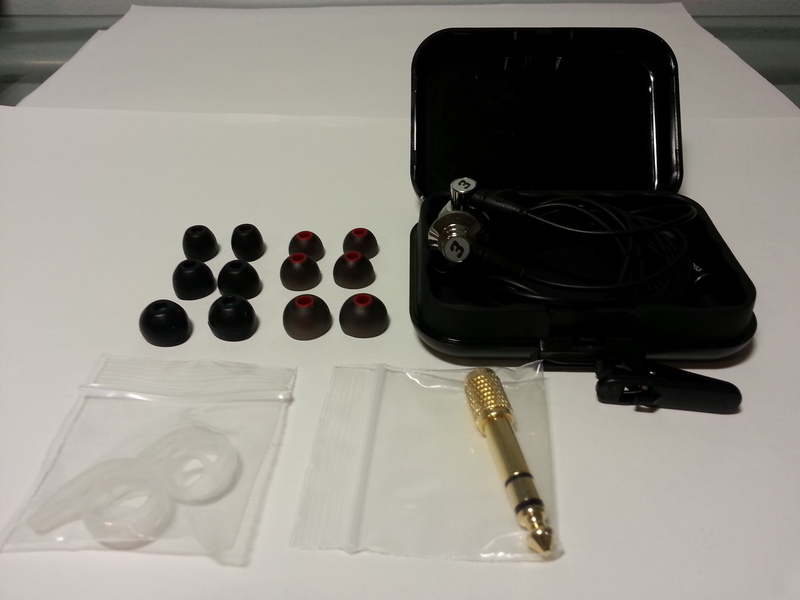 Also included with the accessories is a set of silicone ear stabilisers. I’ve listed below the specifications for all of the T series so comparisons can be made with the entire series. 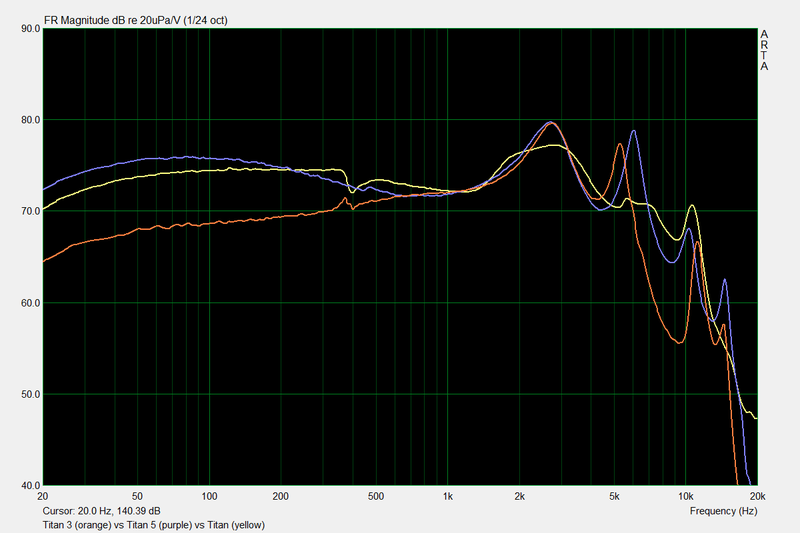 The graphs below are generated by a new measuring system I’m using – the Vibro Veritas coupler and ARTA software. I don’t have the calibration 100% correct yet – but the graphs I am getting are relatively close to Innerfidelity’s raw data (on other earphones), and I think are “close enough” to get a reasonable idea of the frequency response for the Titan 3. My aim is still to eventually construct a pre-set compensation curve so that I can get the graphs more consistent with calibrated curves. As you can see from the third graph, the channel matching is very good indeed. Later in the review, and perhaps of more use, I’ll comparatively graph the T1, T3 and T5. Quick, clean and reasonably well extended bass which appears reasonably well balanced when listening to the T3 in isolation, but is leaner and lighter when comparing to other IEMs. Clean and extended lower treble which falls short of excessive sibilance (for me) yet remains quite bright and has very good clarity. The overall emphasis is very much on vocal presence. 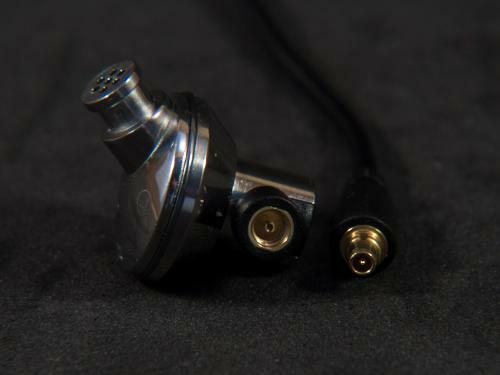 The Titan 3, like both the Titan 5 and its older sibling (T1) is extremely well built with a polished stainless outer shell – similar to an earbud type shape – but with an angled exterior nozzle designed to take an IEM tip and provide some measure of isolation. 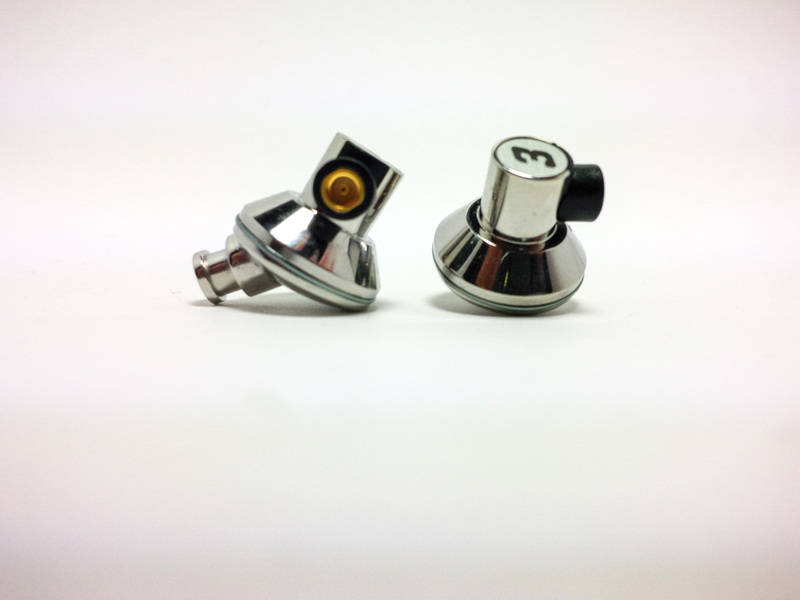 The circular part of the body is 15mm in diameter, and designed to snugly in your ear with, the rear of the Titan shell against your antihelix, and the front underneath your tragus, with the nozzle angled forward into the ear canal. The T3 is physically the exact same build as the T5 (with the exception of the rear numbered plate), but is different to the original T1 in a number of ways. There is only a single vent/port for the dynamic driver compared to the T1’s 11 hole vented underside, the body of the T3 is longer (taller) than the T1 (approx. 14mm vs 11mm), so does protrude slightly further, and the T3 has a removable cable system where the T1 cable was fixed. The T1 had a blue/red ring around the body for channel identification, but this is not present on either T3 or T5. I’ll go into detail on that below when talking about the removable cable system. 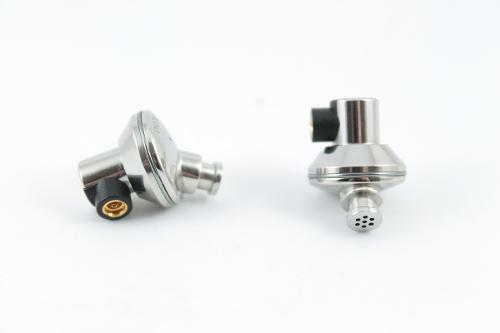 The nozzles are approximately 50mm long, have a generous lip, and have a pinhole mesh type of opening with 7 holes to allow the sound into your ear. 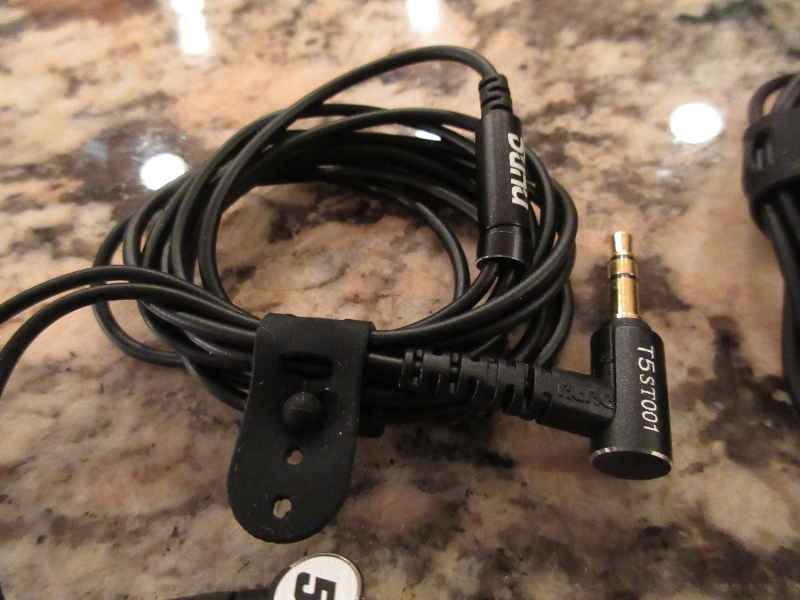 The removable cable on the T3 uses an MMCX connector, and is quite firm, and from my time with them so far, is one of the better MMCX implementations I’ve seen (I’ve had issues in the past with other MMCX connectors cutting in and out with other brands). So far the connection has been very good with the T3 (and T5). The T3’s MMCX connector is not a standard connector though, with the male connector being about 1mm longer than standard cables from other earphones (like Shure or Fidue). This does seem to make it more secure, but also means that the Titan cables will not fit my other earphones, and vice-versa. I’ve tried cables from Fidue, Shure and Trinity with no success. The good news is that the T3 cable is beautifully made – supple, with low microphonics, and a firm connection. The best thing about inclusion of the replaceable cable is that for those who prefer wearing the cable over-ear (my personal preference), then you simply swap ear pieces (connect left cable to right ear-piece, invert, and wear in your left ear). And this is the reason for DUNU omitting the coloured bands. You choose an orientation which suits your own preferences, and then the actual normal fit of the earphones will let you know which is which (left and right). 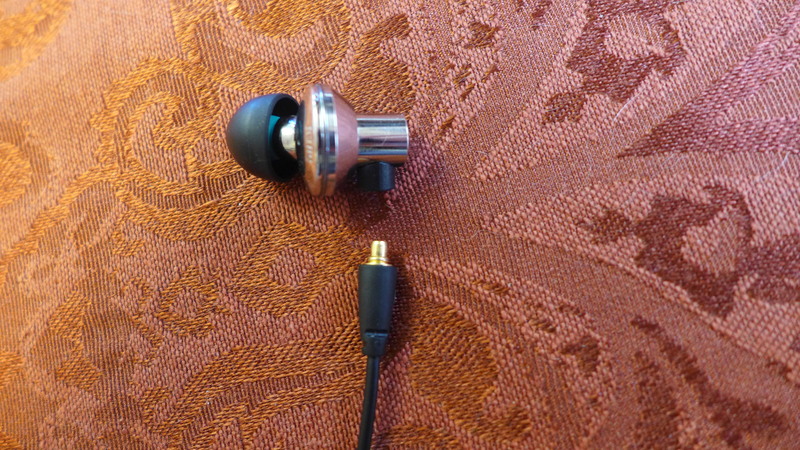 If you ever lose track of which is which though, there is a small “L” or “R” on each earphone body, and also on the cable connectors. 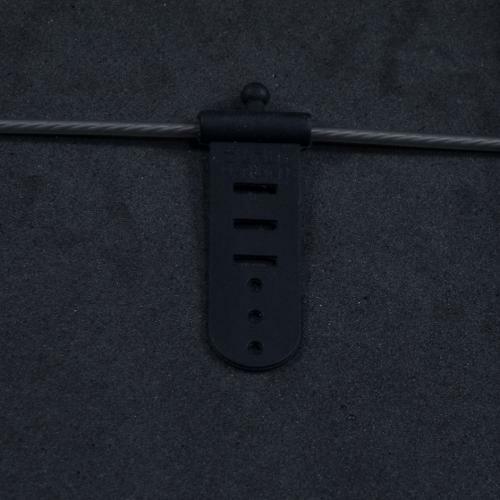 The cable is also changed on the T3 (from the T1 original) with the cloth covered mesh (below the Y split) removed and replaced by DUNUs satiny rubber coated finish – so essentially the same material above and below the Y split. The Y-split is the usual DUNU cylindrical metal tube with the top piece sliding off to form a cinch. The plug is a right angled gold plated 3.5mm plug, and is designed to be very friendly for portable devices. No issues with my 5S with fitted case. 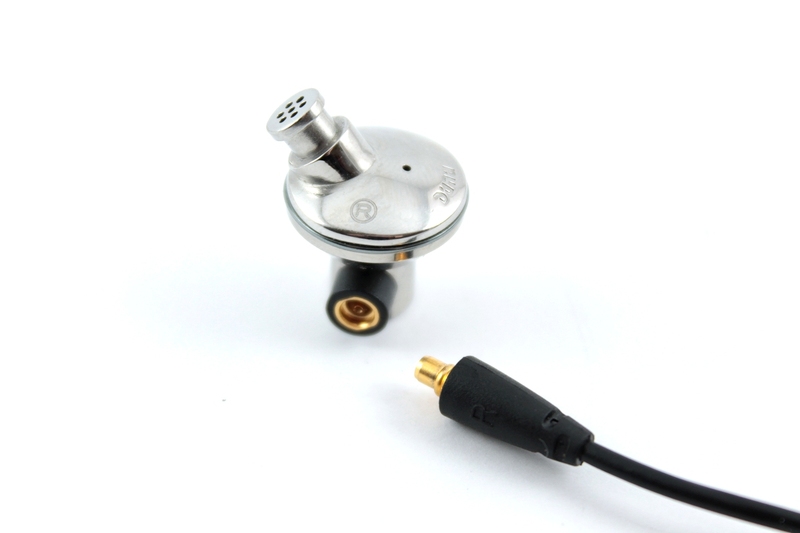 The cable shows excellent flexibility, with no signs of kinking, and top class strain relief at all the required major points (plug, Y-split and IEM body). 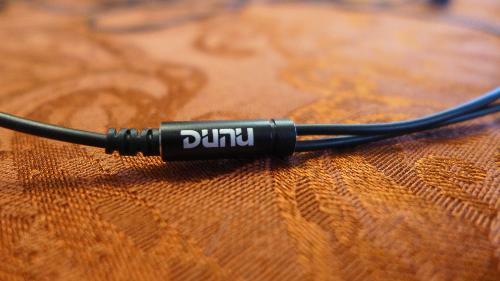 The cable carries DUNU’s usual innovation with the rubber cable tie attached to the cable. When not in use it sits unobtrusively close to the plug (I never notice it). When you’ve finished listening to the Titans, simply carefully coil the cable and use the tie. Simple, elegant, brilliant. I’ve loved this with all DUNU’s IEMs. Like the T5, I still cannot fault a single thing with the DUNU build – it just all makes perfect sense, both practically and aesthetically and is executed brilliantly. I have one ear canal slightly different to the other one (my right is very slightly smaller) - so I tend to find that usually single silicon flanges don't fit overly well. This is often even more of an issue with shallow fitting IEMs – and the Titan 3 is a shallow fitting IEM. But both types of included single silicone large tips fit me pretty well (I was maintaining a steady seal) – and this appears to be the stabilisers are work (holding the position nicely). I’ve also tried (with both T5 and T3) Spin-fit (perfect nozzle fitting, but for me no seal), Ostry black or blue (tuning) tips (perfect seal), Spiral Dots (again perfect nozzle fitting, but for me so seal), and comply T200s (perfect fit and seal). But I still use Sony Isolation tips for day-to-day use which continually give me best combination of fit, seal, comfort and durability (they are a silicone tip with inner foam). One of the things DUNU are now including with the Titan series are some clear silicone ear stabilisers – which are a soft silicon fin which fits over the body of the Titan, with the fin pointing upward, and allowing it to be locked under your antihelix. 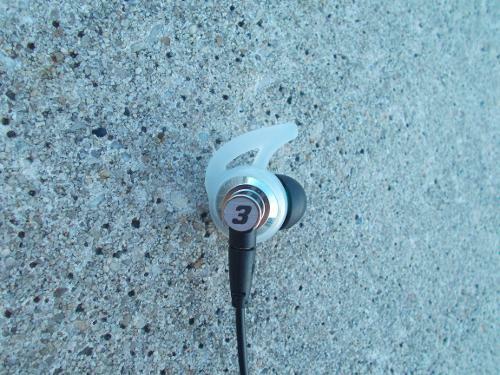 For me, they work absolutely brilliantly, are very comfortable, and effectively lock the T3 in place. They also work with both orientations (cable up or down). I can exercise with the stabilisers in place, and so far the Titans don’t come loose. My only critique of the stabilisers is that because they are so soft, almost every time I take the T3 out of my ear, the stabilisers come off the shiny body. It isn’t a big issue, as they are easy to get back on, but a more rigid “harness” with a softer fin would alleviate the issue (I don’t know if this is possible – but worth mentioning). Worn both over ear or straight down, they aren’t quite flush, protruding maybe a millimetre or two at most, but are still quite comfortable to lie down with – I have no problems sleeping with them intact. YMMV depending on your outer ear size. Isolation is average to below average for external noise coming in, and I wouldn’t use these in a high noise environment. I’ve used them quite a bit in the office, and they are pretty good at keeping my music in (so my co-workers can have peace), but I can still hear what is going on around me to a certain extent. They are a noticeable improvement over the T1 for passive isolation both ways. 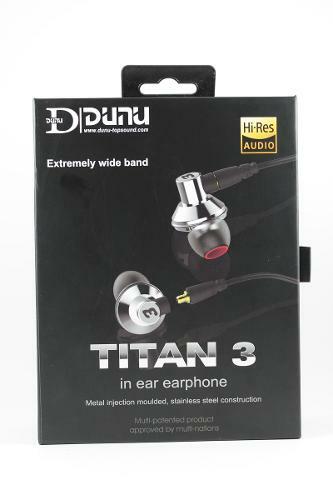 The following is what I hear from the DUNU Titan T3. YMMV – and probably will – as my tastes are likely different to yours (read the preamble I gave earlier for a baseline). Most of the testing at this point (unless otherwise stated) was done with my Fiio X3ii as source paired with the E17K, no EQ, and Sony Isolation silicone tips with the cable worn up. For the record – on most tracks, the volume level on the E17K was around 18-20/60 which was giving me around an average SPL around 70-75 dB and peaks at around 80-85dB (C weighted measurements from my SPL meter). 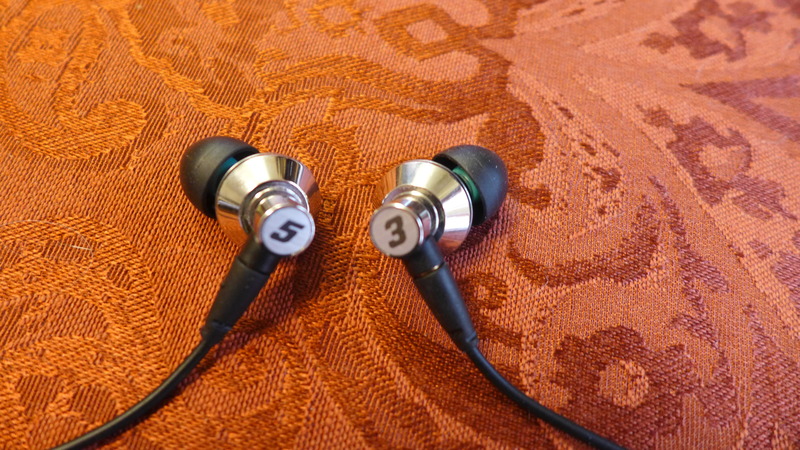 I mentioned this previously in my T5 review, but when both arrived I listened initially to both pairs (swapping back and forth) for about 30 minutes or so. The T3 were early favourites – the vocals were just beautifully clean and clear), and I initially found the T5 a little on the bassy side, and also a little bit V shaped. As I spent more time with both sets though, my opinion changed quite a bit. 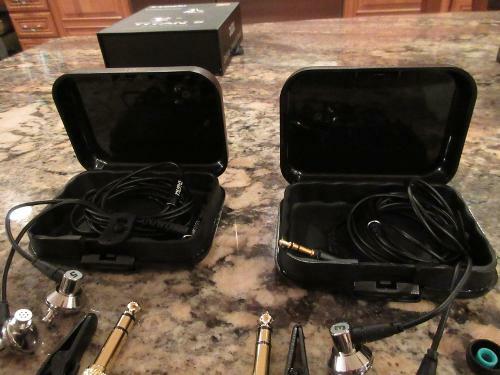 This was especially so when I was coming from other IEMs and switching to either the T3 or T5. I started appreciating that T5’s bass more and more, and came to the conclusion that for me the T5 was the more natural sounding, and the more balanced. The T3 was just a little light on the low end. I discussed this with Vivian, and she confirmed to me that their engineers also felt the same way, and that they had tuned the T3 more for vocal lovers and mid-range junkies, while the T5 was the more balanced and less specialised IEM. I’m really pleased I took the extra time with both the Titan 3 and Titan 5, and made as many comparisons as I could (not all will be listed in this review due to the need for a certain amount of brevity) – because initial impressions can often be misleading, and The Titan series is one of those IEMs that IMO needs time to appreciate all of its nuances. If I was to now describe the signature in a few words/phrases – I’d choose the words clear, euphonic, detailed, and with vocal emphasis. I would call them slightly lean though. It’s quite hard to give a comment on the bass – simply because it is quite a unique sounding IEM to me, with the bass quantity depending on what I’ve been listening to previously. It sounds perfectly normal and not lacking in anything when I switch from my AKG K553 or HM5 to using the T3, but both are arguably quite bass light themselves. If I’m coming from the DN2000J, or my very neutral q-Jays or Adel U6, the Titan 3 can sound a little lean and anaemic. 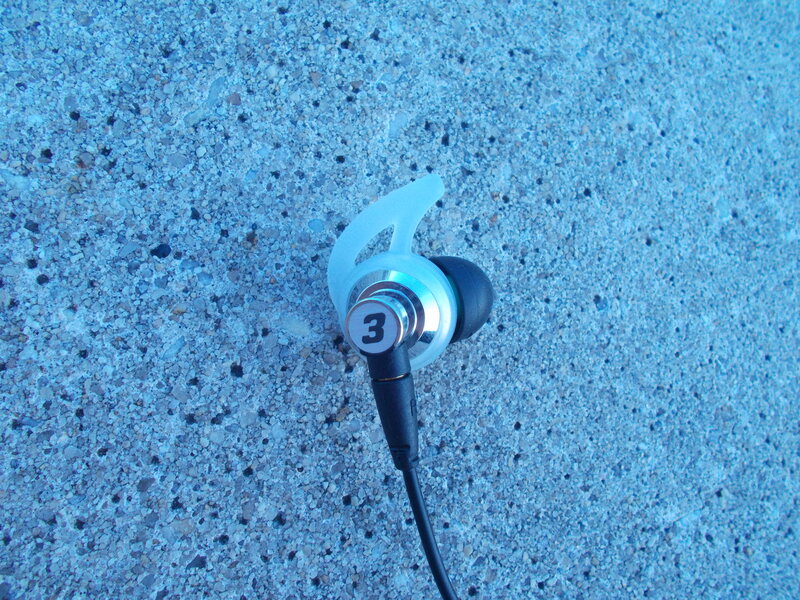 The T3 has really fast and well extended bass though, but it just doesn’t have a lot of impact. The mid-range is where the Titan 3 shines though, maybe just a little lean in the lower mids, but with a nice peak in the 2-3 kHz (vocal presence) area and again at around 5-6 kHz, which lends particularly well to euphony with female vocalists. 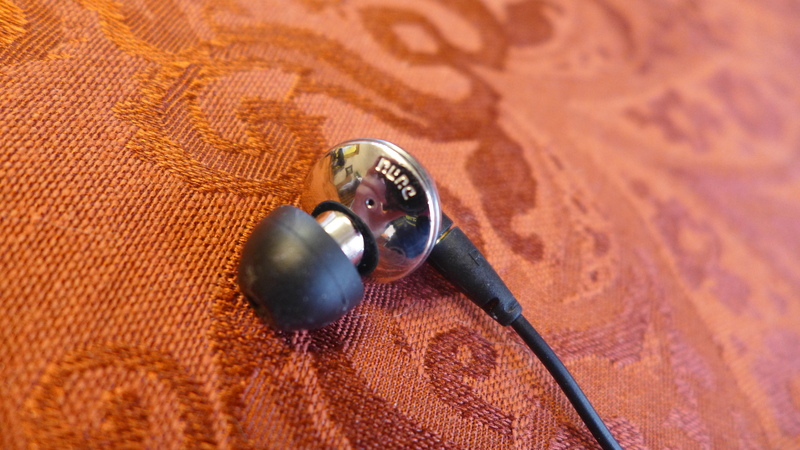 When I first heard them – the headphone I immediately though of was the Shure SRH940 which was a vocal lover’s dream. If you’ve ever heard the SRH940 and enjoyed it, you’d fall in love with the Titan 3. Treble is reasonably well extended, but doesn’t hit any of my personal sibilance areas. Like the Titan 5, the first thing I noticed was the clarity and detail with both tracks. Cymbals have marvellous decay, and the sax is really well presented with Gaucho. The bass guitar is present but a little muted compared to what I am used to with both tracks. These really are detail monsters though and I’m picking up fine details all the way through both recordings. Vocals are quite prominent and share the spotlight with lead guitar – especially with Sultans. Really nice overall presentation – if a little bright. I always start this section with Amber Rubarth’s binaural track as it provides good cues for both width and depth. The imaging is very good and is quite precise, but it would be fair to say that the Titan 3s are more intimate than expansive with this track. I don’t know if this is the forwardness of the mid-range, but I would say that the overall stage is within my headspace rather than projected out, and to me is slightly smaller than the T5, and a lot smaller than the T1. 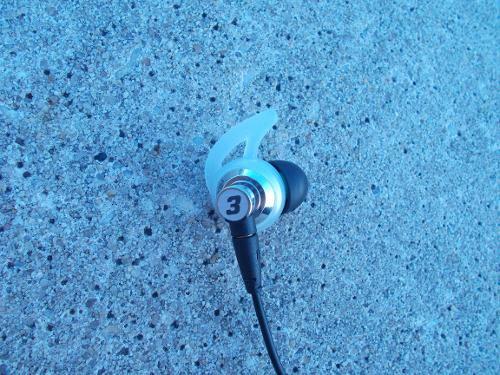 What the T3 delivers amazingly well though is precision within the stage it creates. There is a real sense of 3D space, but just in a small space. I use “Dante’s Prayer” because I know this live track really well, I know how the miking sounds on a lot of different headphones, and it gives me a good feel of imaging (during the performance), and depth and width of stage during the applause. The first thing to notice is how well the Titan 3 portrays Loreena’s vocals (gorgeous), and the good contrast between piano, cello and vocals. I’d personally like the cello to just have a little more depth – but the performance is excellently portrayed and very enjoyable. When the applause starts it is quite immersive and believable, but it portrays as a smaller venue (and I know the recording was in an arena). So very good imaging, very good immersion, but a little more intimate than expansive. Amanda Marshall’s “Let It Rain” is my last track in this section and I use it for two reasons – it has been miked to give a holographic feel (and the Titan 3 portrays this wonderfully – a real sense of instruments being around me), and it’s a good track to test sibilance (I know it is in the recording). At my listening levels, the sibilance is there, but not highlighted unless the volume is really high (I tend to be a quieter listener), and simple EQ should help to clear this up if it bothers you. A final note – on this track – it is usually bright anyway – but this is about as bright as I’d go with an earphone. If anything, a little added mid-bass would help. Mark Lanegan’s track is my first test for bass quality, quantity and also any bass bleed. The track could be described as dark and a little brooding – but usually has nice contrast between deep drum beats and Marks deep throaty vocals. The first thing I noticed is that the impact just isn’t there – not the way it should be. Mark’s vocals are great – a little on the thin side but good texture and very clear. However the normal gloomy and ominous background beat is muted, and lacks any visceral impact. Enjoyable, but would not be my choice for this type of music. Lorde’s track “Royals” is my sub-bass impact test – and the Titan 3actually reaches pretty low – but again the impact I’m used to isn’t there. The low rumble shows reasonable extension, and Ella’s vocals are sweet and crystal clear, but there just isn’t enough energy. I can be a bit picky about bass, and generally don’t like signatures that are too warm. 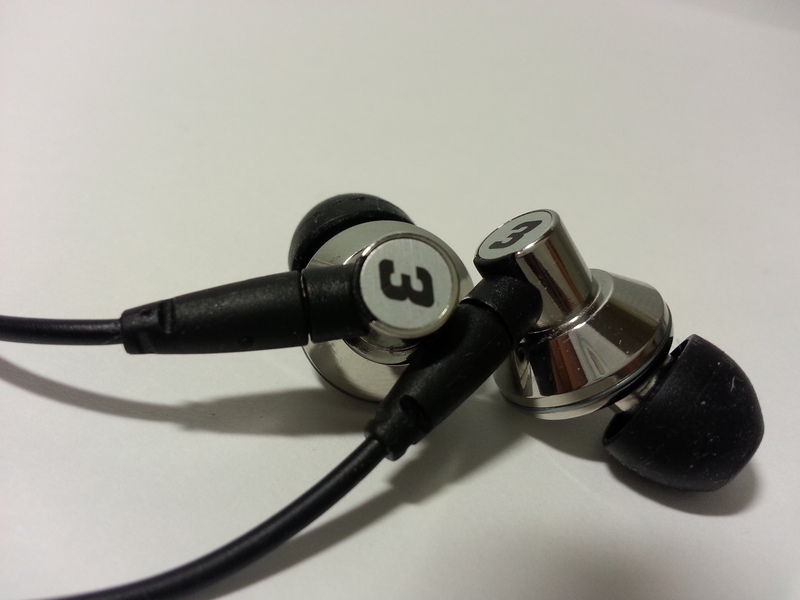 The Titan 3 is an interesting earphone in terms of bass. The bass that is there is quick, nimble, well textured – it’s just a little light (and for a lover of neutrality – that should be enough indication). When I tested the Titan 5 with female vocals I was very impressed, and considering Dunu had already stated that the Titan 3 was tuned for vocal presence, and female vocals in particular, I knew these were going to be special. The Titan 3 is amazing with female vocals – very sweet, very euphonic, and very harmonic. Agnes Obel can be a little strident with other earphones, but the Titan 3 (for my tastes) is perfect for her vocal presentation. Again, the cello could be a little deeper, but there is nice contrast, and the vocals are captivating. I then moved on to London Grammar (big fan of Hannah’s vocals), and again the Titan 3 is utterly superb. Like the Titan 5 – with these tracks, the Titan 3 is as close to perfection as I’ve heard with my female vocalists. With the other chosen tracks, the feeling was similar, and even better when the tracks were more acoustic based (Angus and Julia Stone’s “For You”), or had good orchestral backing. Where they missed just a little was with tracks with more dynamic bass (Feist and FaTM) – still thoroughly enjoyable, but my preference would be with the Titan 5 for those two tracks in particular. The stand out track though was Gabrielle Cilmi’s “Safer”, and it really brought goose bumps with the sheer beauty of the vocal performance. Dunu said the Titan 3 was tuned for female vocal performance in particular, and their engineers really have nailed it. My first track when I’m testing is always 3 Door’s Down’s “Away From the Sun” – it has an almost rock anthem feel, and usually gives data on a variety of fronts – bass quality and impact, lower mid-range with Todd’s vocals, and upper mid-range with guitar crunch. Again male vocals are a little on the thin side, but I’m still enjoying the overall clarity, and there is enough contrast to still be very enjoyable. The difference though is the missing weight in the bass, which you don’t really notice until you apply some EQ. +4 bass on the E17K, and you suddenly realise how much better it can sound with rock tracks. After a few minutes with this setting, and then switching back to the default signature, and it really does emphasise how thin the lower mid-range is. All in all though, if you’re listening to the Titan 3 exclusively, it is easy to get used to the slightly thinner presentation, and it doesn’t take long to acclimatise to the lighter bass. And when you are there it really does sound very good. The best tracks tended to be acoustic tracks like the Eagles “Hotel California” and Lofgren’s “Keith Don’t Go”. These tracks really shone. The real test for me has always been Pearl Jam though – if Vedder works on any earphone, then it has a pass in my book. And the Titan 3 is very good with PJ, not exceptional, but very listenable. The detail on cymbals is captivating, Eddie’s vocals are clean and clear – but I’d personally prefer a little more bass. Repeating the track with +4 on the E17K’s bass again, and the very good becomes exceptional. Alt Rock – I was quite surprised with this one, as I’d thought that the lean signature may not suit, but the added detail does wonders for both Pink Floyd’s “Money” and Porcupine Tree’s “Trains”. I think what helps (especially with PT) is that Wilson doesn’t have a deep vocal range – so the Titan 3 really is able to compliment his singing style. Jazz / Blues – Really good with Jazz and Portico Quartet is excellent – especially the quality of cymbal brushes and upper end detail. The sax is really outstanding too. The 2ns PQ track I’ve taken to testing with has Cornelia on vocals, and this track is just sublime with the Titan 3. It really showcases their strengths with vocals, clarity and detail presentation. Likewise Miles was really enjoyable, and if I could have anything it would be just a little more depth/contrast with the double bass (it sits just a little too much in the background for my liking). Switching to Bonamassa and blues guitar really does shine with the Titan 3, and in this case Joe’s vocals also blend perfectly. Big tick on both genres. Hip-hop / EDM / Trance – For me, this was the weakest genre range with the Titan 3, and to be honest it isn’t what they were designed for. If you’re primarily looking for good bass impact, then you’ve bought the wrong earphones. The bass is still there with Eminem, and it still sounds good – but it should be visceral in intensity, and it’s not with the default tuning of the Titan 3. Little Dragon (Trip-Hop) is actually really good though (female vocals again), but again EQing a little additional bass in brings the Titan 3 from good to great for my tastes. Pop / Indie – Pop wasn’t bad, although some of Adele’s recordings were a little bright (mastering isn’t that great on most of her albums anyway), and Coldplay had enough dynamism to be enjoyable. With Indie, some of the recording quality isn’t fantastic, and with Band of Horses there was a little too much mid-range emphasis, and a little too lean for my tastes. Wildlight’s “Dawn To Flight” was stunning though – and Ayla’s vocals unbelievably good. Again – the overall tuning for female vocals is brilliant. Classical / Opera – Generally very good, especially full orchestral. Solo cello and some deeper piano pieces needed a little more depth, but overall very good. The Titan T3 is easily driven out of a smartphone or DAP, and on my iPhone 5S I’m sitting around 35-40%, and in the 30-40/120 range on the Fiio. As per usual, I also volume matched and compared X3ii vs X3ii + E17K, and there was no discernible audible difference in dynamic presentation – so I think it is pretty safe to say that extra amping won’t be necessary. 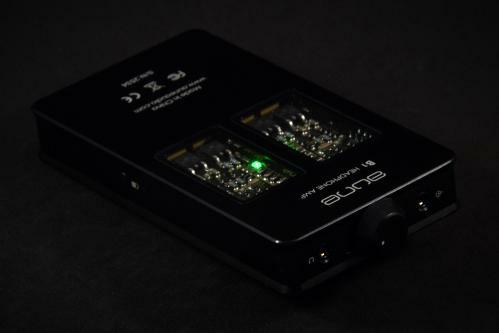 Based on the specs alone (16 ohm and 110dB SPL), straight out of the headphone-out of most sources should be more than enough. I’ve pretty much already covered this in the sections above, and the only area I personally think the Titan 3 is lacking is in the bass response. Applying a simple +4 bass on the Titan 3 transforms it while still leaving the excellent vocal range unaffected. To highlight this, I’ve measure the Titan 3’s response using the X3ii – default and with the added bass EQ applied. The differences are easy to spot. I’ve measured all 3 Titans, and outlined my subjective thoughts on their tuning below. To perform the comparisons, I used a calibrated SPL meter, and matched each with a 1 kHz test tone, and then used a splitter plus volume attenuator so that I could fast switch and know that each was precisely volume matched. This was an interesting comparison because where I thought the T5 and T1 sounded quite similar, the Titan 3 comparatively is a lot leaner and a lot brighter than the T1. Bass impact is a lot lighter overall with the Titan 3, and because of this it tends to sound quite peaky and bright when fast switching. Both have really good detail, and with female vocals I’d be happy with both earphones – they just present a little differently. The Titan 3 has the more forward vocals, and the more intimate presentation. 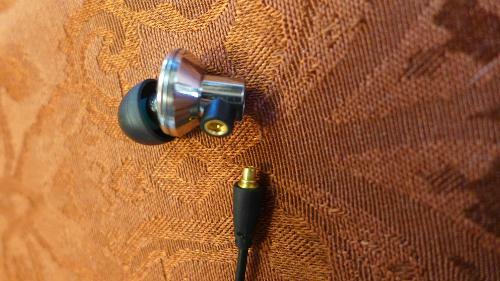 The T1 has the wider sound-stage, but the cost of this is the increased leakage and slightly worse isolation. The T1 needs slightly more volume as well. 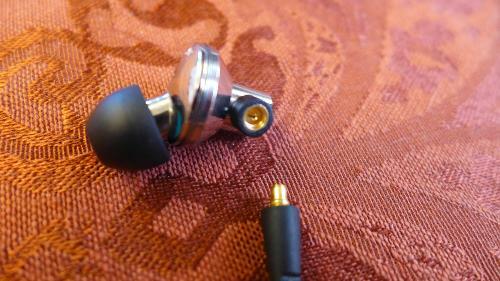 Build is similar, but the Titan 3 does have the replaceable cables, and ability to swap earpieces and wear over-ear. Despite this though, if judging on default sonics, I personally prefer the more balanced signature of the T1 – although the T3 with EQ applied would surpass it. This time with identical builds, fit, and very similar upper mid-range, the difference is really in the bass presentation, and balance. Comparatively the Titan 3 is a lot leaner, and although I’ve been listening to it for most of the night, after a few minutes of going back and forth, the impression is once again that the T5 is a lot more balanced and cohesive. The Titan 3 when compared sounds pretty bright. As you’ve probably guessed, I very much prefer the Titan 5 over the Titan 3. I chose this comparison because although there is a big difference in price, the 2000J is also brilliant with vocals, and I was curious as to how the tonality would compare – a lot of people consider the 2000J to be well and truly on the bright side. When I first swapped (coming from the Titan3), I’d give the Titans the slight edge with female vocals, but the 2000J with overall tonality. The 2000J has a much richer and fuller overall mid-range presentation, and I guess some of this is the extra mid and sub bass. But overall The Titan 3 isn’t getting left behind on overall quality – and for a lot of people it will come down to preference. My preference would ultimately be for the 2000J for tonality and genre versatility, but the Titan 3 for overall comfort. The DUNU Titan 3, like most of the Dunu range, is characterised by almost impeccable build, and has several innovations that really highlight the thought Dunu’s engineers put into the overall design. The biggest physical innovations this time centre on the replaceable cable, and the ability to wear over-ear (thank you Dunu!). Sonically the Titan 3 has been tuned specifically for vocal lovers, and for me it sounds absolutely stunning with female vocalists in particular. The Titan 3 shows reasonable extension in both the lows and highs, but is also characterised by relatively lean bass compared to both mid-range and treble. This lack of bass is not as apparent when the Titan 3 is listened to in isolation (as your main IEM), but becomes significantly more apparent when comparing to other relatively well balanced IEMs. There is definitely an emphasis on the upper mid-range, and this does dominate over the lower mid-range a little (which is slightly recessed comparatively). For female vocals it (like the T5) is among the best I have heard, but the downside of this is that male vocals can be a little thin comparatively. The Titan 3 also excels with acoustic based music, and I really enjoyed it with Jazz in particular. Listens to bassier music, and values impact. At a current RRP of USD 135, the Titan 3 represents really good value in my opinion, and the overall quality of build and sonics (for those who like its particular presentation) is a very high standard. My usual question I ask myself is would I buy these, and would I recommend them to friends or family. The answer this time is “it depends”. If I knew that they preferred a specific tonality (less bass and more vocal presence), then I’d recommend them without question. For me though, the Titan 5 will remain my favourite in the Titan family. Once again I’d like to thank Vivian at DUNU for giving me this wonderful opportunity to review their Titan range. Probably the only thing I can think of would be slightly more rigid stability fins, but that would be it. I do think that Dunu’s engineers nailed their brief with the Titan 3 – even though it is not necessarily my preferred signature. Light - Man, svetlyo, zanox and 2 others like this. @Brooko Of course not, as an experienced reviewer I'm sure you would be aware if your tastes changed. I've just noticed a phenomenon by myself that if I solely use a bassy model, I get used to that level of lower end "by default" - idk if the same applies to anyone else, but I've always been careful since then. This is the beauty of the reviewer business - if we all didn't have (slightly) different opinions about a product, then there wouldn't really be any point to hire more than one reviewer. I may have a different take on how mildly the T5's bass is raised, but in essence I think we've both reached more or less the same conclusion - it may be a star more or star less, but it's a fine line. Different ear tips also can make the difference we're hearing, as well as many other factors, so it's okay. I'm currently using the T5 more than the T3, but that's only because vocals are non-existant in my music collection right now. Good luck on your blog! Lovely review Brooko. I personally never heard the Titan 3 as bass-lite, but can certainly see why people would hear them that way. Mids clearly take centre stage in most instances. Really wish I had more than a week to spend with both the T3 and T5. Note: I reviewed the Titan 3 and Titan 5 at the same time. The beginning of the the reviews are nearly identical with grammatical edits to match the product to the corresponding review. They are nearly identical products in terms of build and packaging. If you have read the other review, you might want to skip straight to the sound impressions. Almost a year ago, the original Dunu Titan 1 was released. It was an all metal housing earphone with a unique design and fabulous sound. I gave the original Titan 1 a five star review. When I heard that there would be a successor to this beast of an earphone, I knew I had to try it. I was given an opportunity to review the Titan 3 in exchange for my honest opinion and review. I am in no way affiliated with Dunu. The Titan 3 came in a box that follows the same theme as the original Titan 1 earphone, sporting a black box with white letters. 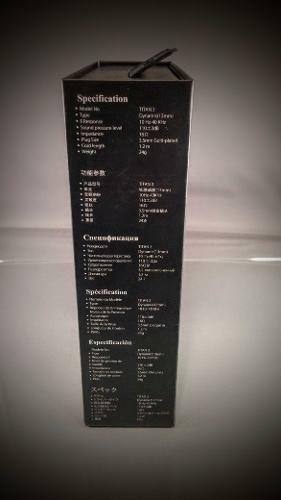 The front of the box has the name of the product and picture of the housings and cable along with the “Hi-Res” logo on the upper right hand corner. 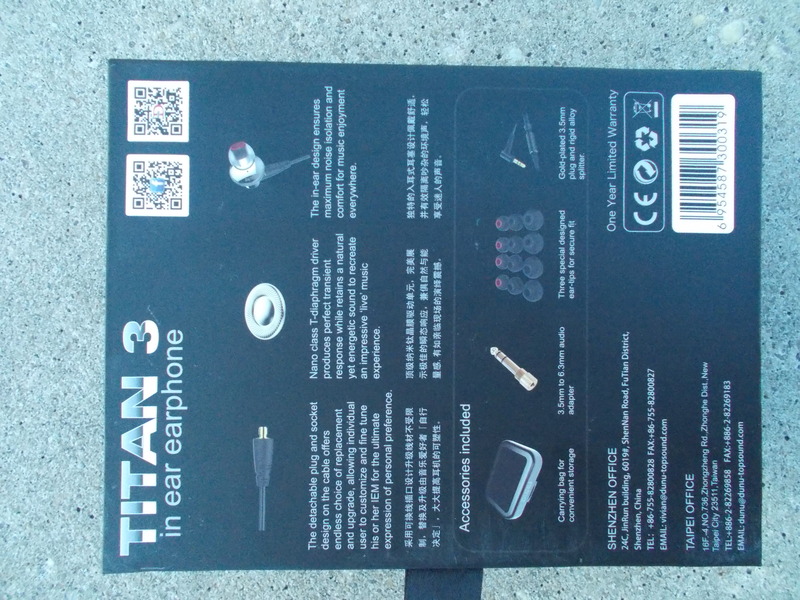 The back of the box featured pictures and descriptions of the detachable cable, titanium diaphragm driver and housings along with the accessories. 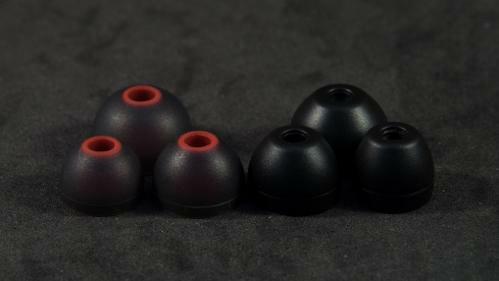 The entire Titan lineup comes with a great selection of tips, including my personal favorite Sony-like silicone tips. If those don’t work there is also slightly more rigid pair of black/red silicone tips as well. Also included are a pair of silicone fins that fit over the Titan housing, helping the earphone sit more securely in the ear. The Titan 3 features metal housings that are very solid and reminiscent of the original. The main difference I noticed is that there is far less in terms of driver venting holes on the inside of the driver. The housing shape is a design with traits from both earbuds and an in-ear monitors. 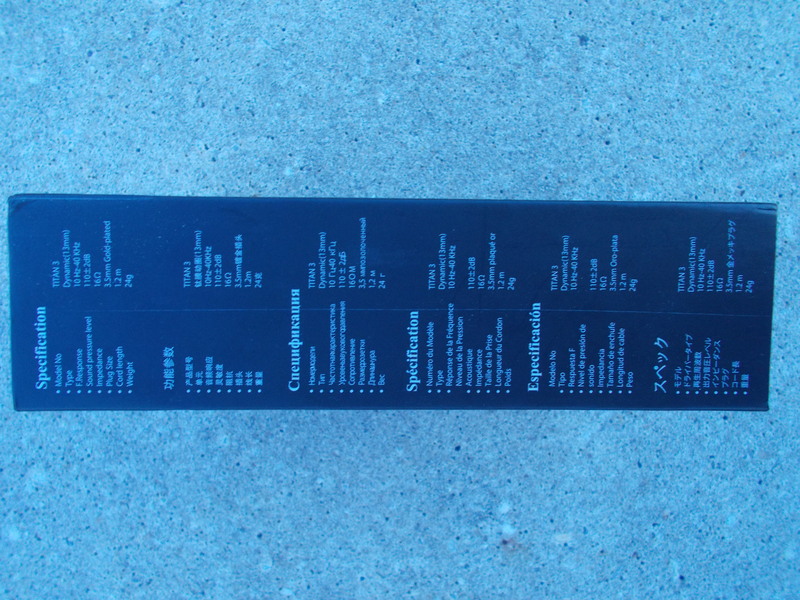 The outside of the housings displays the number three etched into the metal shell. 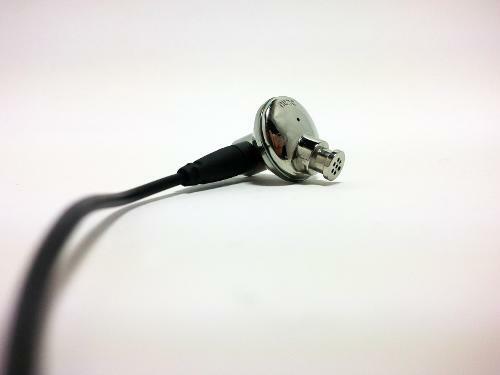 The cable is an exclusive detachable MMCX style jack that connects at the bottom of the housing. The cable has a flexible black cable with very little spring and virtually no memory, same as many of Dunu’s other cables. I really enjoy the type of cables they use, and am glad they continue to use this type. The Y-split is a black metal jacketed housing with a chin slider that fits flush with the Y-split. The Dunu logo is painted on the Y-split jacket. 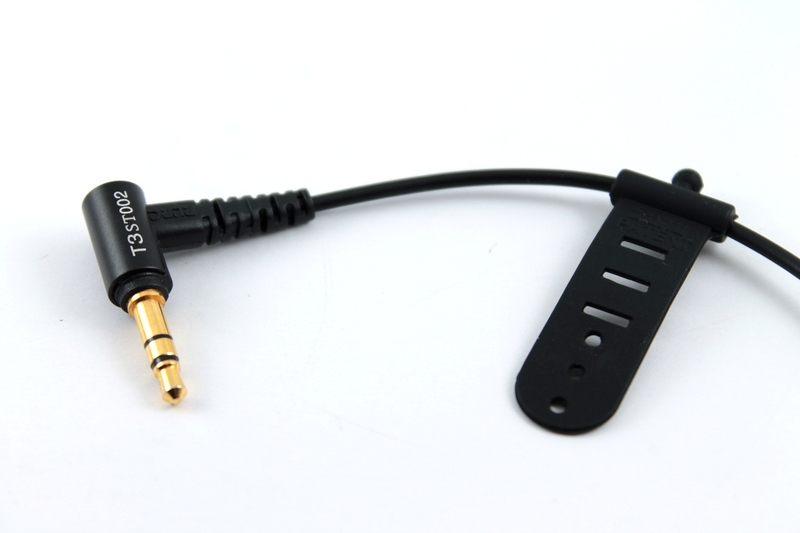 The cable jack is a ninety degree gold plated 3.5mm jack. The black metal plating on the jack has a specific serial number painted on it.Strain relief is excellent at the jack. There is strain relief where the cable meets the MMCX connectors. There is no strain relief at the Y-split. Something Dunu does that I really appreciate is the added cable winder accessory at the lower end of the cable. This helps keep My earphones neat and untangled when winding/unwinding them. 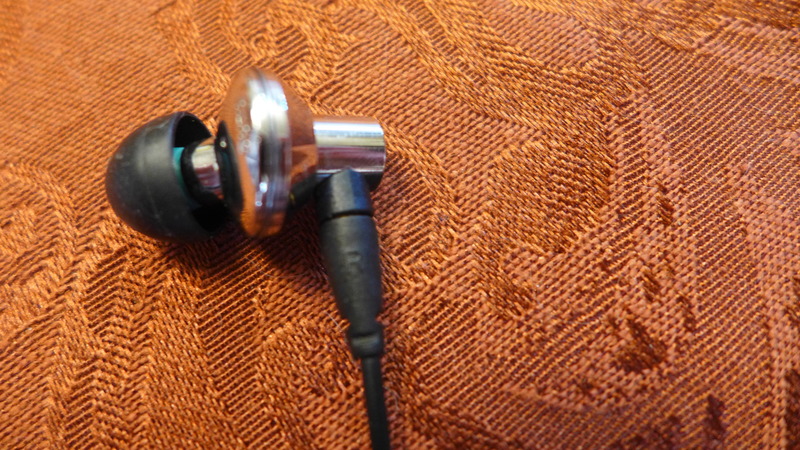 My original gripe about the original Titan earphone was that it didn’t support an over ear fit without swapping the channels. 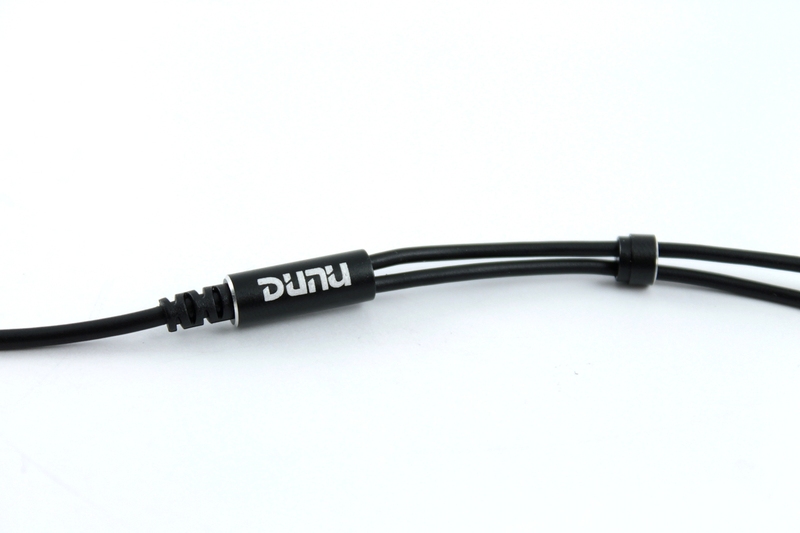 Dunu addressed this by offering the exclusive detachable MMCX cables. The first thing I did was swap channels on the titan and go over the ear, which is my preferred way of wearing just about every in-ear monitor. Just like the original Titan, the under the ear fit is phenomenal. 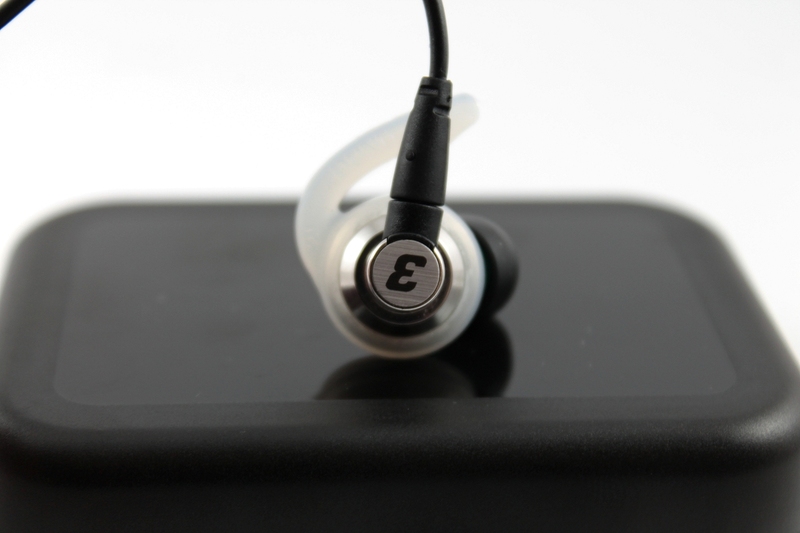 the earbud-like disc shape in combination with metal nozzle sets up for a snug and comfortable fit. 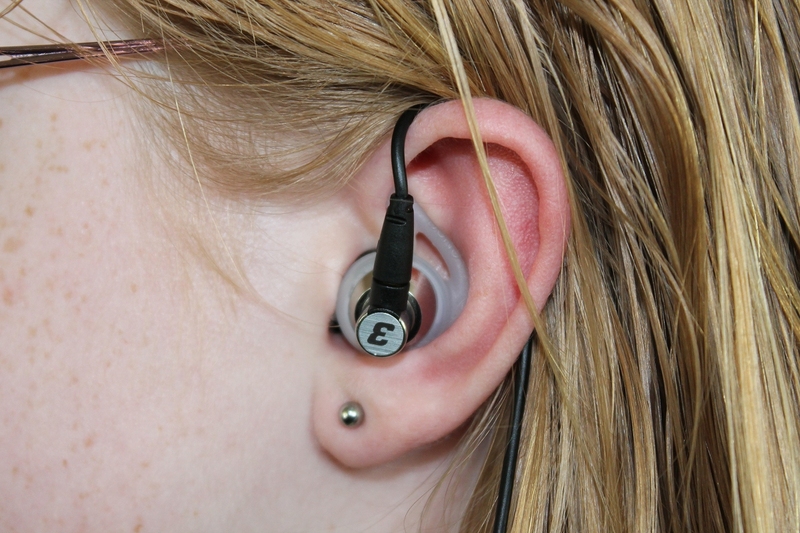 Microphonics are much better than average when worn down, and eliminated when worn over the ear. Isolation on the Titan 3 is better than the original, but still somewhat mediocre as compared to the average in-ear monitor. The Titan 3 is relatively easy to drive at 16 Ohms and can be driven by just about anything that plays music and has a 3.5 mm plug. They are a high resolution earphone that doesn’t shy away from upper midrange and treble frequencies. They will butcher poorly recorded music and sound a little hot up top with more neutral and colder sources. 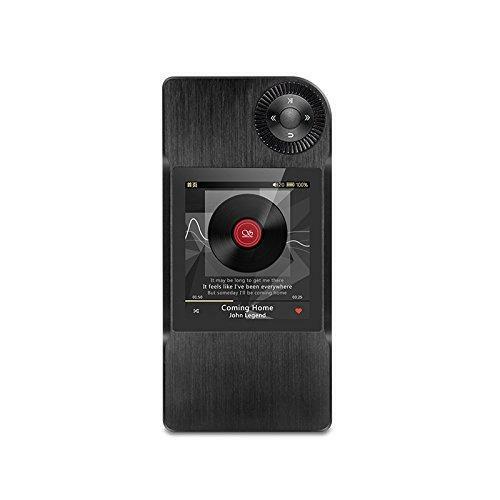 Feed them some high bitrate files and higher quality recordings through a source on the warmer side of neutral and you will be rewarded with some awesome sound quality. The first thing I noticed when listening to these is that they definitely follow in the footsteps of the original Titan. They are a high resolution sound with some tweaks in tuning to set themselves apart from the first offering. To my ears they are pretty neutral in their tuning, with an accentuated upper midrange and treble that puts a nice bite on vocals. Bass on the Titan 3 is really well done and nicely balanced from what I hear. There is a little bit more rumble than punch, but it is very fast in its response. Bass extends well into sub bass regions and never necessarily feels lacking. One of the things I really appreciated with the Ttan 3 was how nicely proportioned the bass is with the midrange tones. There is no mid bass bleed to speak of. It’s just the right amount to put a nice sense of timbre on lower midrange sounds. Midrange is great with this model, and in my opinion the best attribute of the Titan 3. Male vocals are neutral and natural. There is no sense of vocals being overly warm or weighted whatsoever. Midrange instruments have a nice and natural timbre and response. Things are very high resolution and with great separation. Moving toward upper midrange sounds things start to project forward. This helps give the Titan 3 a great sense of space but also becomes an area of the sound that I feel might be a dealbreaker for some. I really enjoy the Titan 3 at moderate volumes, but at louder volumes I can imagine the upper midrange and treble being fatiguing for some people who are more sensitive to this. The top end of the the sound doesn’t shy away from a crisply pronounced letter S or T, but for the most part the Titan 3 does it tastefully. The Titan 3 will butcher already sibilant recordings, just be aware of this. With the treble tuned where it is, there is a nice crisp finish that helps create a nice sense of space. The treble extends pretty well and makes acoustic music and live performances sound great. Cymbal crashes and treble sounds for the most part have very fast attack and decay. The high resolution midrange in combination with good extension on both ends gives the Titan 3 a great sense of space for an in-ear monitor. Imaging has a slightly holographic presence because of the lift in the upper midrange. How could I not compare the this guy to it’s brothers? The original Titan was one of my first five star reviews. Although there were some things about them I don’t feel were absolutely perfect, there was no denying their phenomenal sound quality. 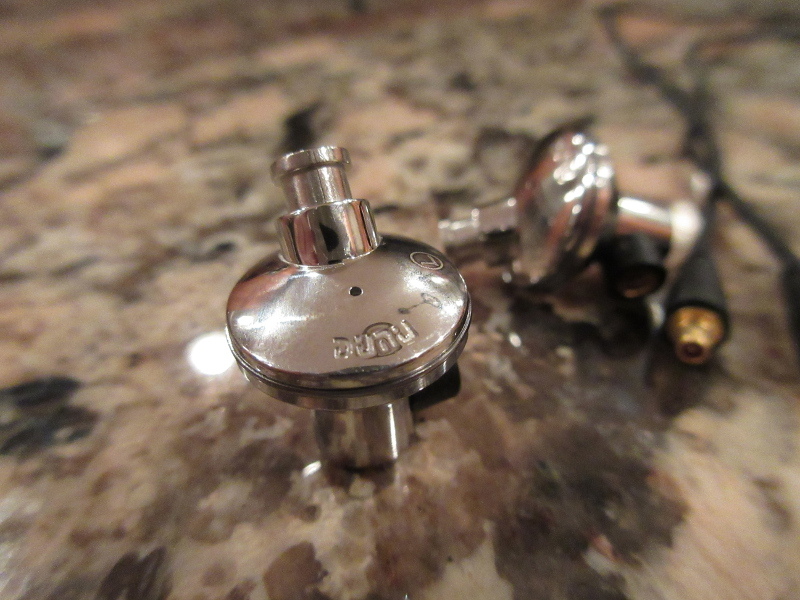 To this day the Titan 1 is still heavily used in my rotation of preferred in-ear monitors. Both models have nearly identical packaging and accessories. They feature almost identical builds, with the main exception being the detachable cables of the new model and decrease in the number of venting holes on the inside of the driver. In terms of build and accessories, a very slight advantage goes to the Titan 3 because of this. I like that I’m able to swap channels and go over the ear with the fit. In terms of sound, there isn’t one better than the other. I consider the tunings to be side grades to each other. The Titan 1 has a more musical, less extended and less fatiguing response. The Titan 3 is slightly higher resolution, more extended on both sides of the frequency response, leaner in the midbass and midrange, and more crisp in the upper frequencies. The titan 5 is the entertainer of the group. It is the same titanium driver but tuned to be more of a V-signature than the other Titans. Build and accessories is a tie because it is pretty much identical. Comparing versions 3 and 5, I can understand why Dunu would offer both models at the same time. They are completely different approaches. The Titan 3 is more linear and balanced. Titan 5 has a much more boosted lower frequency response. Treble responses on both are nearly identical. The boosted bass of the Titan 5 puts more low end warmth on midrange tones. One thing I do appreciate with the Titan 5 is how the added bass and warmth helps take the focus off of the crisp treble, making them perceptually less fatiguing. The Forward bass response of the Titan 5 also set up much better for modern genres of music. If I’m jamming Mumford and Sons, or Adele, or anything that features vocals I’m reaching for the Titan 3. If I’m jamming some Skrillex, Macklemore, or just about any modern genre of music I’m reaching for the Titan 5. If I’m going to be listening to a bunch of different music and with no particular genre, I will probably go with the Titan 1. 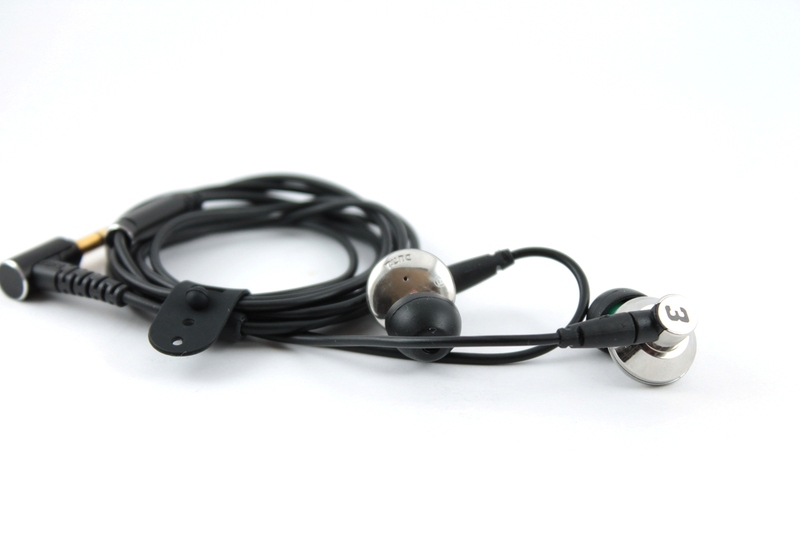 The Titan 3 is a vocal lover’s earphone with a fairly neutral yet entertaining sound tuning. Their detachable cables are a nice upgrade from the first model. 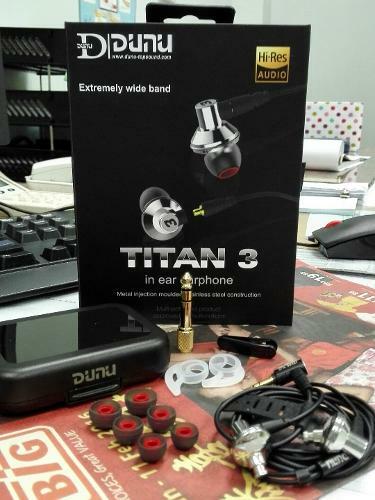 If you are looking for a solidly build and portable earphone that will make your favorite singers come to life, the Titan 3 might be the right in-ear monitor for you. Light - Man, B9Scrambler, ezekiel77 and 1 other person like this. Pros - Delicious Mids - Good isolation - It's a Titan! Today we are going to check out the Titan 3, one of two new additions to Dunu's Titan lineup. I want to thank @nmatheis for starting the Canadian leg of the Titan tour, and for @hakushondaimao for getting this awesome iem over to me for the week. Let's kick this off! Back when the Titan 1 was first announced, my ears perked up and I took notice; half in-ear design, large titanium coated 13mm drivers, from a company with a great reputation, and a well-rounded accessory kit. It looked like a winner. Once reviews started rolling in it was clear Dunu had struck gold once again. 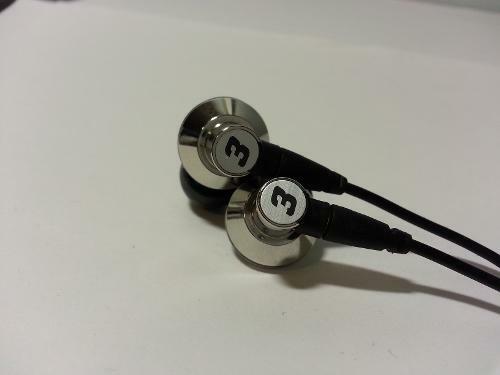 I scooped up a pair during a Massdrop push earlier this year and they instantly became one of my favorite earphones. 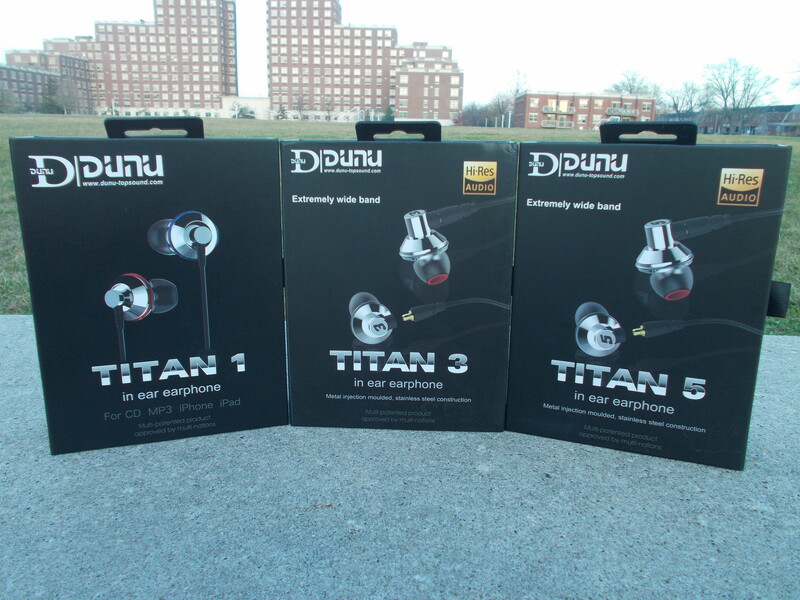 As with the Titan 1, Dunu provides Titan 3 buyers with a slew of high quality accessories. Upon opening the smartly designed package you are greeted by the Titan housings and the first of many accessories; some Heir style red-cored tips (s/m/l) and one of Dunu's stellar hard cases. 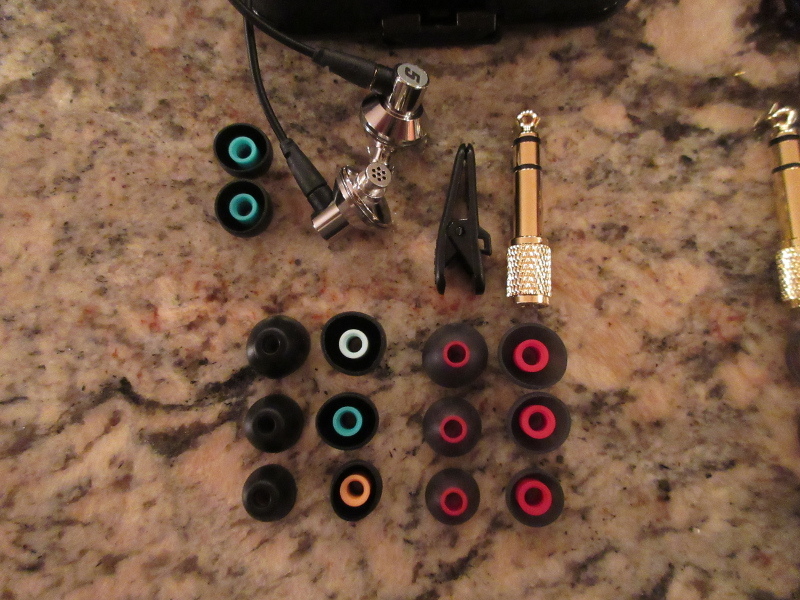 Inside the case you find most of the remaining accessories; a 3.5 to 6.3 mm gold-plated adapter, an additional set of Sony Hybrid tips, and the newest addition to the Titan arsenal, silicone earguides! A shirt clip comes pre-installed. One thing Dunu has always done well is provide a generous amount of accessories with their earphones, and the Titan series does not disappoint. You're sure to find a tip to fit your ear, and once you do, sweetness ensues. Build quality is excellent, just as it was on the original Titan. 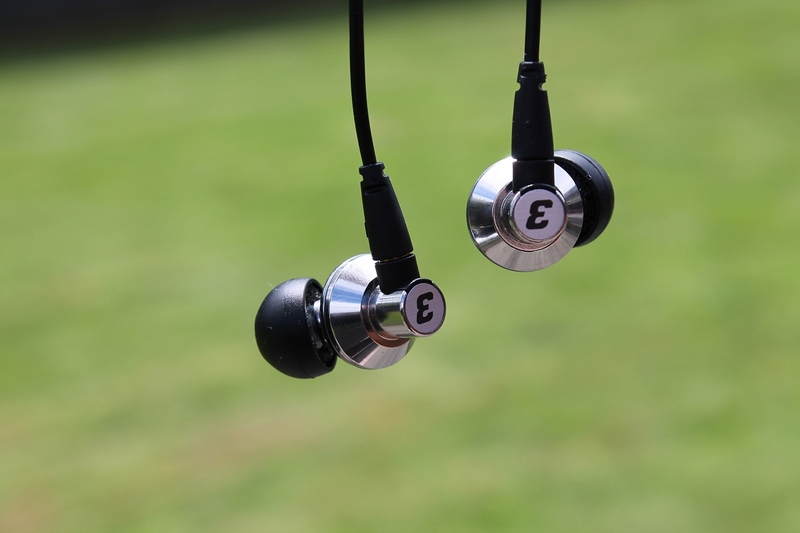 The housings are crafted from aluminum and feature a shallow fit, half in-ear design. The Titan 1 has 11 pin-hole vents on the underside of the housing and one above where the cable attaches. This sacrificed isolation for soundstage, but was arguably worth it for the airy and spacious sound. The new Titans give up some of that obscene soundstage (the 5 less so than the 3) to improve isolation and as a result are more conservative in their ventilation. 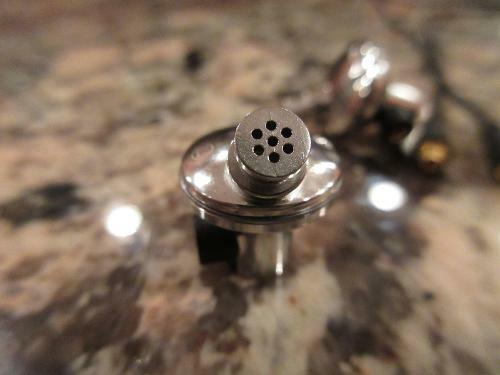 There are only two pin-hole vents, one on the underside facing your ear and one above where the cable attaches. The Titan 3 is a bit bulkier and heavier than the Titan 1, but Dunu listened to their fans to give them what they wanted from the Titan 1. 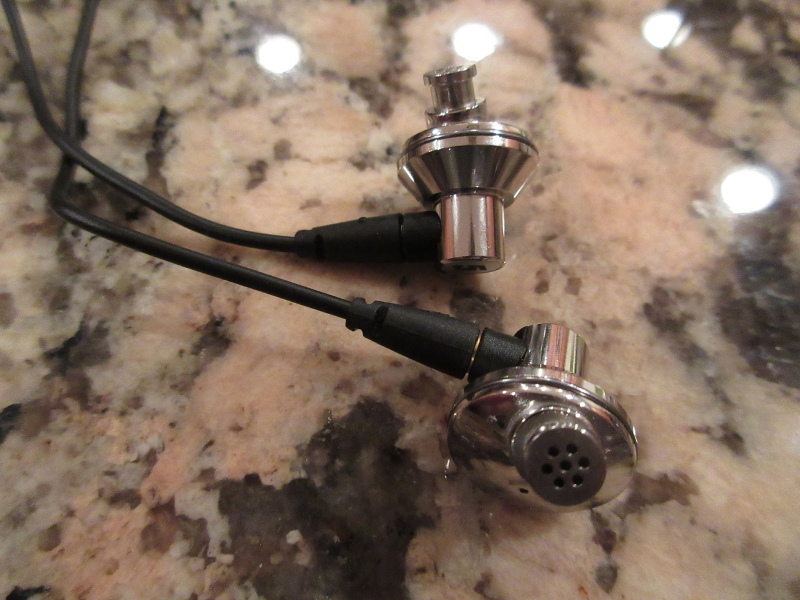 The Titan 3 features a detachable cable with a modified MMCX connector. As a necessary evil to accommodate this feature the top section of the housing is a fair bit thicker, thought you could argue this is a plus since it gives you a nice handhold with which to grab the earphone. Now that there are detachable cables you can wear them cable over ear without having to swap channels, even though I did anyways. 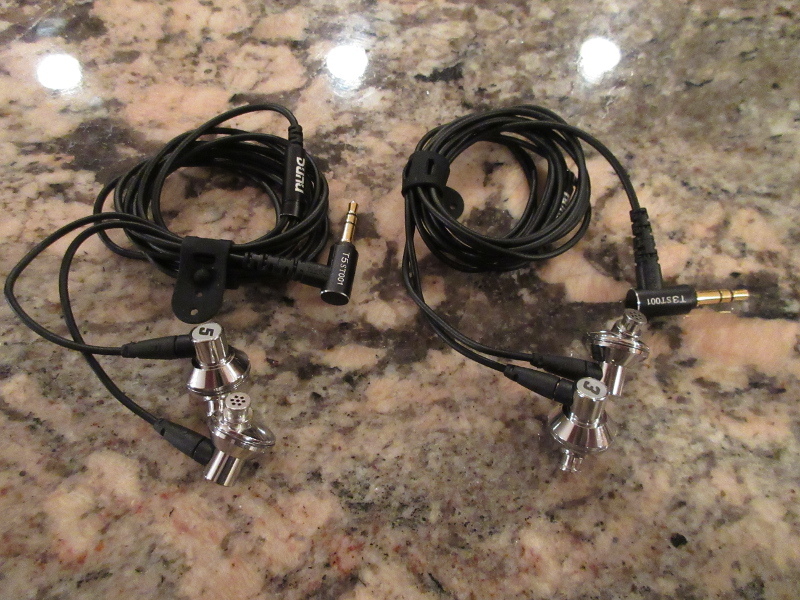 These were a loaner so I didn't feel comfortable detaching the cables...just in case. Overall comfort has improved in my opinion, despite the extra weight. This is due to a very subtle but welcome change to the housing. The Titan 1 was a little sharp around the edges and had a tendency to irritate the ears of some owners. Run your finger across the new Titans and you will find these edges have been rounded off. Hopefully this minor change carries over to the Titan 1. While overall I feel they are a well-designed product, there are a couple things to mention. First, I'm a little bummed out that Dunu ditched the colored rings on the housing. While it's very easy to differentiate the channels due to the very nature of the design, being color-coded made at-a-glance channel recognition immediate. Plus, it looked nice. Second, I'm not so keen on the cable choice. I like that it has been thickened above the y-split and is now more plush, but it is no longer cloth between the y-split and straight jack. While normally I'm not a huge fan of the partial cloth cable, Dunu did a great job with it on the the Titan 1 and I'm a little disappointed it didn't carry over to the 3 and 5. At least the cable is still well-relieved. I'm looking forward to see what Dunu's upgraded cables bring to the table in the near future. Some specifications for those who like to know. Having access to the entire Titan lineup for the purposes of this review was very handy for putting each model into perspective with one another. I found the Titan 3 to offer up a mid-forward signature, slightly on the warm side. It's bass is toned down compared to the 1 and 5 but I didn't find it lacking, especially when compared to something like the Havi B3 Pro 1. I found treble to be very crisp and well-extended with great detailing and separation. Mids are pushed forward and are particularly enjoyable with female vocals. The general texture the Titan 3 pumps out is very engaging. It's smooth but with enough edginess to maintain some serious entertainment value. Where I feel it falls short in comparison to it's relatives is in the sound stage. While it avoids being congested, it certainly feels less spacious than the other Titans. Titans 1 and 3 are both pretty energetic. Mids on the Titan 1 are pulled back compared to the Titan 3, but not to the extent of the 5. Bass is more pronounced on the Titan 1, but not to the extent of the Titan 5. Treble on the Titan 3 is noticeably more natural and lacks the metallic edge the Titan 1 has. The massive soundstage on the Titan 1 is made even more apparent when moving over to the Titan 3. While there are some similarities between the Titan 3 and Titan 5, the differences in mid and bass presentation really set them apart. 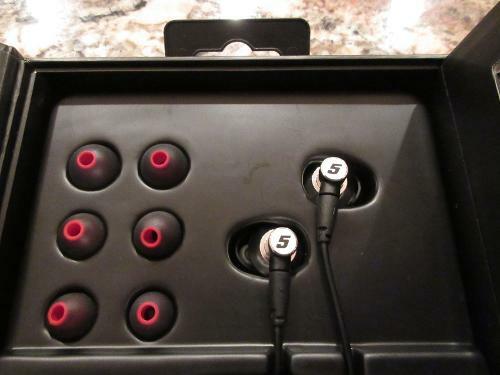 In direct comparison the 5's mids feels scooped out and bass greatly boosted while being not quite as quick and nimble. Treble is similarly extended but smoother on the Titan 5. The Titan 5 seems to be the more versatile of the two offering up a more relaxed and smoother listen. The Titan 3 is an awesome addition to the Titan lineup. I found them to be the most entertaining Titan, but also the most fatiguing long term. I think I still prefer the Titan 1 since it offers up a more unique sound and much larger soundstage, but the Titan 3 certainly makes a mark and solidifies it's place in the Titan lineup as a master of vocal presentation. Light - Man and stalepie like this. Nice review! And nice to know you included some light listening in your test songs (ie King Crimson - Red) lol! Great review! Thomas! @B9Scrambler! 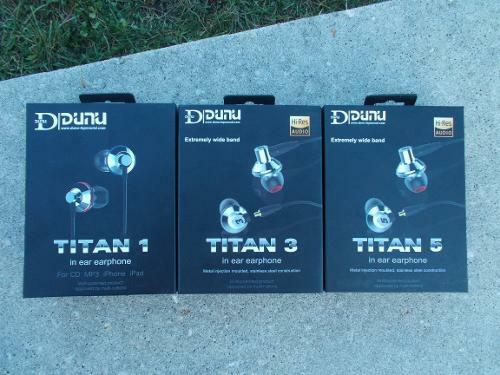 Listening to the them (Titan 5s and Titan 3s) while reading your review! Looking forward to your reviews Tom! Founded in February 1994 originally as an OEM manufacturer, the Chinese company DUNU has developed in the past few years and launched many in audiophile circles highly appreciated IEMs, whereof the Titan 1, an in-ear with semi-open design that, with its semi-open design, reminds me more or less of an “earbud with a nozzle”, was one of their most appreciated and discussed in-ears in the last time. After the successful Titan 1, the Titan 3 and Titan 5 have been added to DUNU’s “Titan”-range. 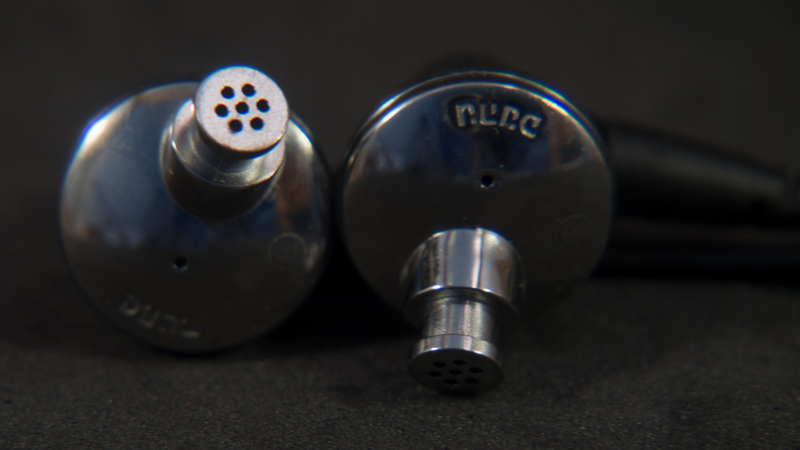 They are not meant to replace the original Titan 1, but rather meant as alternatives in the product range, featuring a different tonality and other goodies, like for example replaceable cables with MMCX connectors. This review (including comparisons with the Titan 1 as well as Titan 5) concentrates on the Titan 3 and is the second part of my Titan-review-series. Before I go on, I also want to thank DUNU-Topsound for sending me a Titan 3 to check out in exchange for my honest opinion. Typically for DUNU, the Titan 3’s delivery content is quite good, although not as impressive as with their more expensive models. The packaging is valuable, sturdy and designed in the typical DUNU-style. 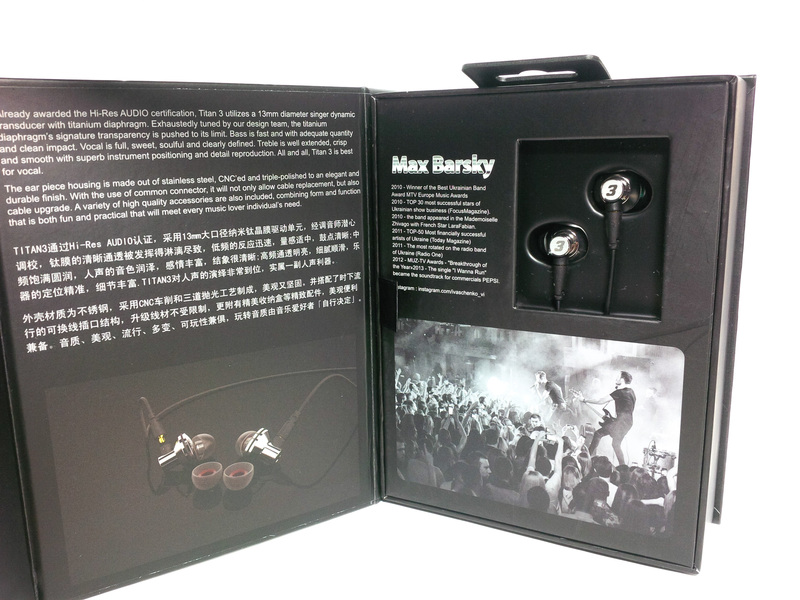 The front shows a large picture of the in-ears, the back gives information about the delivery content with corresponding little pictures and more information about the in-ears. 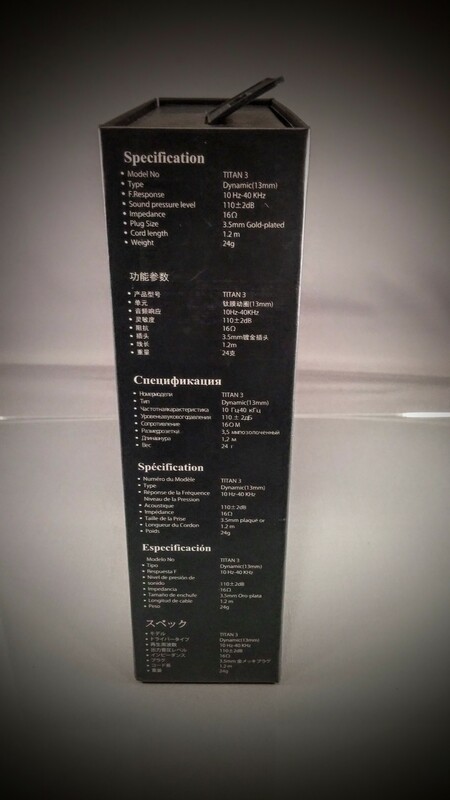 The left side features the technical specifications in various languages; the right has got a strap for opening the magnetic lid and features the words that DUNU stands for: “Delicate Unique & Utmost”. 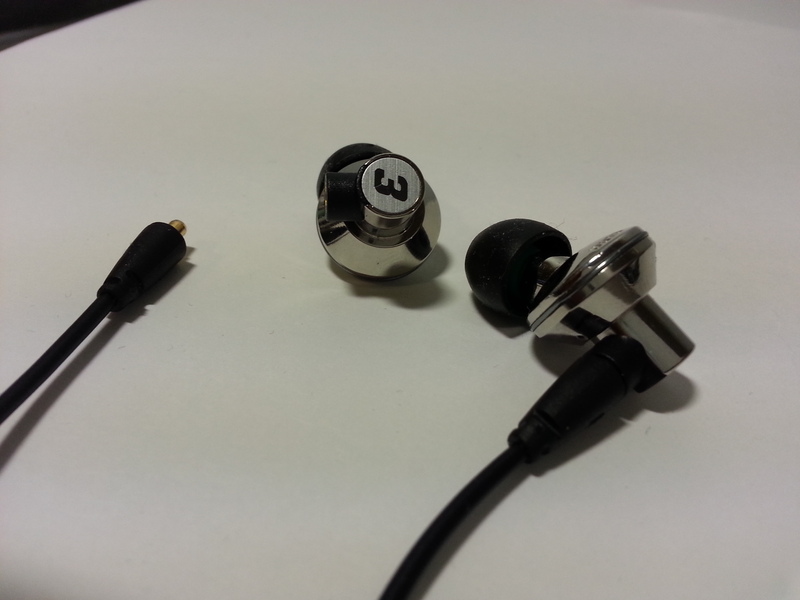 On the inside, the left side of the upper side’s lid describes the assets of the titanium coating and briefly describes the in-ears’ sound signature. On the right side, there is an introduction of a musician called Max Barsky as well as a small plastic screen with the in-ears behind. With the help of another strap, this side can be opened up as well and reveals the in-ears as well as a warranty card, a really nice carrying case (more about that later on), a cable clip, a 6.35 to 3.5 mm adapter as well as two different styles of silicone tips (one type less than the Titan 1) in three different sizes (among are the pre-installed Sony-like hybrid silicone tips and hybrid silicone tips with red stem). 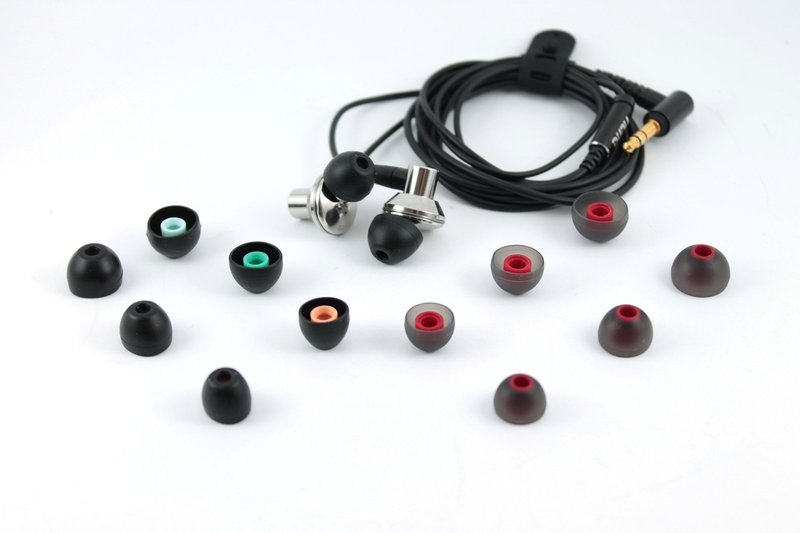 Therefore, the consumer can chose his preferred style of tips that also have a slight impact on the overall sound signature. 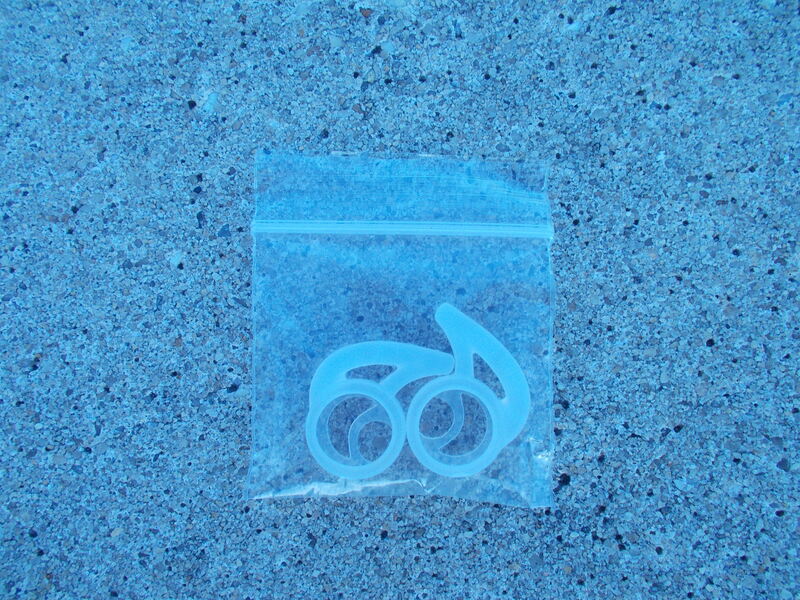 As a new accessory, two soft white silicone hooks also come included. 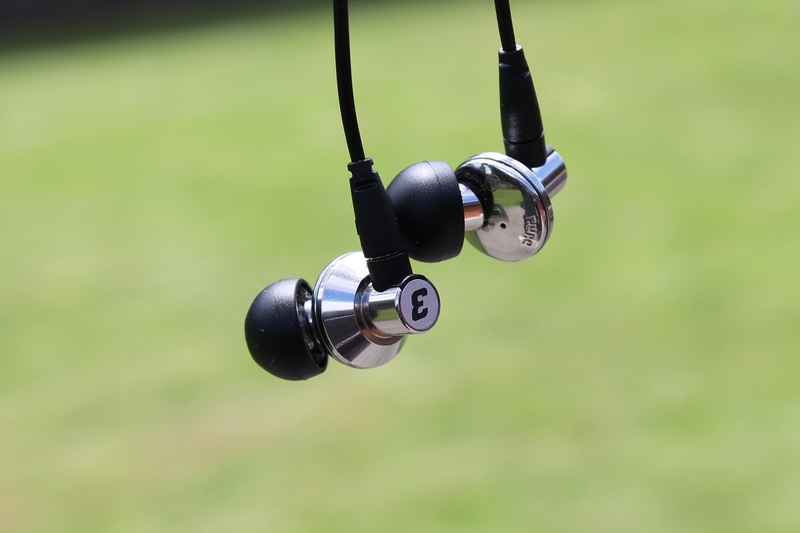 The silver-coloured, CNC-milled and triple-polished in-ear bodies are made of stainless steel, feature a premium build quality, have got classical “L” plus “R” side markers as well as DUNU letterings. As a very convenient feature, the “faceplates” feature the number “3”. Apart from the sound outlet holes in the nozzle, I count only one additional vent in the body (in contrast to the Titan 1’s 12). Contrary to the Titan 1, Titan 3’s bodies are not colour-coded (the circular rings are just dark grey), which has a simple reason: the Titan 3 (as well as Titan 5) have got replaceable cables with MMCX connectors, wherefore the bodies can be swapped if one wants to wear the in-ears with the cables over the ears. For the price range, user-replaceable cables are a really nice feature and fortunately don’t increase the overall price much. 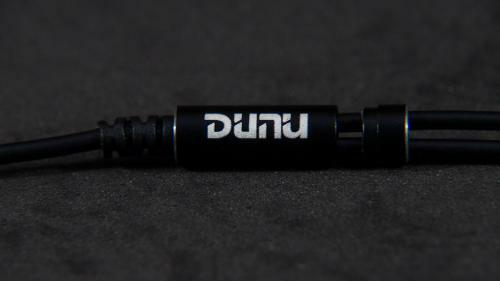 The L-shaped 3.5 mm connector which contains the serial number as well as the y-split with the “DUNU” lettering and the chin-slider are made of black metal. As opposed to the Titan 1, Titan 3’s cable is not cloth-coated below the y-split, which I see as a benefit (it can’t fray), although it doesn’t look as cool/special. 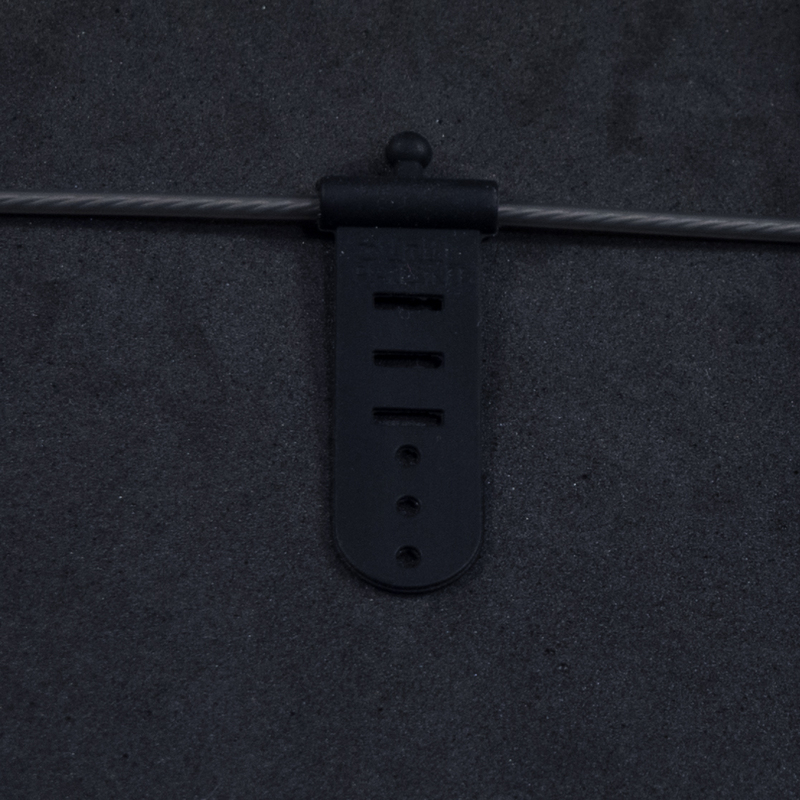 Of course, the Titan 3 also features DUNU’s unique, patent-pending cable management tool that eases rolling off the cable and keeping it in that shape. With a gentle press on the button of the nice carrying case, the lid snaps open. The bottom on the outside has got a rubber mat that is skid-proof on most surfaces. The lower half of the case’s inside is bolstered with rubber, but the upper is unfortunately not and has only got a hard plastic surface. 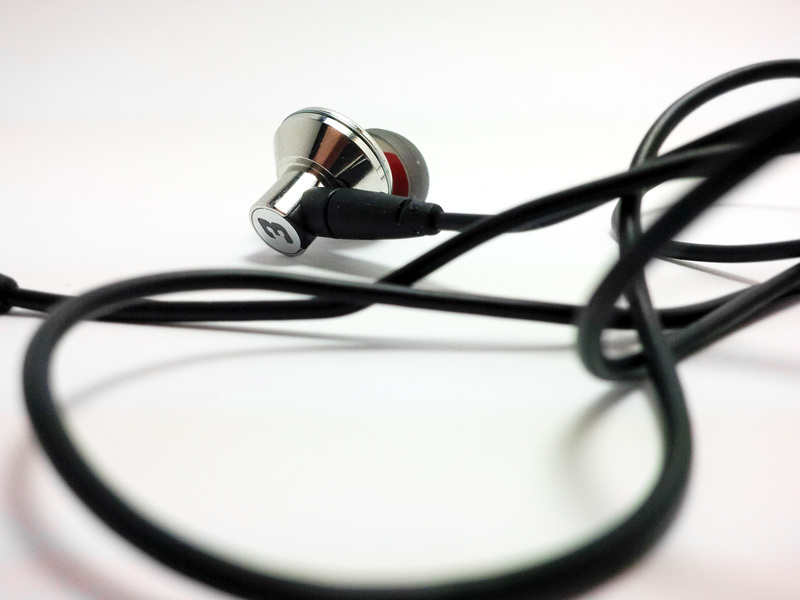 By swapping the sides of the cable connectors, the in-ears can now also be worn correctly with the cables around the ears. 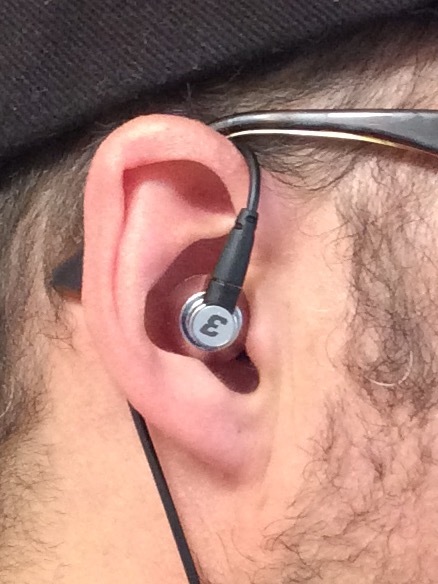 The in-ears are best worn like earbuds with the cables straight down, which works out quite nice, however people with very small auricles may have fit issues, which is definitely no problem for me who has quite large conchas, wherefore the in-ears sit very comfy in my ears. Once the chin-slider is moved up, microphonics are lowered and not too present. 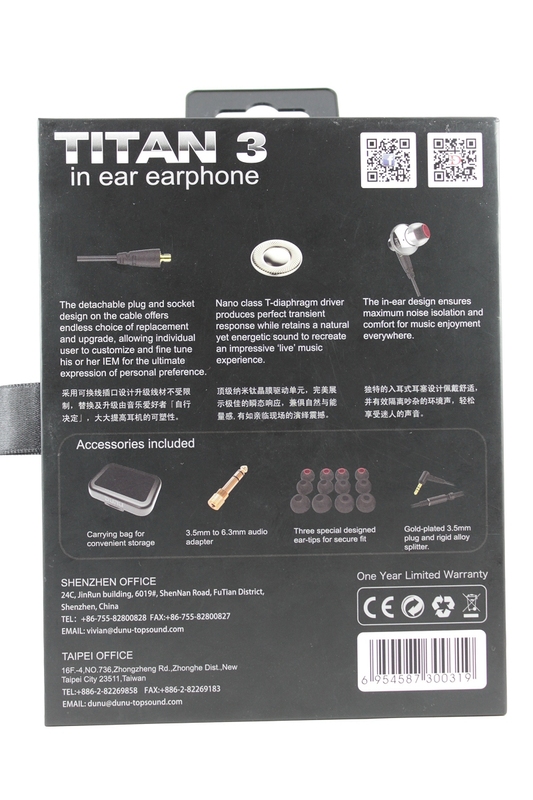 By swapping the sides, it is also possible to wear the Titan 3 correct-sided with the cables over the ears, which was not possible with the Titan 1. 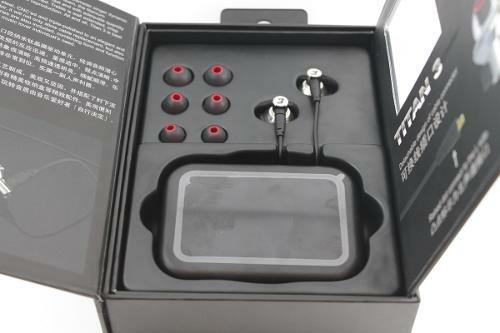 Personally, just like with the Titan 1, I prefer to wear the Titan 3 like earbuds (straight down insertion), but with guiding the cable around my ears then. Just like with the classical over-the-ear style, microphonics disappear then. New included accessories are the soft silicone hooks that can just be pulled over the in-ear bodies and guarantee for a more secure fit. As the in-ear bodies are pretty much closed, isolation is audibly higher than the Titan 1’s, however still a bit lower than mediocre. Although I don’t believe much (if at all) in burn-in of in-ears, I have fully burnt the Titan 3 in before listening, just as it is recommended for them. My main source devices were the iBasso DX80 and DX90 as well as the HiFime 9018d. Music material was mainly stored as FLAC and WAV files, but I also used some 320 kBps cbr MP3 files. The following sound impressions were written down based on listening with the red-core hybrid tips, as they subjectively offered the best sound quality for me. The Titan 3 is fairly balanced sounding, with minimally prominent mids. The lows are very evenly emphasised by just about 4 dB (compared to flat IEMs like the Etymotic ER-4S) from the sub-bass to around 300 Hz and evenly sink to a normal level towards 600 Hz. In the area of the mids (which are by the way tonally correct in my ears, without any bright or dark tendency), level is on a normal level as well, though slightly more present. Joyfully, the presence area is not recessed and from 3 kHz on, level slowly increases and forms a moderate peak at 5 kHz. In my ears, there is another peak at 7.2 kHz which is however smaller. The following upper treble is somewhat in the background. 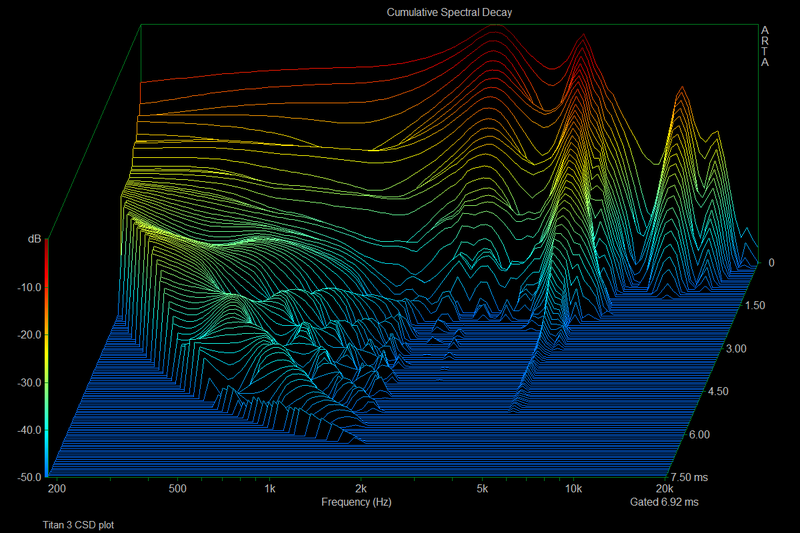 Super treble has got another peak at 12.2 kHz; treble extension is really good. All in all, treble is a bit more on the brighter side, just like the Titan 1’s, however the Titan 3 is less bright. Just as with most of DUNU’s in-ears, the Titan 3 comes with various ear-tips that shape the sound more or less obviously. 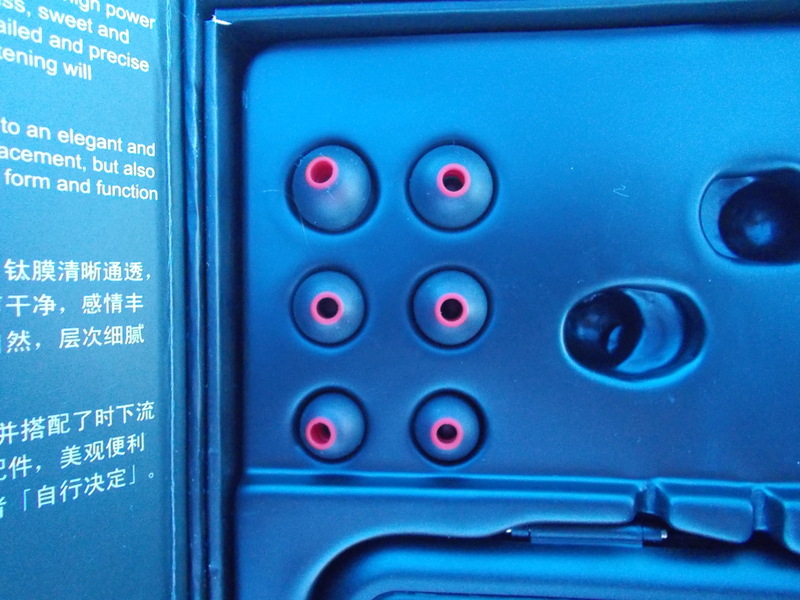 Compared to the red-cored hybrid tips, the “Sony”-style hybrid tips with black silicone have got the minimally brighter treble and upper mids in my ears, but don’t differ in the other areas. 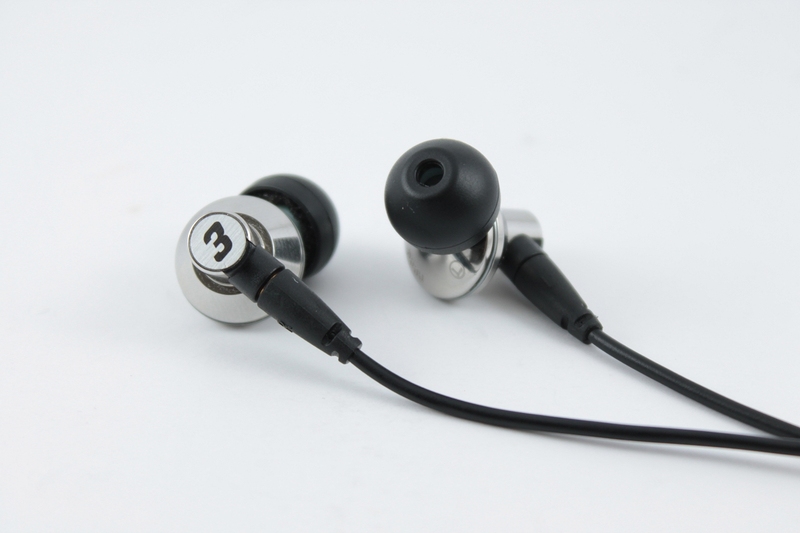 Just like the Titan 1, the Titan 3 has got a really good resolution and is definitely among the best in-ears in its price range. The bass is free of any softness and surprisingly fast, punchy, precise, arid and controlled for a dynamic driver, with an excellent transient response. Even towards sub-bass, nothing softens. The bass somehow gives a teaser of how the DN-2000J’s lows sound (although the Titan 3 surely does not reach its light-footedness, details and texture, but does a really good job on its own and especially for the price). The treble is differentiated, detailed and is better done than the Titan 1’s: the Titan 3’s high frequencies sound more refined, more natural. Although the Titan 3 is the model with the most present mids out of DUNU’s Titan series, there is one thing that I noticed, just like with the other two: on their own, the mids are high-resolving and precise, but compared to the lows and highs, their resolution very slightly lacks behind, although the segmentation is quite even and the Titan 3’s resolution distribution is a tad more even than the Titan 1’s. It is a bit like with the Logitech UE900: the mids’ resolution is really not bad at all, but the bass and treble are better in this regard, wherefore the mids appear a little bit excluded in comparison, but are very precise on their own (but the treble and bass seem to reveal a tad more details). However, the Titan 3 has got a much more coherent distribution of resolution than the UE. I think it was clear that the Titan 3 wouldn’t span such a large soundstage as the Titan 1 beforehand, as the bodies are less open. However, the Titan 3’s spatial presentation is, from what I perceive, definitely larger than average, both in terms of width and depth. The depth-to-width-ratio is very balanced, though there is a tad more depth than width in my ears. Instrument separation, -placement and layering are really good as well as precise and the soundstage never appears congested. 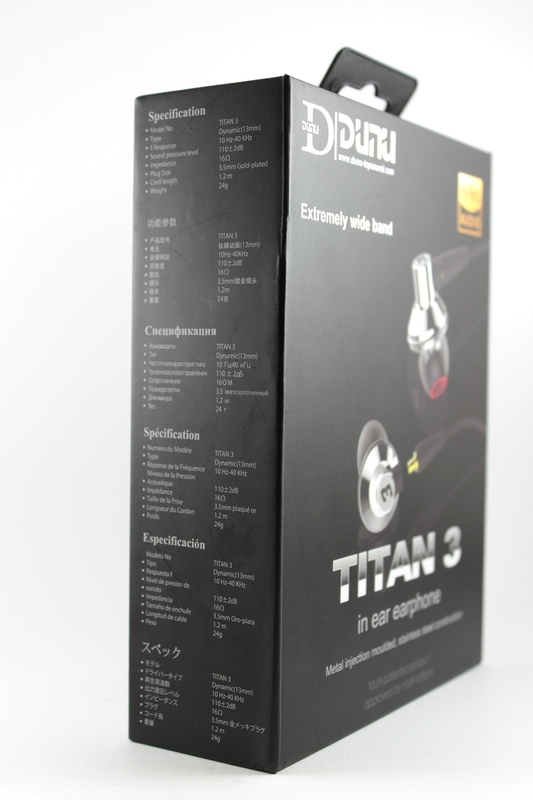 The Titan 5 sounds thicker, as it has got the more elevated bass and lower root range. Titan 5’s and Titan 3’s treble are quite similar, however the Titan 5 has got more upper highs, wherefore I personally find it better suited for Rock music. Regarding resolution, they are quite identical: both have got fast, punchy and arid lows (though the Titan 5’s bass is a very tiny bit less arid due to the stronger emphasis), detailed, well-separated treble and have got a mids’ resolution that is very good but very slightly lacks behind the bass’ and highs’, however it is even more unobtrusive with the Titan 5. In my ears, the Titan 5 has got the slightly larger soundstage and sounds a tad more open, with the stronger spatial depth, however both are not as large/open sounding as the Titan 1. 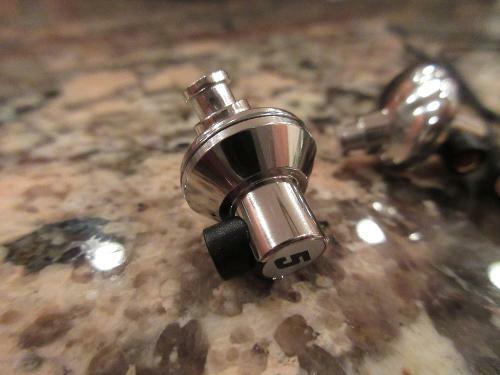 Out of the two, the Titan 3 is the more balanced sounding in-ear. While the Titan 1 has a more v-shaped signature, the Titan 3 is more balanced and concentrates more on the mids and voices. The Titan 3’s (and Titan 5’s) treble is more even, wherefore it sounds more natural and refined (both have also a bit less level in the treble than the Titan 1). Regarding resolution, they are quite identical: both have got fast, punchy and arid lows, detailed, well-separated treble and have got a mids’ resolution that is very good but very slightly lacks behind the bass’ and highs’, however it is less obtrusive with the Titan 3. Due to its semi-open design, the Titan 1 generates the larger and more open sounding soundstage, but the Titan 3 doesn’t sound congested at all and creates an imaginary room that is larger than just average and has got a good instrument separation as well as layering. 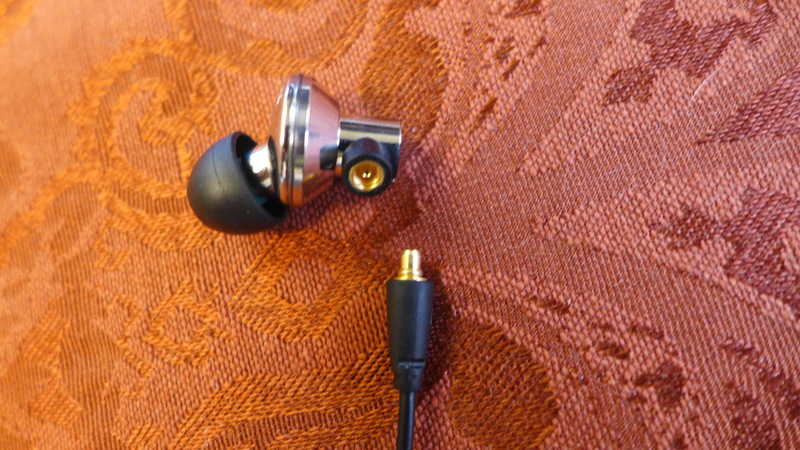 Subjectively, the Titan 1 was already really convincing, but had few little flaws that made it “only” a “really good” instead of a “very good” in-ear: the cloth-coated cable could fray over time, the midrange was a bit less resolving than the bass as well as treble and the highs were a bit artificial sounding. The Titan 3 got rid of two of these small blemishes, as the replaceable cables have no coating that could fray and the treble seems clearly more natural. 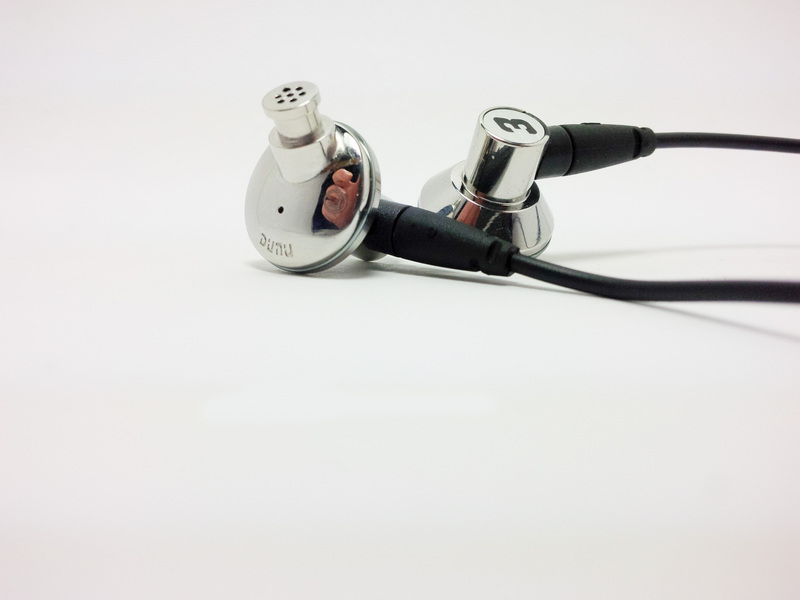 Out of the Titan series, the Titan 3 is the most balanced sounding in-ear. It also has got a high resolution with a fast and punchy as well as arid bass and a convincing spatial presentation. Here is actually really nothing to criticise from my side and the Titan 3 scores easy 5 out of 5 possible stars in my rating. Light - Man, getclikinagas and B9Scrambler like this. This review convinced me to buy these and I'm extremely pleased, so thank you. 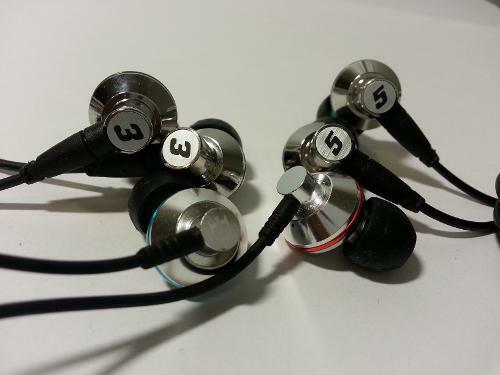 "is definitely among the best in-ears in its price range" So you are saying these are better than the HIFIMAN RE-600? Can't comment on the HiFiMan as I've never heard it, sorry. One of the best Vocal-oriented IEM's at a ridiculously low price. Pros - Fantastic vocals, Overall tonality, Very firm removable cable, Comfort, Design, Build quality. Cons - Lack of foam/bi-flange tips, non-univeral MMCX connector, clasp-operated case, average / below average isolation. 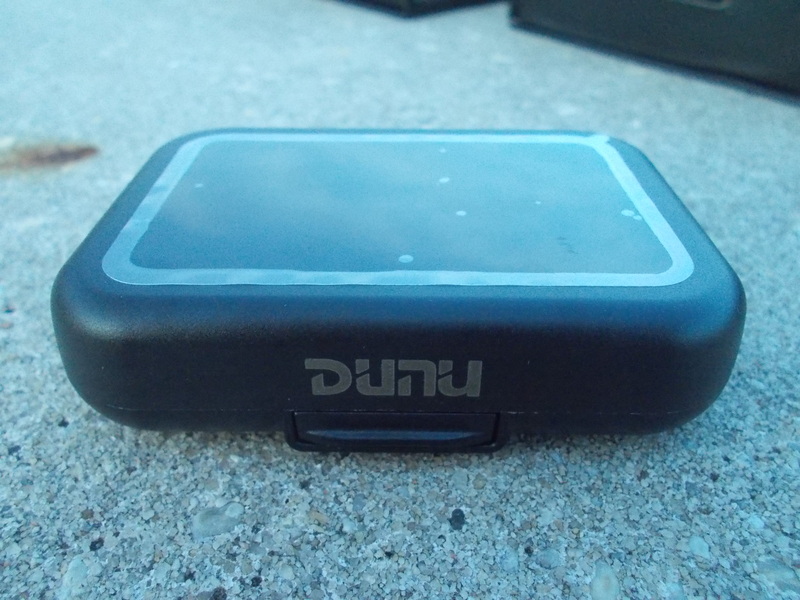 Most of you reading this review know of DUNU’s products already, so I’ll keep this short. 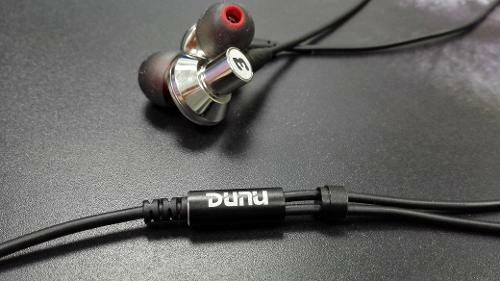 DUNU has been making IEM’s (in ear monitors – basically in ear headphones) for a while, and their products have been absolutely fantastic every time. 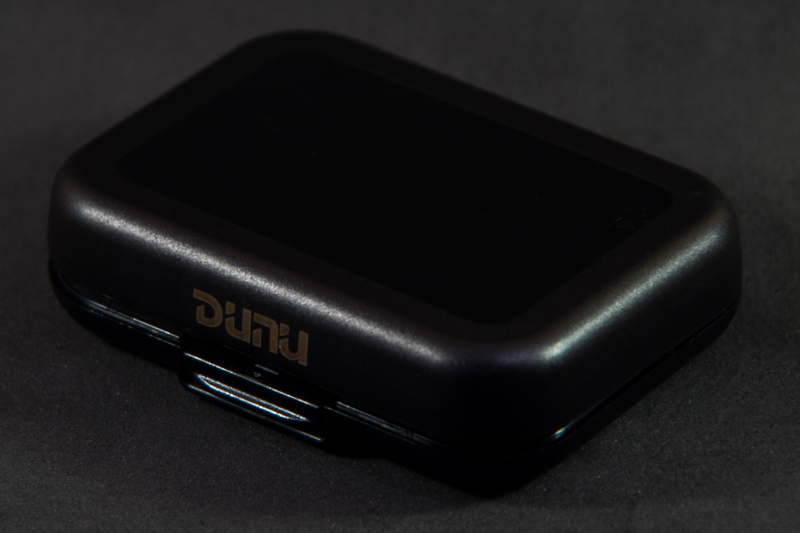 While the word “fantastic” and “great” have been overused in many reviews (even when the product is just alright), DUNU separates itself from the rest of the crowd with the sound quality and ease of use of the headphones they provide. 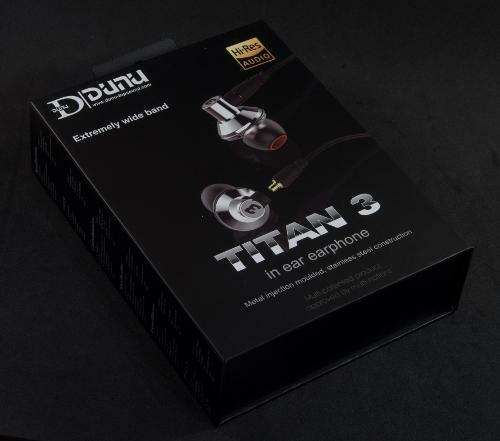 The last two of DUNU’s headphones I reviewed, the Titan 1 and current flagship DN-2000J, absolutely smashed it out of the park. The DN-2000J, for one, was technically capable of a lot more than the price suggested, and coming in to the review, I really wasn’t expecting that level of sound quality. 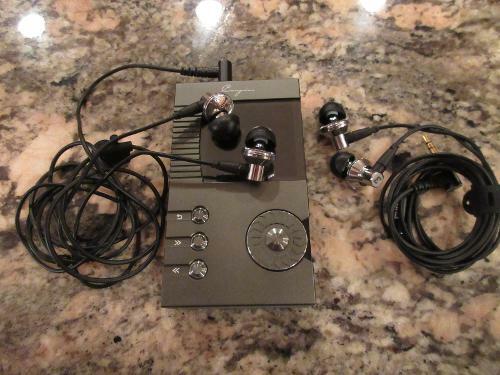 Coupled with great fit/comfort, good isolation, and nice build quality, the DN-2000J was more than a winner for me. The Titan 1 had a much lower price tag, but still surprised me with its usability and its smooth, open sound. 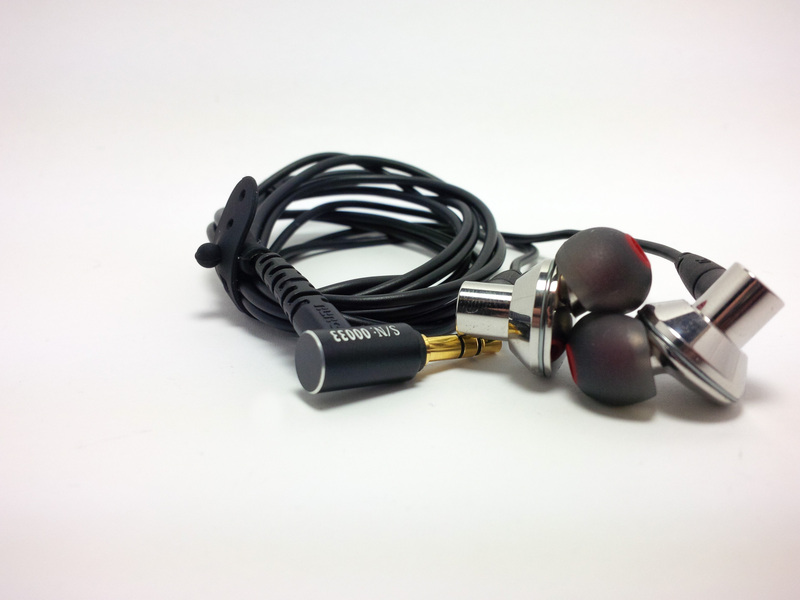 Due to the Titan 1’s half-open design, soundstage was much larger than other IEM’s, at the expense of some isolation. However, this proved to me that DUNU was willing to be creative, and try something new. Even in relatively unexplored territory, they still managed to do really well. The Titan 1 received a lot of great feedback from reviewers, and its unique shape was a success when it came to fit and comfort. Keeping that in mind, the Titan 3 and Titan 5 are the same exact shape, resting on the central part of your ear instead of inside your ear canal. The Titan 3 and Titan 5 also aimed to improve isolation, which unavoidably wasn’t so great on the Titan 1. 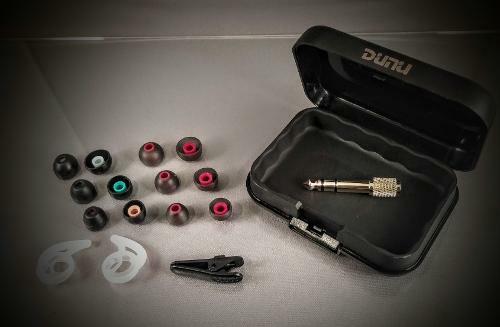 The last physical change was the inclusion of removable cables on the Titan 3 and 5, which is new to Dunu IEM’s – while the build quality of their previous headphones were excellent, some people were worried that the cable might break, so Dunu responded by making them removable as well. One thing is for certain – Dunu pays a lot of attention at the criticism they receive, and uses it to make the next product better. Although many companies do this to varying degrees, I haven’t seen too many of them really go the extra mile to please their customers – Dunu’s inclusion of removable cables was something I didn’t think I would see (because of the enormous amount of work involved), and the improvement in isolation was great to see too. It’s obvious Dunu is willing to do whatever they can to make it work – and even go out of their comfort zone to get things done. 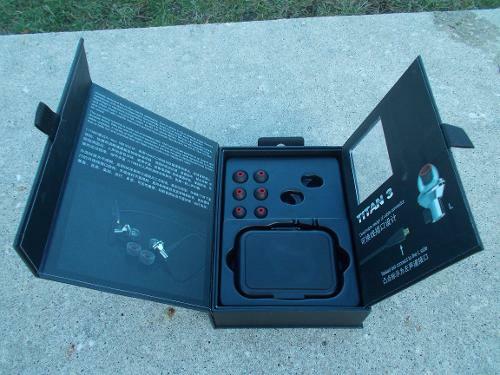 The Titan 3’s comes in the same type of box as the T1 and T5. 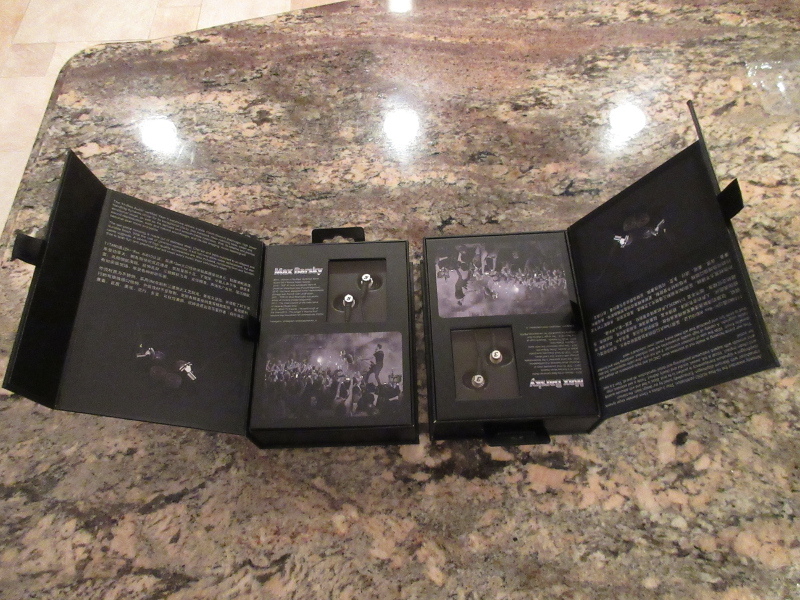 The box itself is of a stealthy black color, which also feels well made. It opens with a magnetic flap, and has more information in both English and Chinese about the Titan 3’s specific attributes. 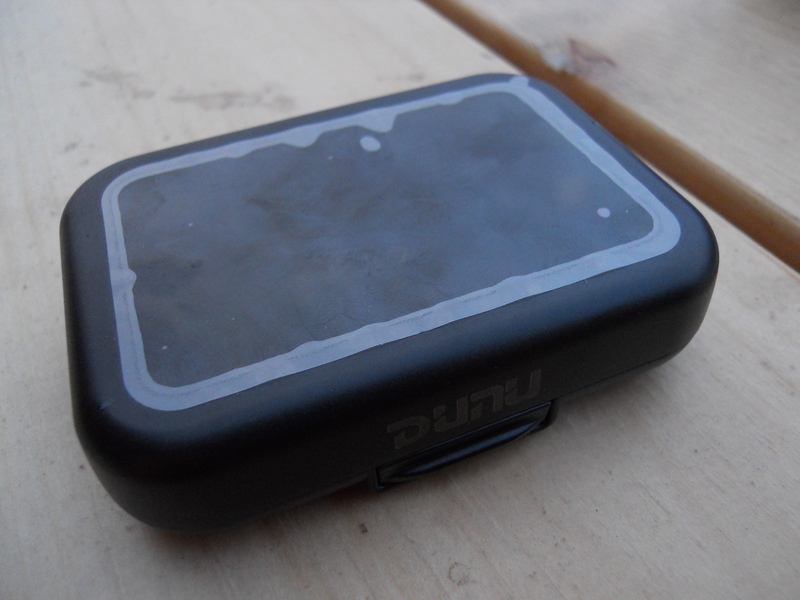 Unlike other headphone boxes, Dunu’s are entirely reusable, and are an efficient way to store your headphones if you wish. On the back, like the Titan 1’s box, it says a few things about the Titan 3’s, as well as the accessories it comes with. 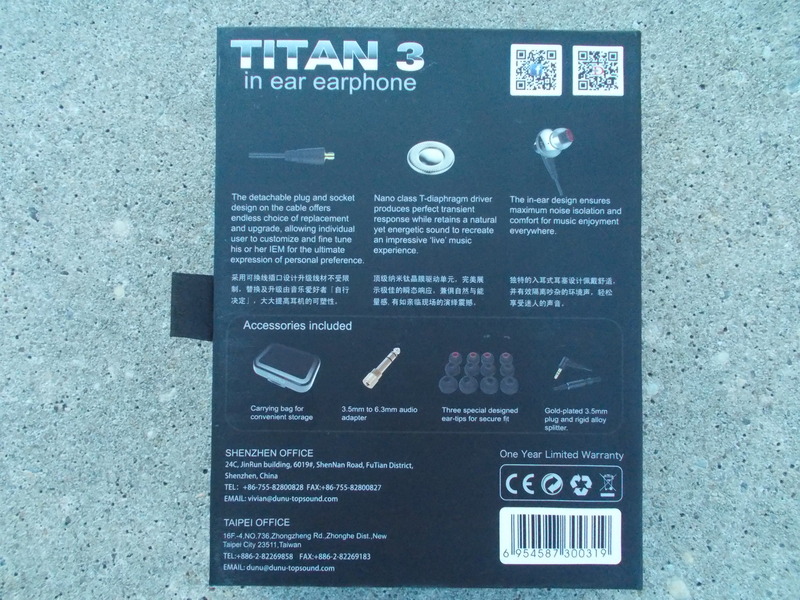 Opening up the second flap, we see the Titan 3, some of the ear tips, and the carrying case. Dunu hasn’t changed the packaging much, if any at all. However, in my opinion, they don’t need to. 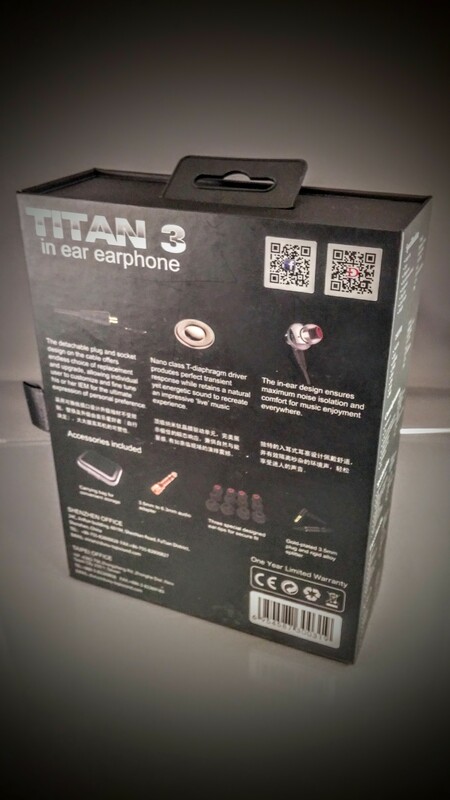 The reusable box, build quality, and large amount of information about the Titan 3 on the inside of the first flap, make it a winner for me every time. If it ain’t broke, don’t fix it, right? Let’s start with the tips. Like the Titan 1, there’s 3 pairs of translucent gray tips (small, medium, and large), and 3 pairs of Sony Hybrid-like tips. 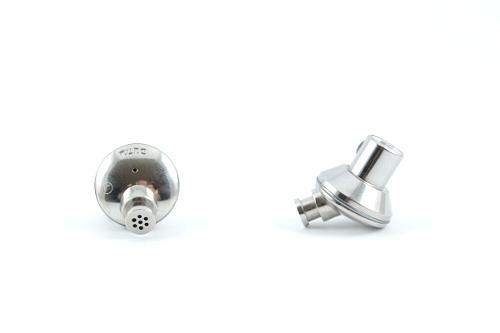 Unlike the Titan 1 though, the T3 does not come with tips with a larger nozzle size. Personally, I prefer the regular nozzle size, so to me, this isn’t much of a loss. I noted by the Titan 1 that despite the wide arrangements of tips, I would have like either some bi/tri-flanged tips, or a pair of Comply foam ear tips. The only differences I noticed between the two sets was their aesthetics and cap firmness. Again, though, for future products, I would love to see bi-flange and tri-flange tips, or foam tips, instead of only silicone eartips. Although some customers have their preferred tips on hand, many don’t, and providing a wider variety of tips would go a long way. Many companies have also started including foam and bi-flanged tips, so soon it may very well become the standard. 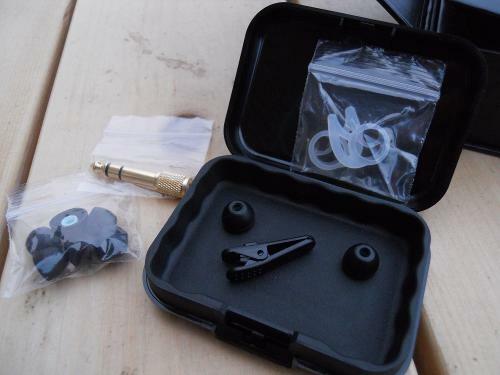 One new accessory I’m very happy about is the set of ear stabilizers – they will come in handy for those who feel that IEM’s always fall out of their ears. Great that they’re there, and definitely a step in the right direction. 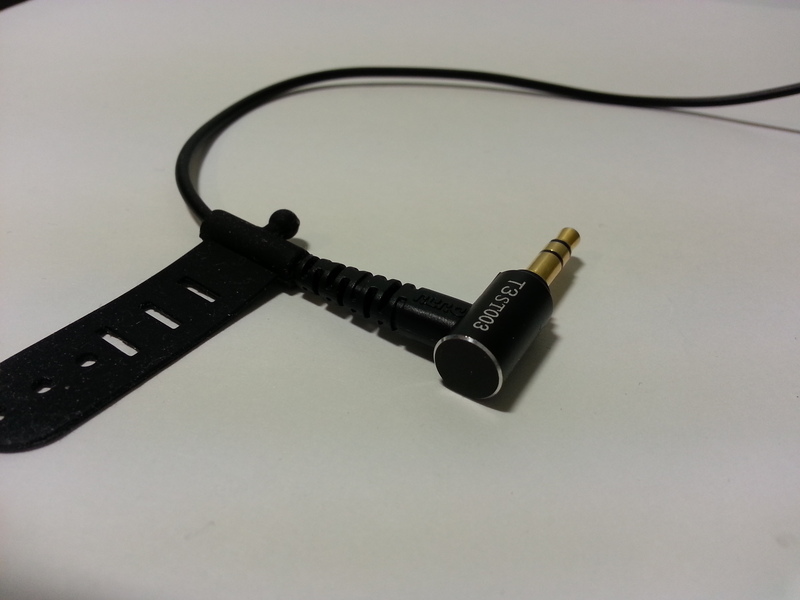 There’s also the standard shirt clip and 6.35mm headphone jack converter, which was uncluded with the T1 as well. The case is the same as the one that comes with the Titan 1 – it’s made of plastic, and small enough to be pocket able. It’s a clasp-operated case, but I usually end up leaning towards zipper cases. Zipper cases seem to last a lot longer in my experiences, and clasp-operated cases have a tendency to pop open, which makes it easy to lose what’s inside if you’re not careful – especially on the bus or train, where movement isn’t as stable.. While DUNU got the size and form factor right, and I applaud them for that, like I said last time, I’d recommend to make it even better in the future by providing a zipper case instead. The Titan 3’s housing is constructed from metal, although it seems a little different than metal housing of the Titan 1. They are both very well made, though the Titan 3 is more polished than the Titan 1. One thing I noticed is that the Titan 3 is longer than the T1, probably due to the removable cable. The T3 still stays quite light, although it is heavier than the T1. When worn, the extra weight isn’t noticeable - the only time you would realize the difference is when carrying the T3. Another difference between the two is the amount of vents on the inside of the housing. The T1, as you know, has a half-open design, which results in a larger soundstage, among other things. The secret to this was the large number of vents not only on the nozzle, but on the housing as well. 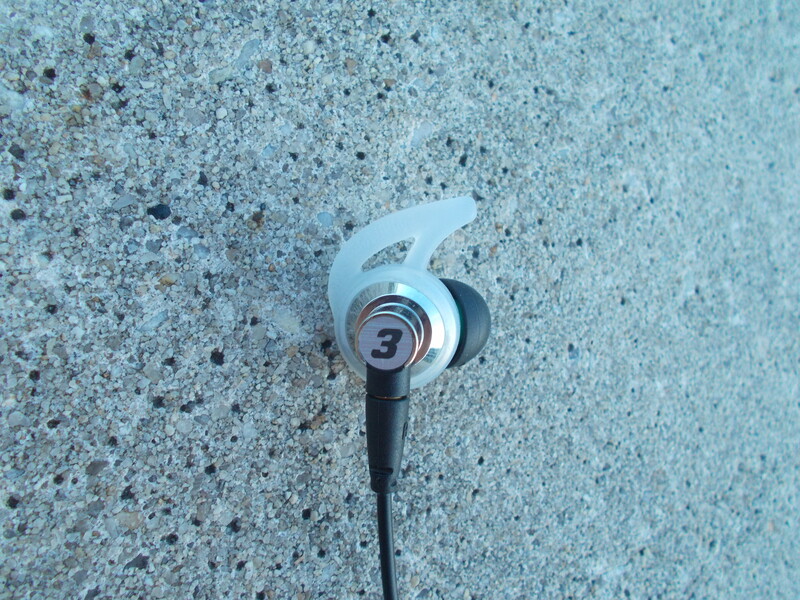 The T3 only has one vent on the inner-side of the shell – resulting in a conventional design, increasing soundstage, and decreasing sound leakage by a large amount. The T3 has a “3” on the back of the shell – which is the only distinction between the Titan 3 and Titan 5. While the implementation of the number is good, I sort of wish that the number font was a bit less cheesy; the font is similar to those used by Nascar, and I do think that a straight font, un-italicized, would look much better. Again, it’s a preference sort of thing, and I have a feeling most people won’t be too worried about this, so such a small thing shouldn’t be such a big deal. Moving on to the connectors, it’s much sturdier than I thought it would be. I spent a nice amount of time with the Westone W40, which costs about four times the price of the T3, and I was always worried about the connector breaking from being loose. With the T3, it doesn’t budge – something I’m extremely happy about. There is also a nice amount of strain relief, which is something that may not be necessary but is well appreciated. For their first time with removable cables, it seems DUNU did a great job on the build quality of this one. The T3 sports a MMCX connector, although I’m pretty sure they achieved the connector strength by using a slightly longer connector length. Although I haven’t tried any other cables with it, it might be a pain to find an after-market cable that fits the Titan, due to the non-universal connector on the T3. The cable itself is well-made – not springy, but it doesn’t feel cheap either. It feels a little bit stronger than the T1 cable, but the differences are slight and it’s tough to tell which one is actually better. Later on, I’ll briefly discuss the microphonics, and the lack of a woven cable greatly contributes towards the success the T3 has in that category. 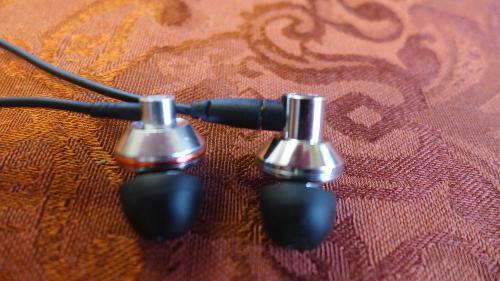 They Y-split is made of metal, and is jet black, unlike the T1’s sliver Y-split. It also appears to be even better made than the one on the T1 – and the T1 already was great in that aspect. There’s a nice stress relief leading up to the split, and overall it seems well done – it really adds to both the design aesthetics and build quality. 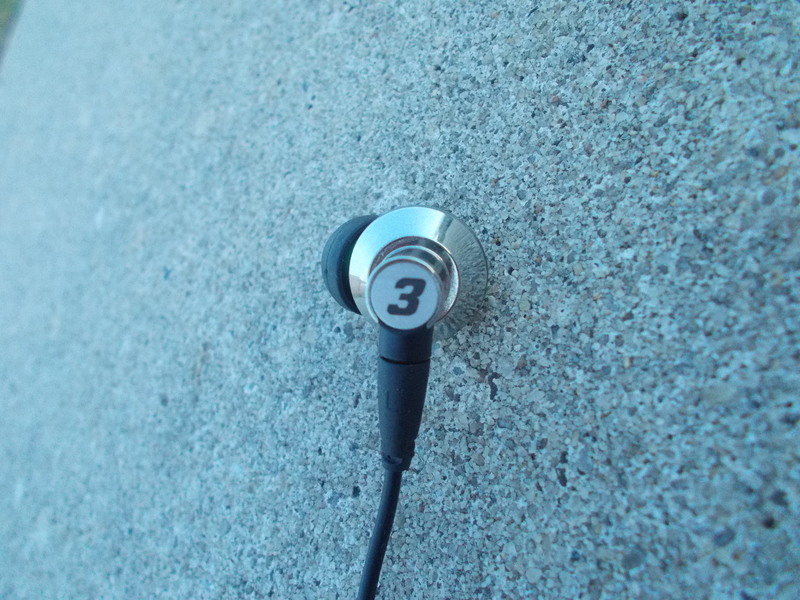 The T3 has a right-angled 3.5mm jack just like the T1 – the jack is extremely well made, like its predecessor’s, and there is, again, a really good amount of stress relief. 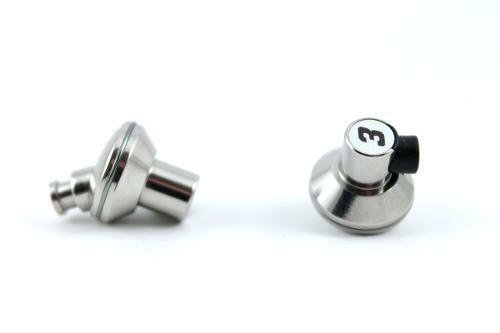 The only difference between the jacks on the two models is the color – the T3 sports a more classy black, while the T1’s jack is silver. So all in all, the T3 definitely improves on the T1 when it comes to design, and the removable cable is a lovely addition too. I just wish Dunu could have made the connector as a standard MMCX model, so most after-market cables would fit. 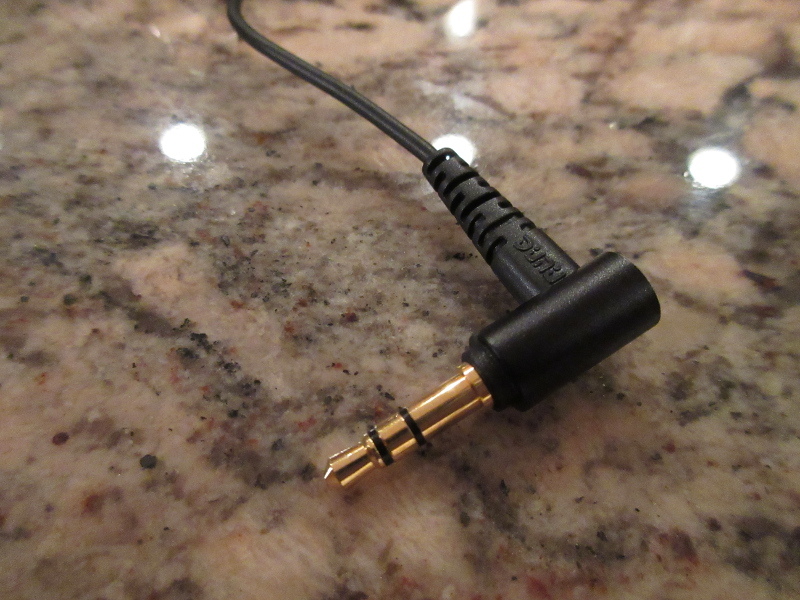 As it stands though, the connector is extremely solid, much more so than those of other headphones I’ve tried. 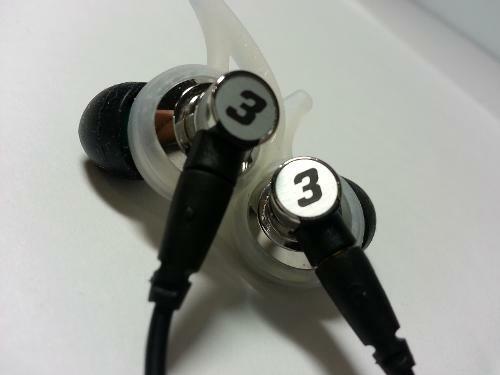 The design of the T3 is also much classier, with the slight exception of the number font on the back of the shell. The T3 also leaves out the red/blue color-coded bands I liked so much with the T1. Why they left them out, I’m not sure – it gave the T1 a different look that always felt unique. 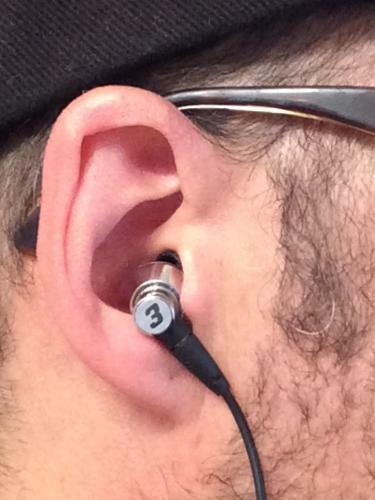 Without them, the earpieces look a little… generic to me. Other than that small caveat, though, it looks really great. Dunu really did a great job here. Here in the U.S.A, we have a saying, “if it ain’t broke, don’t fix it”. Dunu clearly went this route – the comfort and fit of the T3 is as great as the T1, which, if you haven’t tried the predecessor, is very, very good. The fit of the Titan series is relaxed, and unobtrusive – only the tip sits in your ear canal, while the rest sits on the outer ear. The fit is shallower than other IEM’s I’ve tried, and even shallower than the T5 (for some reason), which makes long-term listening easy for me, but does have only average isolation as the cost. 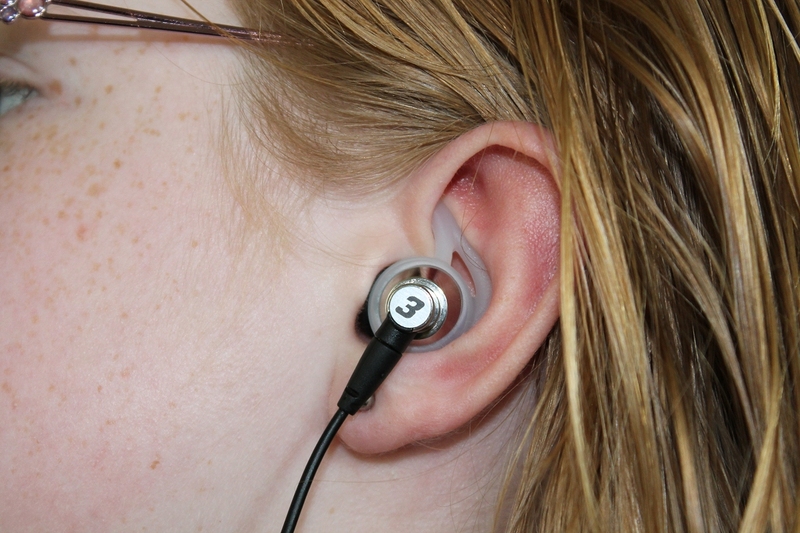 The ear stabilizers provide better fit for those who feel the fit of the T3 is too shallow (like me). 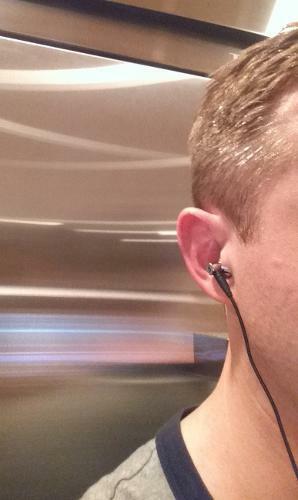 For those who were wondering, the T3 works well both regularly worn, and over the ear; the stabilizers work both ways. You do have to switch earpieces to achieve the over-the-ear fit though, and some (like me) are a stickler for L/R sounds coming the way they are supposed to. However, it’s a nice option, and it does stay comfortable for me both ways. The comfort is also as great as the T1’s. Because of the shallow fit, my ears have a little more “breathing room”, without sound leaking out. The T3 doesn’t have any foam or bi-flange tips, and I hope they can be included in future models. The default tips are quite comfortable though, and I’m happy with them. 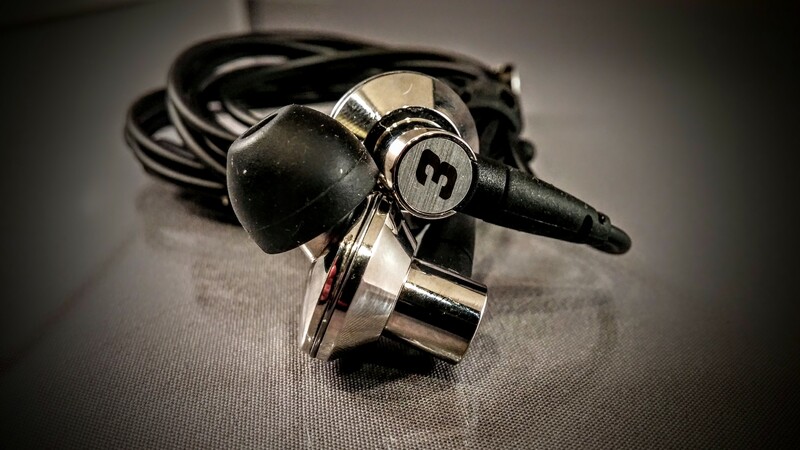 Another step up from the T1 is the microphonics – I hear very little noise when tapping below the Y-split, and even above the Y-split there isn’t much noise – ranking the T3 as one of the better IEM’s I’ve tried for negligible microphonics. 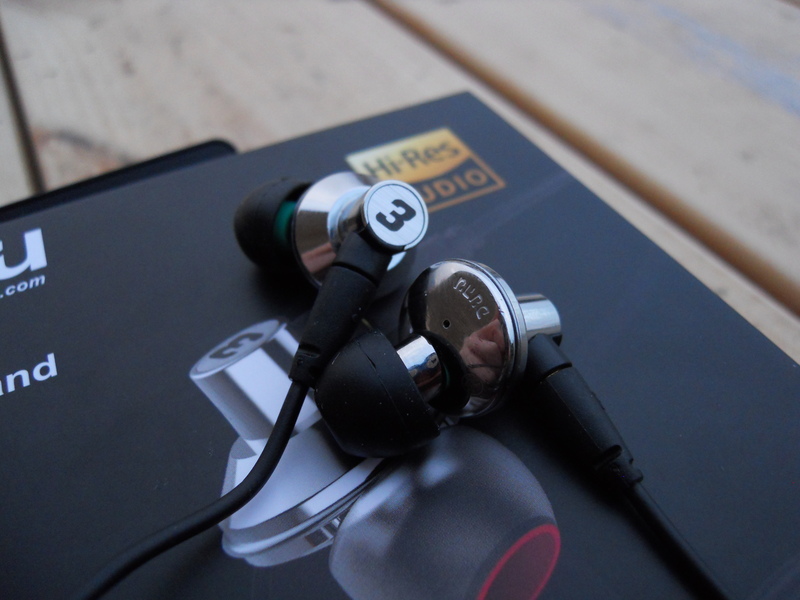 One of my chief complaints of the T1 was the above-average microphonics – the T3 went and improved that a bit. I do think that with different tips, the T3 will have even less noise, but with the default shallow fit, there seems to still be some microphonics – not much though. So, the sound. The T3 and T5 mainly differ in this respect; the T3 is a mids-oriented IEM, which excels with vocals – any vocal-based music will greatly benefit from the T5. T5 went for a more bass-beefy signature. Before I go any further, I’d like to point out that I’ve listen to both of these amazing IEM’s for about 3 weeks now – for those complaining about reviewers spending too little time with samples before they write on them. I’d like to say that my opinion on the T3’s sound has, in fact, stayed the same over the course of these few weeks, so I’m not sure what “brain burn-in” I was supposed to have. Regardless, I thought I should put it out there. Who don’t like the bass to be left out, but want a nice, clean, and unemphasized lower end. The roll-off is nowhere near what I experienced on the Brainwavz S3, and bass is there when called for. Mids are the best part of the T3, and what is was made for, at least in my opinion. Vocals are absolutely SUBLIME on the T3; I haven’t heard better male or female vocals in a long, long time. Clarity of the vocals are as good as it gets, and they are very detailed as well – much more so than I’d expect from a ~$130 IEM. Just for a comparison, I haven’t heard IEM’s four times the price do this good of a job. If your music is mostly comprised of vocal music, the Titan 3 is as good as it gets for IEM’s all the way up to the high end. For those sensitive to sibilance though, I do have to say that the vocals are leaning to the brighter side, although with everything else the T3 brings to the vocals, it’s a “sacrifice” I’m very, very much willing to make. Highs are leaning towards semi-bright to me, and that’s to be expected with such a powerful and clear midrange – nobody wants to take the risk that some vocals will end up tame, and I’m pretty sure this is what DUNU was thinking too. Either way, highs on the T3, besides for the slight sensitivity, are fantastic. Lindsey Stirling’s songs are clear, and the violins are nicely emphasized. They don’t sound compressed in any way, and there’s enough “air” to make it sound very spacious. This causes the T3 to lean towards a slightly brighter type of sound, although even though I’m sensitive to bright treble, the T3’s highs are fine for my ears. 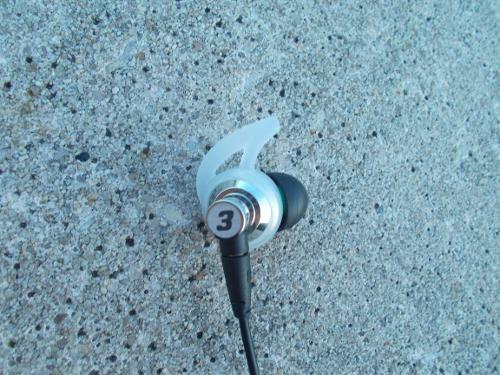 The T3 is definitely mids-emphasized, with semi-bright highs and a modest bass. This is probably best for the vocal-lover, and very good for those who like a neutral and balanced sound signature. 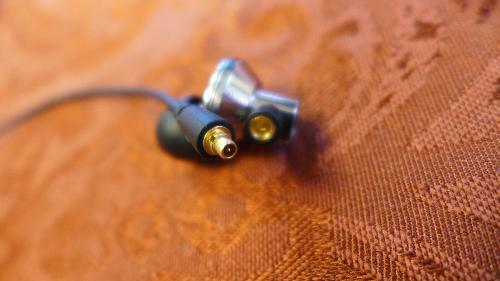 Detail is also much better than all other IEM’s I’ve tried in this price range. The amount of the detail in the bass is also very decent, but it takes a bit of a backseat to the rest of the frequency, where it allows the vocals to shine. Clarity is really, really good for this type of headphone too – vocal lovers shouldn’t have it any other way. Soundstage is another very strong point of the T3, with there being little to no difference in soundstage between the Titan 3 and Titan 1. So overall, if you know ahead of time what sound signature the T3 is going for, and like the vocal emphasis, you’re in for pretty much the best vocal IEM in the price range – it punches much higher than said price tag. There’s not much else to say – DUNU really hit a home-run with this one. 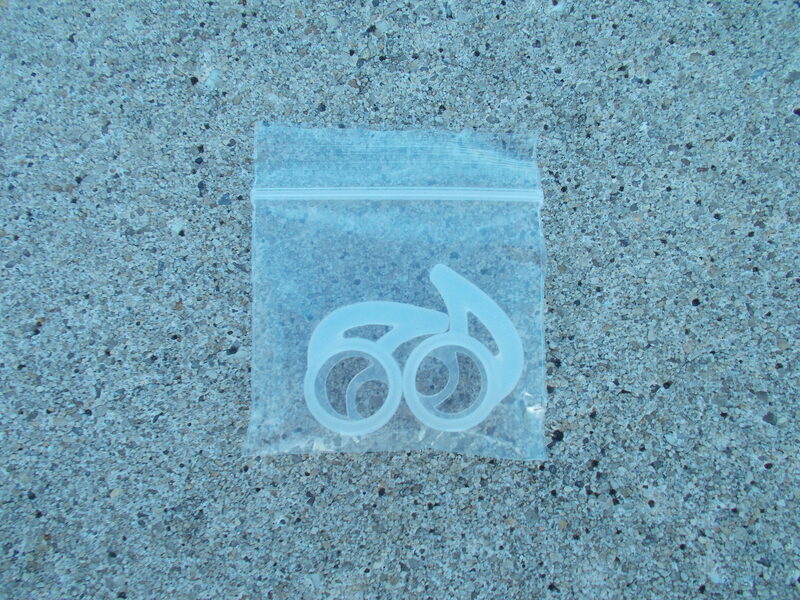 - The inclusion of the stabilizers in the accessories is very welcome. I do wish there were more different types of ear tips though, specifically a pair of foam and bi-flange ones. This would definitely help with isolation too. - The connector seems somewhat different than the standard one. I understand this makes it much stronger, and I’m surprised by the stability of the connectors. Really, well done – I can’t emphasize this enough. 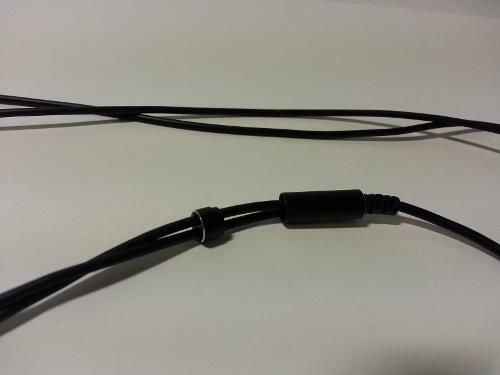 If you can find a way to do this with the standard MMCX connector, it would be even better – this way, replacing the cable would be relatively painless. - I’m not sure why the red/blue bands were removed. 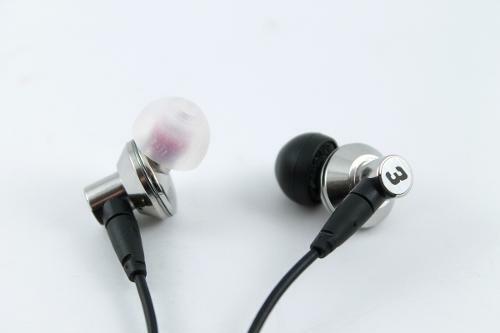 I personally like them, and feel without them, the IEM feels a bit generic. I understand Brooko thinks this is a smart move, but I’d have to disagree (? ); for over the ear, just switch the colors in your head. If this was done to keep down budget costs though, I completely understand, and it’s in no way a deal breaker. No sweat on this one. 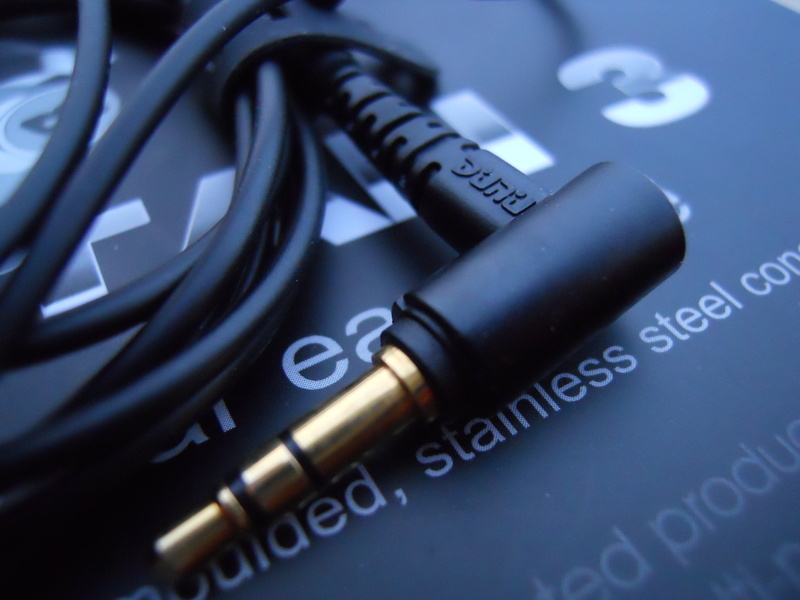 - If you could un-italicize the “3” on the back of the IEM, I think it would look even better, and more official. This is only my opinion though, and just a recommendation. - A zipper case, instead of a clasp-operated one, would be fantastic. The ones Brainwavz uses is a great example, and much more useful to me. - Maybe an extra cable to be included? This is definitely not necessary, but would be so appreciated by consumers, I can’t help but to add it in. “Is the T3 a step up from the T1?” many of you are probably asking. And the answer is heck yes – especially for those looking for a vocal-oriented IEM. Besides for the sturdy removable cable, which already makes it a worthy upgrade, the sound signature, for those looking for that general curve, is the best I’ve heard, little to no exceptions. The amount of detail is also very much improved from the T1. I do think that at ~$130, the T3 is at a very competitive price point. However, it absolutely shines at its sound signature, and is a solid choice for an overall blend of great characteristics. Build Quality? Check, in full force. Fit and Comfort? Absolutely great. The sound? 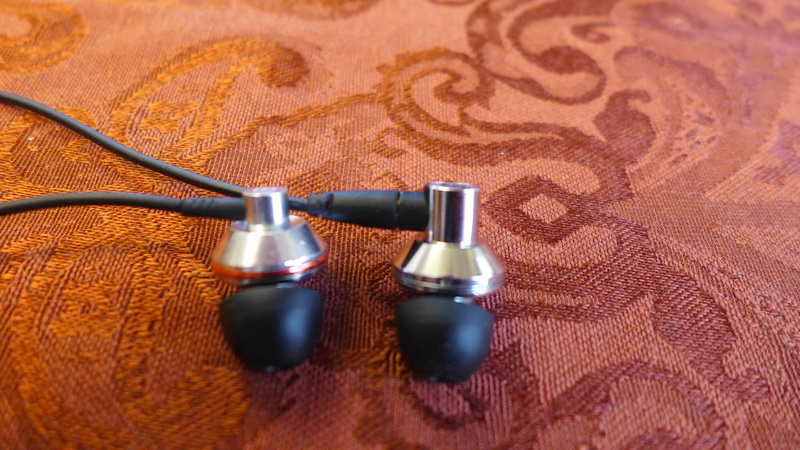 Excels at anything that has vocals, and a very balanced IEM overall – every genre I threw at it, besides for perhaps EDM, excelled – and yes, the bass can be quite potent too if asked for. So yes, it’s very much worth the money in my opinion. 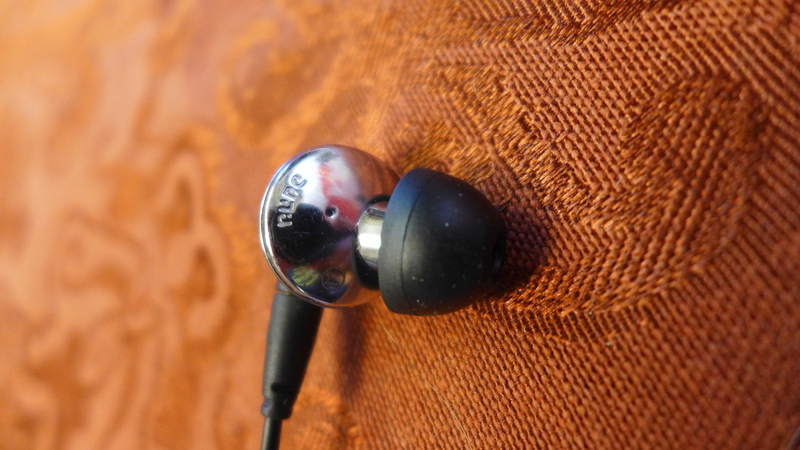 DUNU is great at making sure there are no flaws, and I really have to nitpick before I can complain about the “3” on the back of the headphone – that’s how good they end up being. Most IEM’s you’ll hear of have a tendency to have a “it’s great, but…” - the T3 has very few to no 'but's. So that’s it! 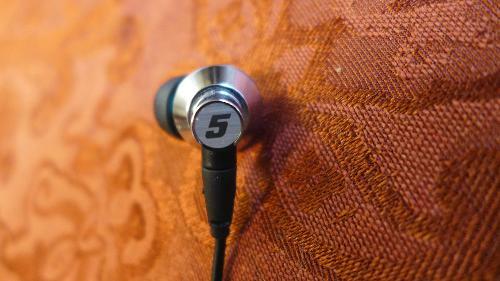 The T3 is a really awesome headphone, and I really enjoyed reviewing it. While I didn’t have to buy it, I’m sure those who do won’t be disappointed. Enjoy! Review and Comparison of Titan 3 and Titan 5, DUNU’s latest ear-candies. 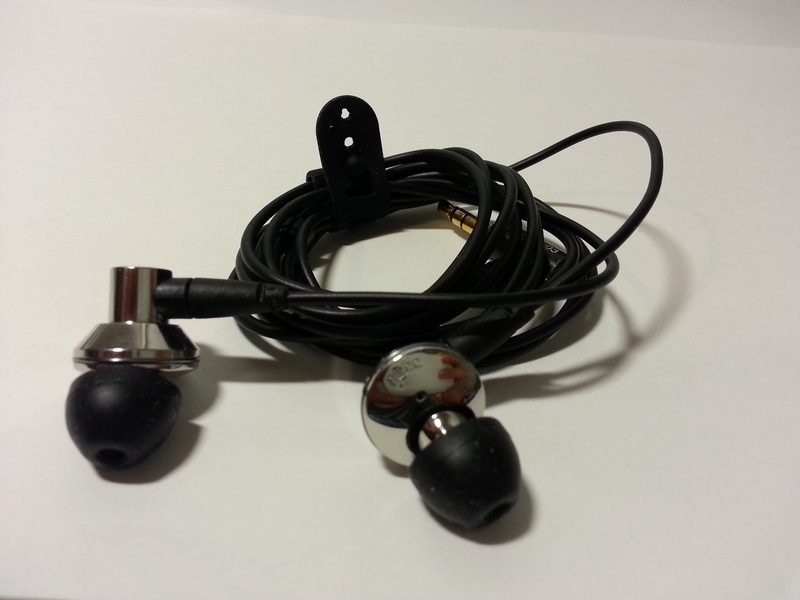 Pros - solid design, removable cable, excellent isolation, detailed sound tuning. Cons - non-standard mmcx connector. 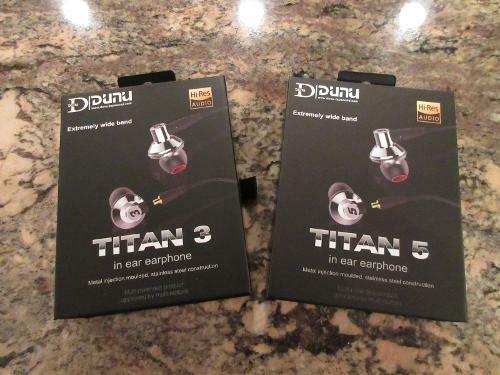 Before I'm going to start my write up, I would like to Thank DUNU for providing me with review samples of Titan 3 and Titan 5 in exchange for my honest opinion. Just a few months back when I was reviewing DUNU’s DN2000J hybrid, I made a comment about how soon they released an update to their flagship IEM. If you thought that was fast, wait till you hear about the whole new line of Titans and DN/DK multi-driver hybrids they announced at 22nd Beijing International HiFi Exhibition last month. And it gets even better since it should be available soon. At this high rate of new releases, I’m afraid that DUNU will have to change their name from Delicate Unique & Utmost to DUNUS - Delicate Unique Utmost & Superfast!!! But make no mistake, while some other companies rush out their releases by cutting corners in either design or sound quality, DUNU came out swinging with more high quality hits. For now I only got a chance to test and to review their new Titan 3 and Titan 5, but considering their track record I have a feeling their upcoming multi-driver DN/DK series hybrids will be as impressive. 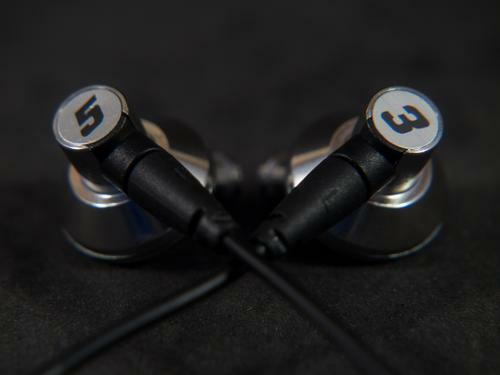 The Titan 1 (T1) was the first in this series of their titanium dynamic drivers housed in a metal injection molded stainless steel construction that resembled a disc shaped earbuds with an attached IEM nozzle. I remember listening to T1 in disbelief of how a single dynamic driver could sound like a high res hybrid, and how impressive soundstage expansion was thanks to their “semi-open” design filled with a lot of air-vents. These IEMs, and their FiiO EX1 version, were great, but perhaps not for everybody who requires a better isolation with minimum sound leakage and maybe a smoother upper frequencies rendition. DUNU took all the feedback into account, including a wish for removable cables, and incorporated all these changes in their new versions of Titan 3 (T3) and Titan 5 (T5) I would like to share with you about. 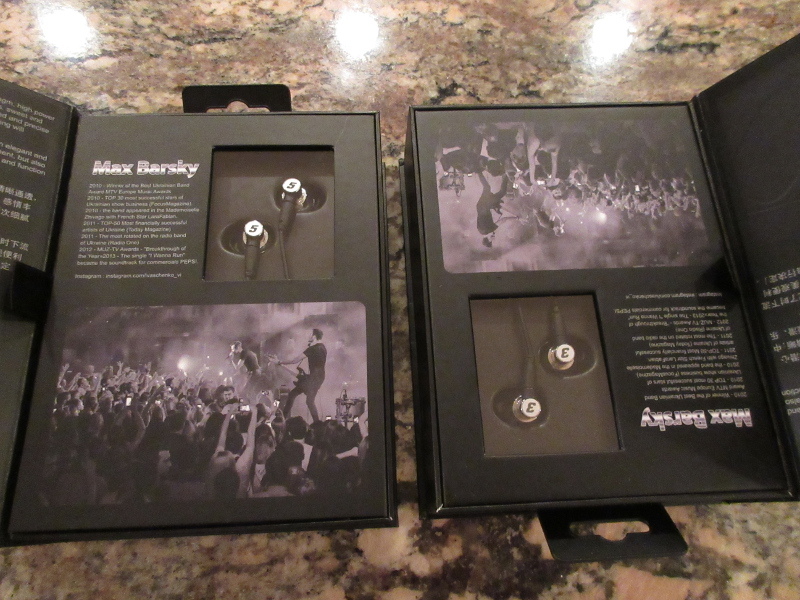 Due to nearly identical packaging, accessories, and design – that part of the review going to be combined, while sound analysis and comparison to other IEMs will be split accordingly. 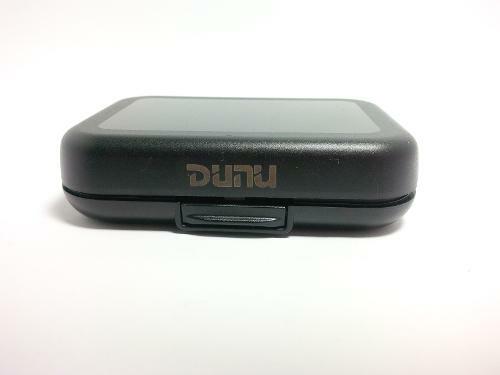 For those familiar with T1 or any other DUNU products you know they never disappoint when it comes to their packaging. You can sense a lot of pride in how headphones are being presented under the magnetic flip covers you open like a book. There is also a lot of info about the product itself on the cover, under the cover, and on the back of the packaging to give you the whole "story" behind the design and what to expect inside. 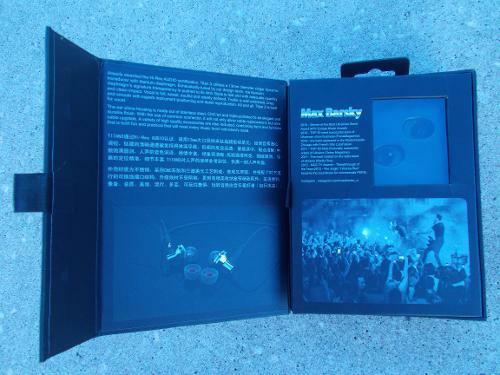 The packaging of T3 and T5, including all the accessories, is nearly identical to the original T1, down to Max Barsky insert info. Either way, this is a premium packaging with a rewarding unboxing experience. Continuing with more similarities to the original T1, you will find a plethora of accessories (identical with both T3 and T5) - something DUNU is well known for as well. You get 2 sets of S/M/L hybrid eartips with a similar medium bore opening of an inner stem and a different degree of cap springiness between two sets. Selection of the correct eartip size to ensure a perfect ear canal seal is very important with any IEM, and Titan series is no exception. In addition, you get 1/4 adapter which comes handy if you are dealing with desktop dacs/amps or ColorFly daps, a shirt clip (not sure if it's really necessary), and a case. There was also an extra set of medium size eartips but only used for display setting, keeping T3/T5 wedged in their form fitted tray. Typically DUNU likes to distinguish their flagship models with extra accessories, like in DN2kJ, but in case of Titans it was just an essential selection. As usual, you can always count on a custom case which is the exact one used with T1. IEMs usually use a storage pouch or a generic round zippered hardshell case, while here it’s a custom rectangular hard body case, though considering build quality of Titans some might argue it's not even necessary. I would have preferred a slightly bigger case box to make sure you don't pinch a cable when closing it, but either way it's a nice case to slip in your pocket. Looking closer into the design starting with a cable, you are not going to find any shocking surprises, at least not until you get closer to the shell. 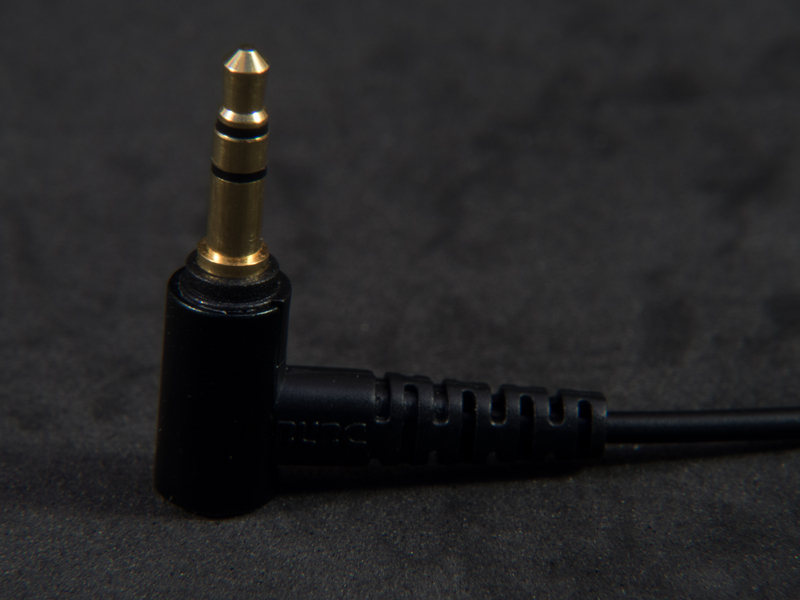 Starting with a right angled gold plated connector, you will find DUNU's signature headphone plug with a great rubbery strain relief and easy to grip metal housing. You will also find their "signature" rubber flap attached to the chord that wraps around the cable for easier storage. 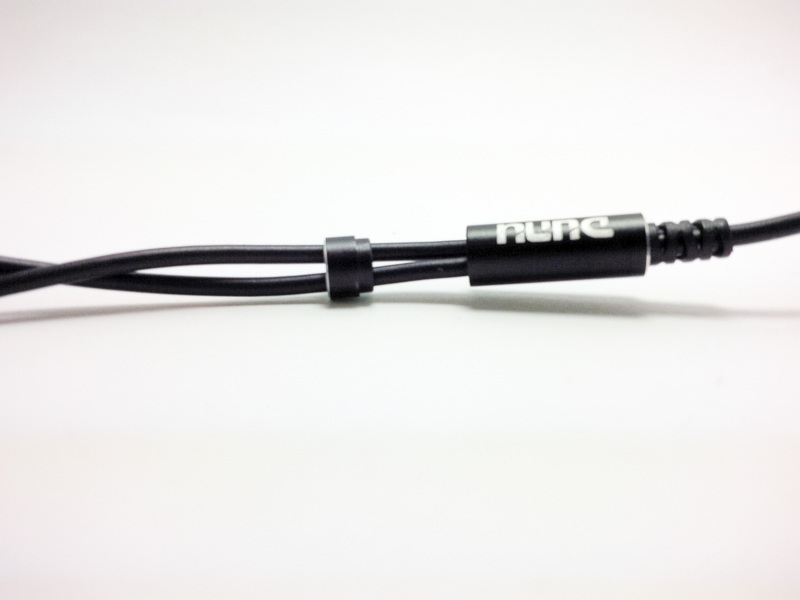 The cable is soft and flexible with a smooth round rubbery jacket going up to a small cylindrical y-splitter capsule. Y-splitter has strain relief on a common side and a chin slider that stores right into the capsule from a split side. To avoid microphonics, cables going up to the shell have a rubbery jacket which feels slightly hollowed, not as noticeable as in their flagship DN2kJ but I can still feel it. Right at the end of the cable you have a nice strain relief and a modified mmcx connector. Having a removable cable is always a plus, but I’m puzzled by DUNU’s decision to use a non-standard mmcx connector. This is a bit of a deja vu from the days when VSonic VSD3/3S was introduced, and coincidentally DUNU uses a similar modified mmcx connector. I noticed that VSD3/3S female part of the connector inside of the shell was not as deep as the one used in T3/T5. 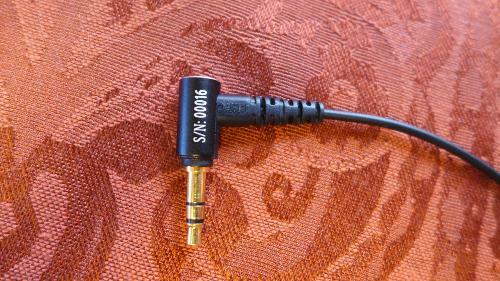 As a result, you can’t use VSonic stock cable, but you can use other replacement cables made for VSonic IEMs. I still have a few pairs of silver-plated Lunashops VSD3/3S replacement cables, and they fit T3/T5 perfectly while also offering a level of sound improvement. 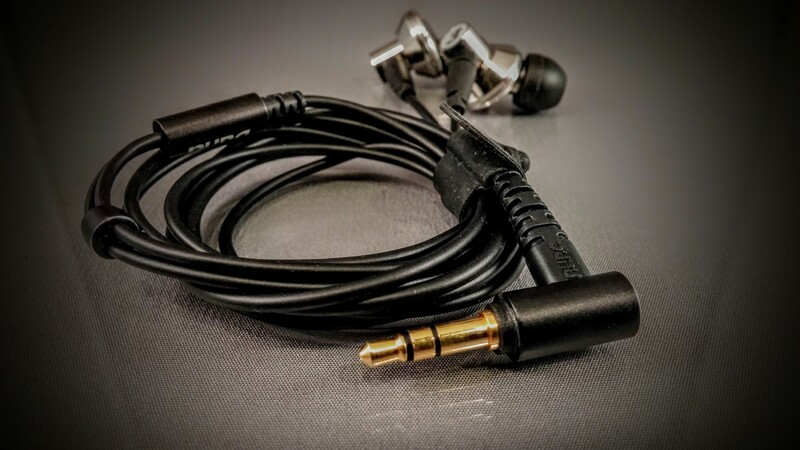 So the bad news is that you can’t use your Shure, Westone, UE, and other universal mmcx connector cables with T3/T5, but the good news is that you can still find a higher quality replacement cables. The design of the shell itself is nearly identical to the original T1 with an exception of having only single air-vent pinhole vs 11 air vents found in T1. I still find the shell to look like a piece of art with its stainless "surgical" steel finish. 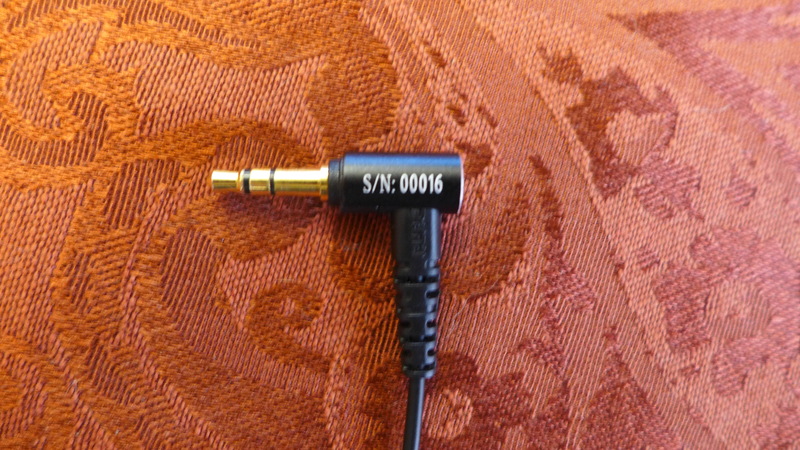 Even though it doesn't have a color-coded accent ring similar to T1, you will find a clearly marked L/R label inside of the shell and on the boot of the cable connector. 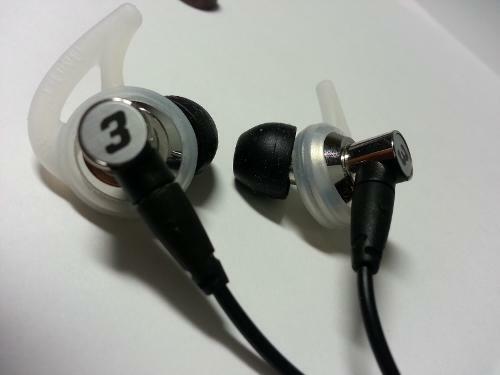 When looking from the back you can mistake T3/T5 for a typical earbud design, but once you flip it over - you will see a short angled nozzle. Nozzle is similar to the original T1 with 7 opening holes. 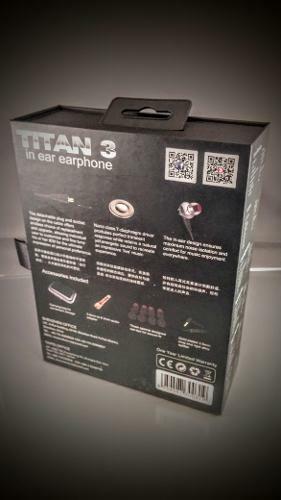 Though Titans have a little bit of heft to them, they feel very comfortable inside of your ear, and I actually developed some kind of a fetish to a cold metal touch lol!!! Also, due to reduced amount of air vents, isolation now is perfect, but you will sacrifice airiness and expansion associated with the original "semi-open" design. 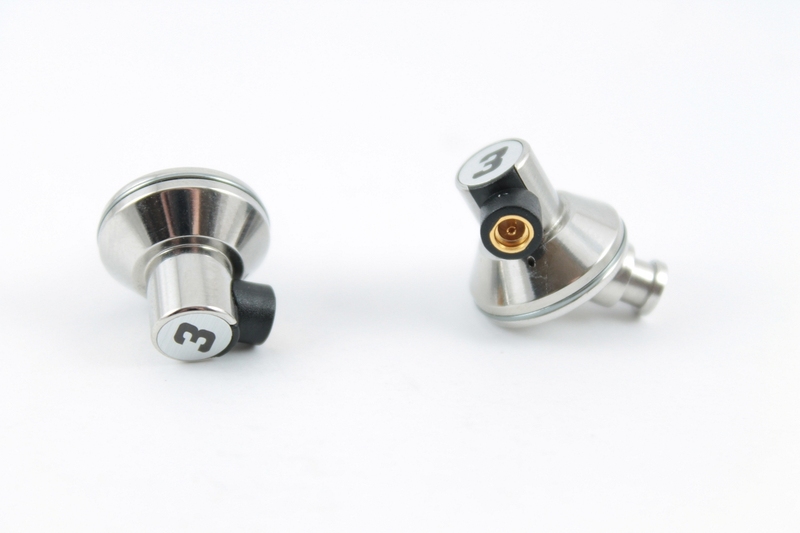 When it comes to fitment, T3/T5 were obviously designed to be worn wire down, and with a right selection of eartips they stay secure even when you actively move around. If you prefer over the ear fitment for additional security, you can do that by unplugging and flipping L/R shells since a nozzle angle will feel uncomfortable otherwise. This is one of the advantages of removable cable where you can still maintain the correct wiring of left/right channels since the cable doesn’t have to stay with earpieces when you flip them. Now we are up to a sound analysis, and this is where all similarities end. While I found T3/T5 to look like an identical twins from outside, they actually pack a distinct personality with a unique sound signature. Considering dynamic nature of the drivers, I put both of these IEMs through 50 hours of burn in where I noticed a sound change within first 10 hours before it stabilized. 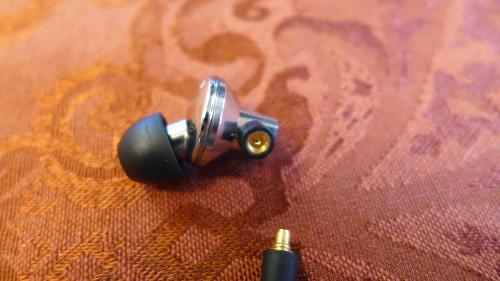 Afterwards, I have been listening to these IEMs for over a week, and here is what I hear. T3 has a slightly mid-forward signature, neutral extended low end going down to a modest sub-bass rumble and a fast punchy mid-bass - probably among the best balanced low end performances I have heard in IEM where I don't mind quantity close to a neutral fun level. There is absolutely no bleed or spillage into lower mids. Mids are slightly forward with a leaner lower mids where you still have plenty of convincing body, and detailed upper mids with an impressive level of revealing clarity wrapped in a blanket of smoothness. Treble is nicely extended, crisp, airy, and tuned to avoid all the harsh peaks. Sound is bright but not sibilant or harsh; relative to T1 I definitely hear less upper frequency peaks or metallic sheen. Soundstage has above average width/depth, and just an average height. 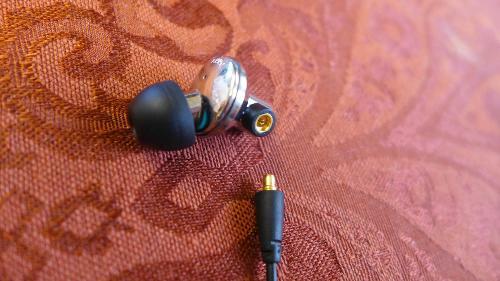 Also, it has an excellent layering and separation of the sound which never feels congested. Vocals are a bit less organic due to brighter sound signature, but still have a rare combination of smooth revealing timbre. T5 has v-shaped signature (maybe even closer to u-shaped), with a deep extended bass that has a nice sub-bass rumble and moderately fast elevated mid-bass hump, where the bass spills a little bit into lower mids to add warmth and body to a sound. Bass in T5 has both quality and quantity, and not necessary super aggressive or overly articulate. Mids are definitely scooped but not to an extreme, where you get a full body warm lower mids and a clear smooth upper mids (definitely smoother than T3), and extended crisp treble, though a little less airiness than T3. There is no sibilance or harshness, just a detailed sound with an elevated low end impact that doesn't overpowers too much the rest of the spectrum. Similar to T3, soundstage has above average width/depth, and not as much height. Layering and separation is just ok due to elevated low end and scooped mids, where I sense it can get a little congested in some tracks. But the sound is more organic and smoother. To summarize T3 vs T5 comparison, they have a very similar soundstage. 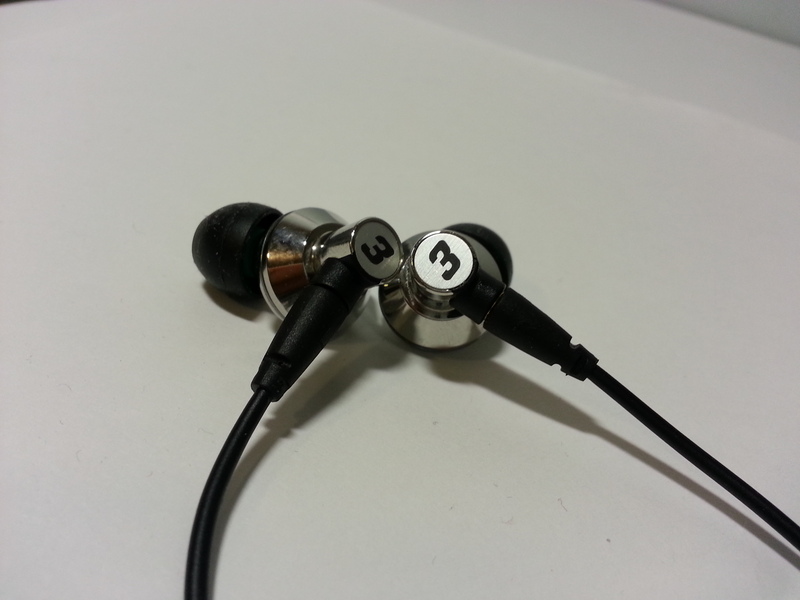 T3 has a more articulate and a better controlled neutral bass while T5 has a bit looser and a more elevated low end. T3 mids are slightly more forward, bright, and detailed, while T5 mids are going in the opposite direction while being more scooped, warmer, and smoother. 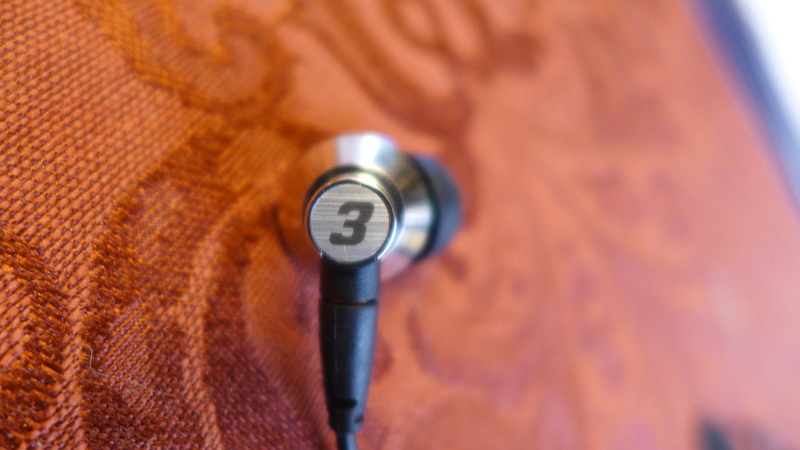 Treble is similar with the same level of crisp well defined sound, but T3 is a little brighter and with more airiness. Also, T3 has better layering and separation of sounds while T5 felt a little congested in comparison. Also, neither T3 nor T5 require amping, it pairs up great with any source, and also surprisingly not very picky about audio file quality. Another thing I wanted to point out is the effect of the replacement cable. I already mentioned before that T3/T5 uses non-standard mmcx connectors, similar to VSonic VSD3/3S IEMs. Though I wasn't able to use VSonic cables, I had no issue with their replacement silver-plated cables from Lunashops. With that cable sound quality did scale up, and it was actually noticeable. In T3 with silver-plated cable bass quality goes up and becomes tighter, better controlled, more articulate, though not exactly night'n'day difference but more like a refinement. In addition to an improvement in low end, upper mids became a bit more balanced, more transparent, and more detailed, almost like a faint layer of veil was lifted off, but sound was still under control without crossing sibilance level. The stock cable feels smoother and warmer in comparison. 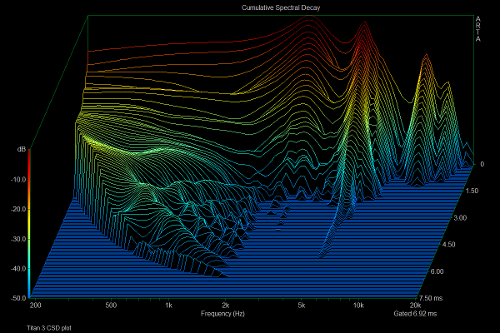 sound quantity changed, becoming too exaggerated for my personal taste. In comparison to my other headphones, here is what I found. T5 vs VSD3S - nearly identical bass slam with a similar sub-bass extension and mid-bass punch, lower mids are very similar as well, but upper mids in VSD3S are a bit higher in quantity while T5 mids are more detailed. 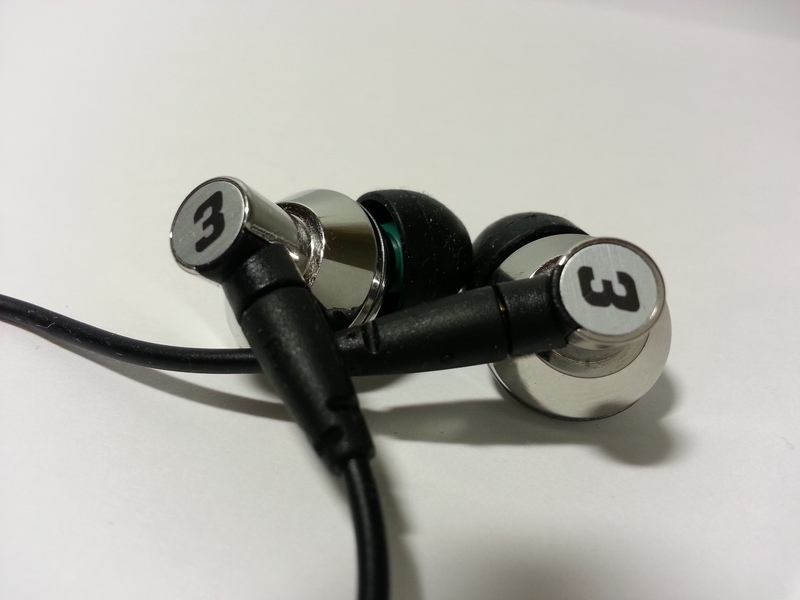 Treble in T5 is brighter with a better extension and crispier. T5 vs IM50 - very similar sub-bass extension while IM50 mid-bass is faster and more elevated and overall the low end is a bit more articulate. Lower mids in IM50 are thinner and upper mids are not as detailed and a little smoother, treble in IM50 is not as crisp or airy, and not as extended as T5. T5 vs CKR10 - CKR10 has less sub-bass and faster mid-bass punch, low end is tighter and more articulate, lower mids are leaner and brighter, upper mids are more balanced and more upfront, treble is very similar. 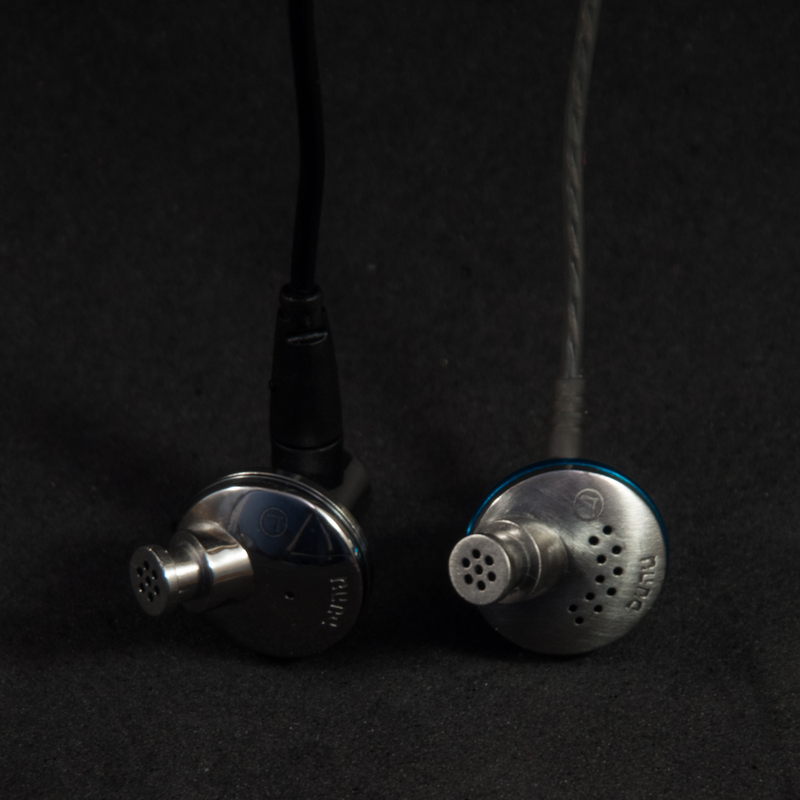 T5 vs AD01 - AD01 sub-bass is deeper, mid-bass has higher quantity and bleeds more into lower mids, mids are similarly scooped, while T5 mids are more detailed and a littler leaner, T5 treble extension is better, brighter, and with more airiness. T5 vs A73 - A73 has a more noticeable low end slam, especially in mid-bass region, mids are a little more recessed and not as detailed as T5, A73 mids have more body and smoother, and treble is not as extended or as crisp as T5. 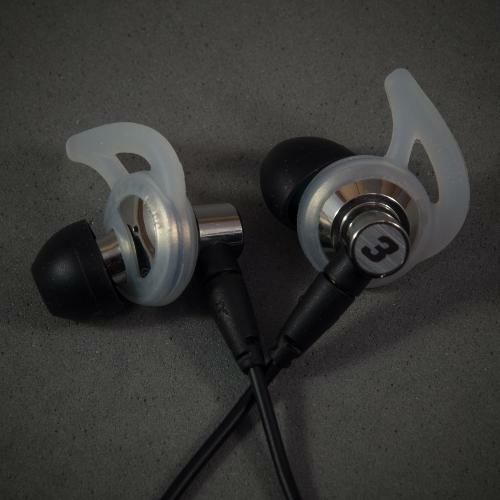 T3 vs E80 - very similar neutral quality low end, but T3 has a little more rumble, E80 mids are a little smoother and a little less in quantity when compared to T3, and also not as revealing. Treble is very similar, though T3 has a slight advantage with a bit more airiness and better definition. T3 vs UE600 - very similar neutral low end quality and quantity, UE mids are more balanced and a bit smoother but not as natural. Treble has a similar extension but a touch less brightness and not as crisp. T3 also has a better layering/separation. T3 vs DN2kJ - low end has a similar quantity, but DN2kJ bass is tighter, more articulate, and under better control. Mids are not as mid-forward in DN and slightly more detailed/revealing. Treble is similar, but has a little better definition and slightly more airiness. But overall, T3 is strikingly similar to DN2kJ, like a scaled down and less refined version. I really didn’t know what to expect when I received Titan 3 and Titan 5 for review. A lot of companies, DUNU including, use model numbers to indicate number of drivers or significant design changes. Here I found that the index of the model number indicates a different tuning, while the design remained the same. As a matter of fact, if there wouldn’t be “3” and “5” on the back of the shell, I wouldn’t even be able to tell them apart just by looking at it. But it’s a whole different story when you put them in your ears. Personally, I found Titan 3 to be exactly my cup of tea. Hard to believe that I’m turning my back on a more bass-heavy Titan 5, but I honestly felt in love with Titan 3 tuning. I was already in love with DUNU Titan design, and Titan 3 sound signature just sealed the deal for me. I'm still on a fence about the removable cable. Without a doubt it’s a great idea which allowed me to test Titans with replacement silver-plated cables, but lack of a standard mmcx connector makes it less appealing for those who already have a collection of Westone/Shure/UE cables. 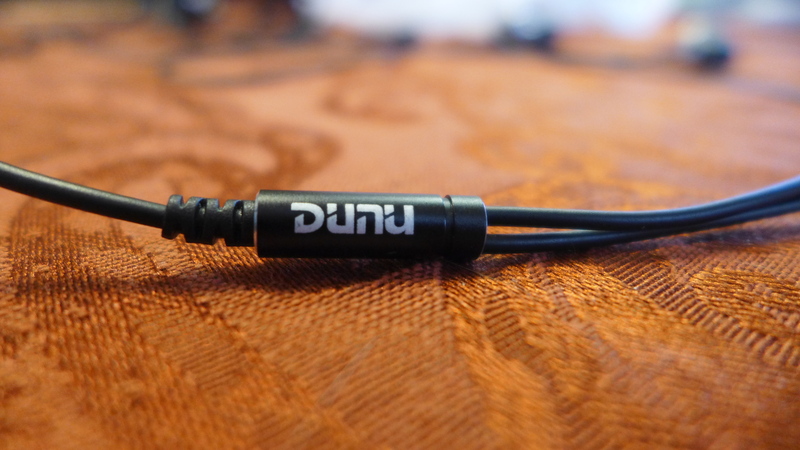 But regardless of that, I’m very impressed that DUNU listened to their customers to implement better sound isolation, option to upgrade cables, and a detailed sound signature without crossing over threshold of harshness. If you want a more neutral detailed signature – go with Titan 3, and if you fancy more bass impact and v-shaped fun signature – go for Titan 5. Light - Man, reluctant_engineer, peter123 and 2 others like this. good review keep up the good work! Pros - Retuned with more prominent mids. Increased isolation. Attractive design. Cons - More conventional soundstage. 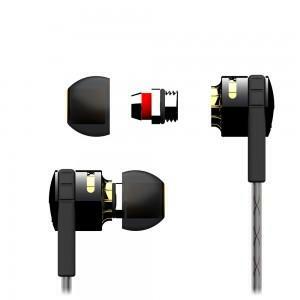 Larger earpiece strain reliefs. Heavier earpieces. Dunu's teaser for the forthcoming Titan 3. I'm going to let you in on a secret: I never tried the original Dunu TITAN 1. Why? The many excellent reviews were balanced out by reports of weak bass and aggressive highs. These discrepancies made me leery of trying them. 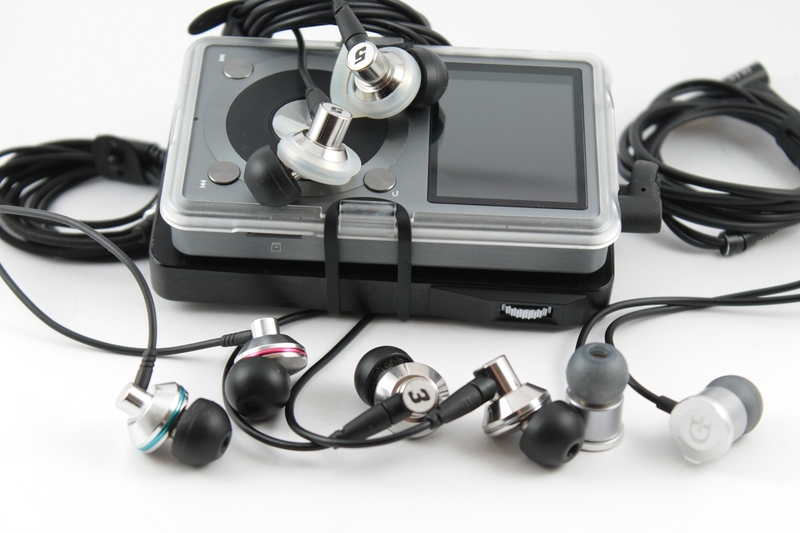 But when I saw Fiio sponsor a tour for the EX1 (basically a Fiio-branded TITAN 1 - LINK to review), I signed up. Here was my chance to hear one of the most hyped IEM of 2015. If I didn't like it, no worries. If I did like it, maybe I'd end up buying it. Either way, I'd find out if the hype was deserved. Okay, okay. I'm not talking about the TITAN 3, you say. You're right. This is the convoluted back story into how I stumbled into reviewing the TITAN 3 (T3 from here on out). With Dunu on my mind, I stumbled on a thread (LINK) announcing Dunu's new hybrids. 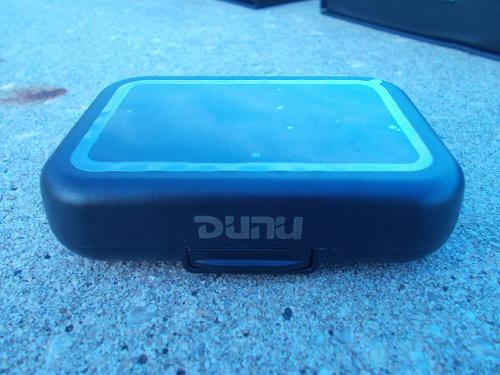 I'm a previous DN-1000 owner and hybrid believer, so when I saw the announcement I contacted Vivian at Dunu and asked if I could get some review loaners to review and then tour in the US & Canada. Those of you who know me, know I love to tour the gear I get for review. It's a great way to let some of my fellow Head-Fi members try out new gear before they commit to buying it. 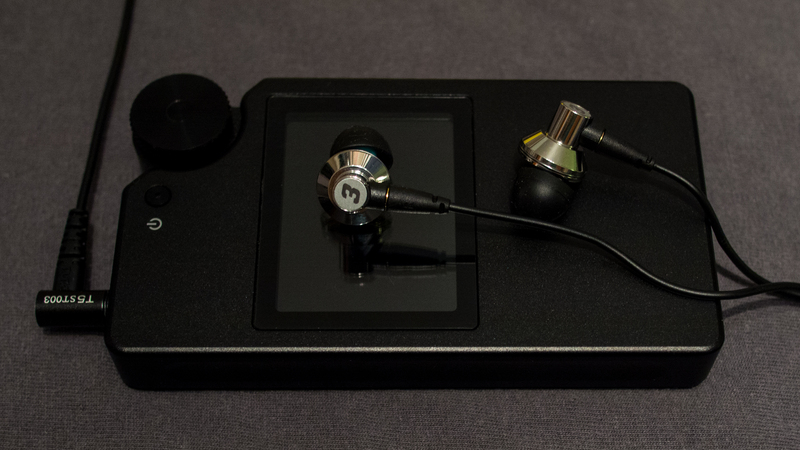 They can also share their experience with the Head-Fi community. It's been a lot of fun so far. Anyways, Vivian told me that while the new hybrids were still in pre-production mode, she could send me the new T3 and T5 for review. 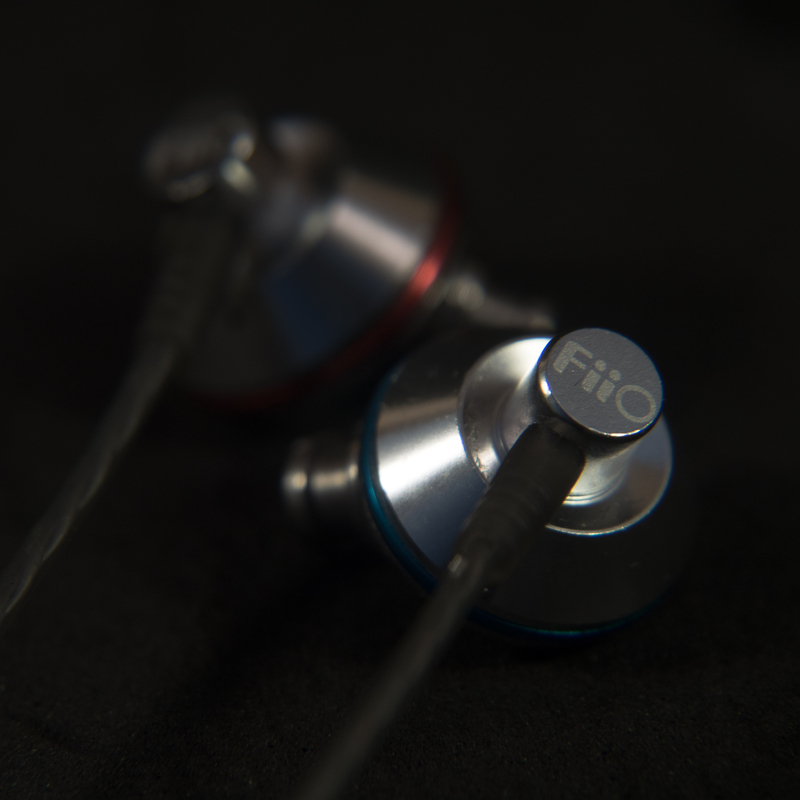 Since I was getting the Fiio EX1 in for review, I thought it would be a lot of fun to get the new T3 & T5 in at the same time and see what I thought of them. So I told Vivian yes, and here we are. With advanced technology and hi-end equipments, DUNU desires to be able to provide Delicate, Unique ＆ Utmost products for Hi-Fi embracers. Delicate means extremely quality demanding on product process, from every little component to product manufacturing. DUNU has complete production line and equipments, including precise equipments, B&K frequency machine, IMD sputter, CNC machine, anechoic room, etc. Concerning design of product, DUNU also devotes to create unique outer appearance and balance in all sound frequency. 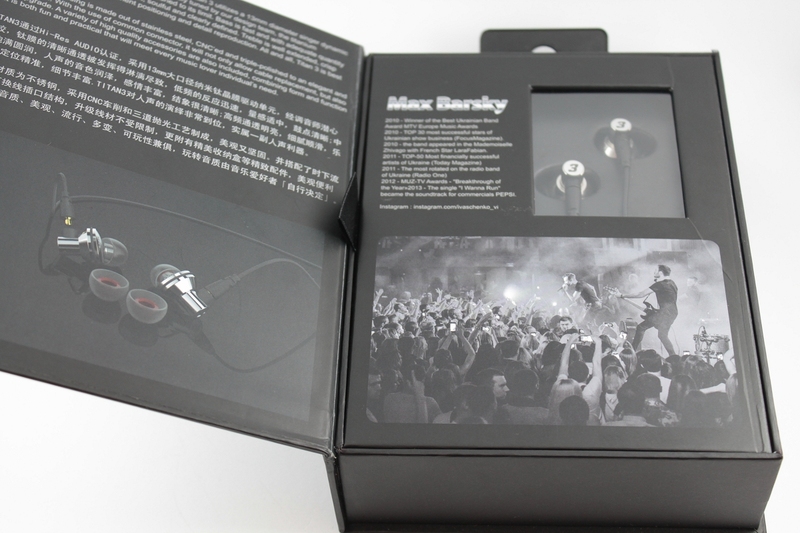 Utmost is not only the expectation on products, but also the pursuit of an Earphone Manufacturer. The founder of DUNU, himself, has years experience in OEM/ODM earphone products in which many worldwide famous earphone Brands are included. 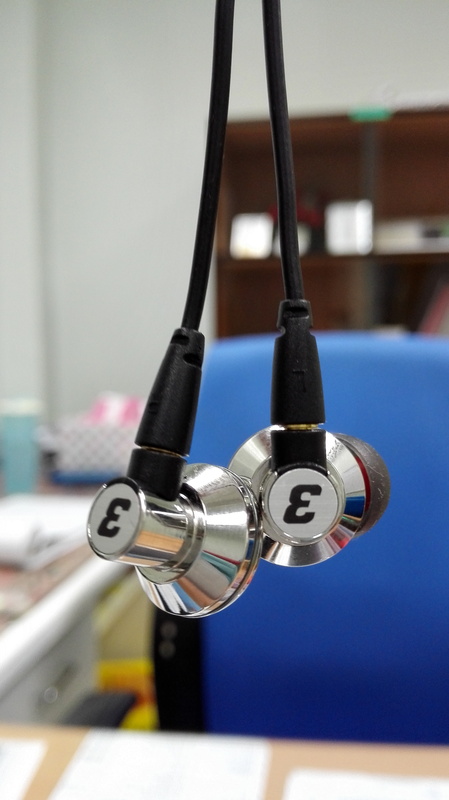 However, in order to create the most enjoyable earphone on his own, DUNU’s president establishes the brand “DUNU” and implants many hi-end equipments and hires talented employees. 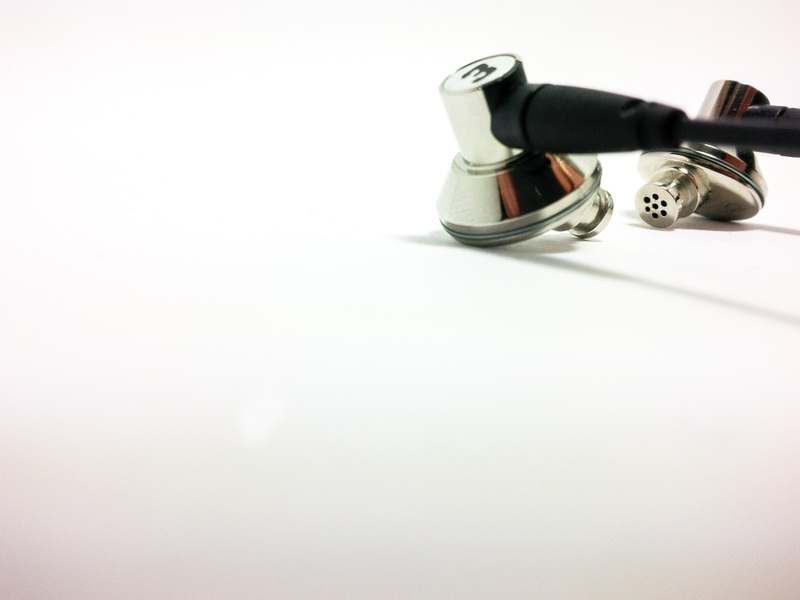 From then on, DUNU takes the lead in developing the first Chinese made metal earphone, developing 5.8mm Driver unit and produce the very first Chinese Balance Armature Earphone, in 2014 DUNU release China first triple driver Dynamic and Balance Armature Hybrid earphone, All these preparation are to step on the world stage and to challenge renowned earphone brands. The ultimate goal of DUNU is to provide worldwide HI-FI embracers our Delicate, Unique & Utmost earphone products. Dedicated Dunu TITAN thread: LINK. There is no financial incentive from Dunu for writing this review. I am in no way affiliated with Dunu, and this is my honest opinion of the TITAN 3. 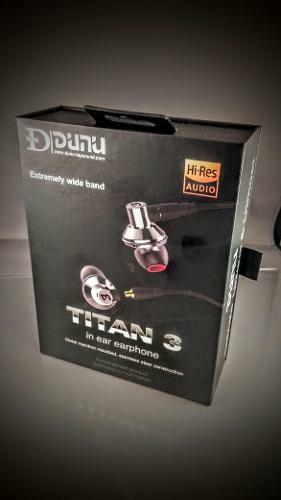 I would like to thank Dunu for giving me a chance to test drive and tour the TITAN 3, and I hope my feedback proves useful for my fellow Head-Fi members as well as for Dunu. I'll let the packaging speak for itself. It's essentially the same as the TITAN 1, so if you've seen that you'll know what to expect. Not pictured: Shirt clip + 1/8" plug adapter. So you get the T3, Heir and Hybrid style tips in S, M, and L, the hard carry case, a shirt clip, and an 1/8" plug adapter. Not bad. I'll say right now that I'm not a fan of Heir style tips. 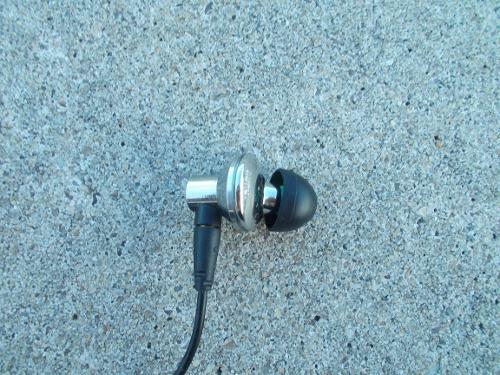 They always seem to slip out of my ear canals. The Hybrid style tips are grippier and stay put in my ears much better, so that's what I gravitated towards. While the hard case works very well with the EX1, the T3's housings are just a bit too big to allow the case to close properly. There were many times where I had to reposition the T3 in order to get the lid to snap shut. I'd suggest Dunu include a slightly taller case in the future. 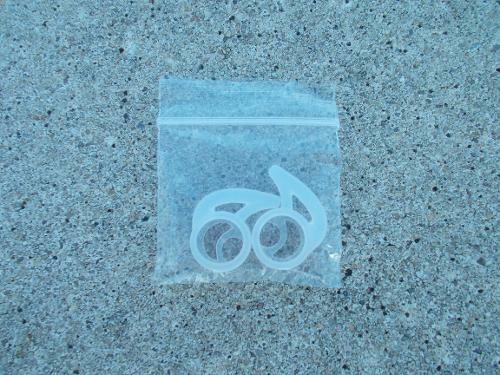 Just another 5mm would make all the difference and wouldn't add too much bulk. I didn't try the shirt clip with T3, but I've used the same clip with my DN-1000, and it works just fine. 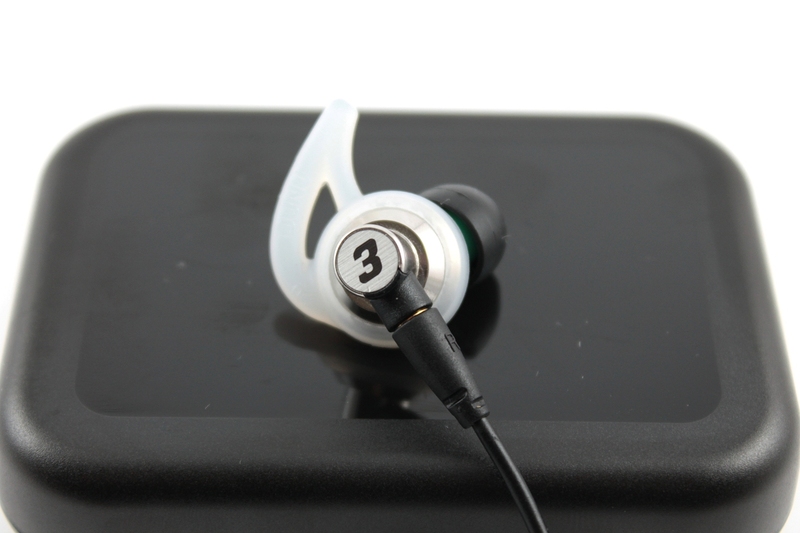 The T3 are a half in-ear design, which allows them to include a large driver without compromising on comfort. I'll walk through the various design and ergonomic features of the T3 in pictorial format below. Here's an view of the T3's inner face. It's a nice all-metal design. My only comfort concern can be seen in this picture. The seam where the front and back housing meet, while not overtly sharp, does tend to end up digging into my ears a bit during long listening sessions. It doesn't bother me during shorter listening sessions and is really only an issue during longer sessions. It's not a major issue, but I thought I'd mention it. My thought is that it digs in due to the heavier housings, as this wasn't an issue with the EX1. Vivian did let me know that I'll be receiving an additional accessory to make the T3 even more comfortable. It should arrive soon, and I'll update this review as needed with pics and my thoughts on the new accessory. So here's the mysterious "comfort accessory". They're soft silicone ear stabilizers, and they work a treat! As mentioned above, I found the newer TITANs to dig into my ears after a while. With the ear stabilizers in place, this was alleviated and I could wear them comfortably for extended periods. And not only do they work for the TITAN 3 & TITAN 5, they've also been confirmed to work with TITAN 1 with no vent hole blockage. 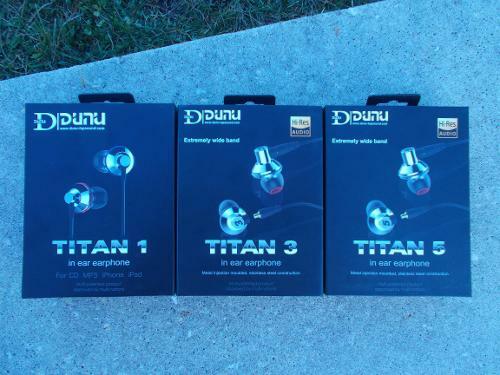 So if you're an interested TITAN 1 owner, contact DUNU and let them know! Those of you familiar with the T1 (or EX1) are looking at that picture, thinking where did all the vent holes go? Yup, Dunu eliminated most of the vent holes with the T3, and it's definitely noticeable in the soundstage department. While T3 has a nice (if conventional) soundstage, it lacks the open, airy sound that made the originals really stand out from the crowd. A couple more things I'd like to point out in the picture above are the brushed metal inner housing and color coding on the original. I'd love it if the entire housing was brushed metal. I much prefer the more subdued, less reflective aesthetics of brushed metal. I'd also love to see the color coding carried over to the T3 but with less candy-like colors - a nice dark red for right and black for left would be classy and useful, since the L/R identifiers are very low contrast. 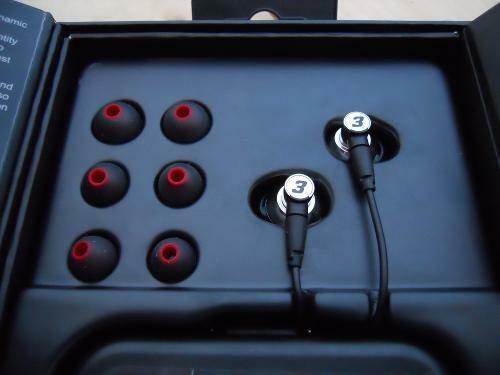 Dunu designed the T3 with detachable cables. This means you don't need to worry so much about them shorting out, since Dunu will offer replacements (and compatible upgrade cables designed for their new hybrids). It also means the housing and strain reliefs needed to be bigger to accommodate the connectors and caused a 33% weight increase over the originals. As mentioned above, this did lead to some discomfort issues for me over time, but I'm hoping Dunu's new accessory will help abate that issue. A bonus is that you can now wear them over ear without inverting channels. 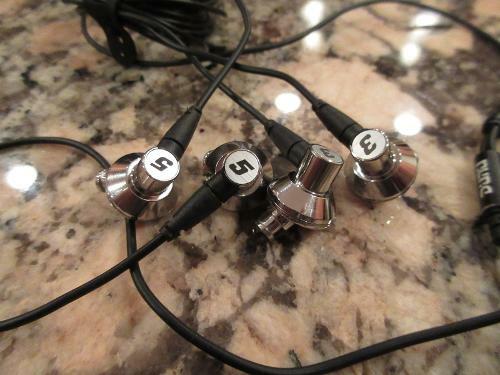 Since they're a chiral / handed / sided design, you just need to swap L/R channels if you want to wear them over ear. Incidentally, the connectors are very similar to VSONIC's VSD series connectors. I tried to swap them, but they didn't quite fit and I didn't want to force them. Dunu's implementation is much better in my opinion, being quite easy to remove and connect whereas VSONIC's connectors often got stuck and had many reports of cutting out over time. I've been listening to the T3 for quite a while now and have had absolutely no issues with the connectors. I'm looking forward to what Dunu's upgrade cables bring to the table. To illustrate the difference size, here are some pictures. Fiio EX1 on top. T3 & T5 on bottom. Dunu's awesome cable management feature. Wish all my IEM had this! Here's what T3 look like worn down vs. over ear. 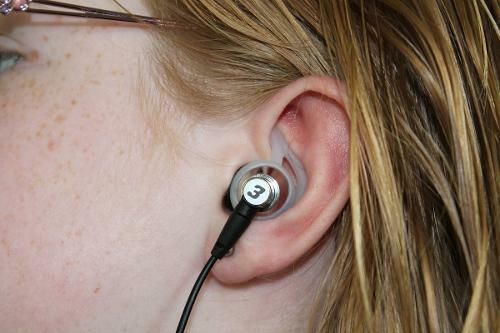 While they're designed to be worn down, they can be worn over ear fairly easily - although I'd again reiterate that the original's smaller strain reliefs made over ear wear even more comfortable. I'm going to keep this section simple. There are more reviews coming soon. So if this isn't detailed enough or doesn't answer all your questions, just hold on and I'm sure one of those will answer your questions. You can always hit up the TITAN thread, where those of us who've gotten early access have been describing their experience. In particular, I'd suggest you start on page 150 with this post (LINK). There's some good discussion and FR graphs after that which will help you decide which TITAN is right for you. I mainly listen to experimental electronic and metal and use those genres to evaluate HP & IEM. 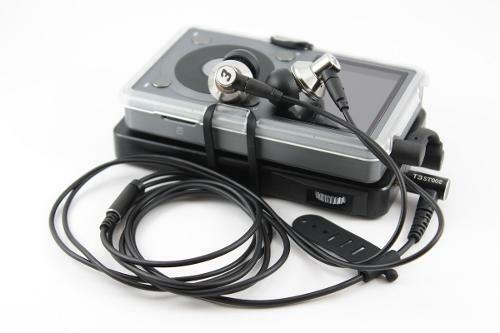 During my time with the T3, I mainly used them with the Fiio X5, Shanling M3 DAP (LINK to review), and the newly released Shanling M2 I have in for testing and US tour (LINK to the M2 thread I started). I know a lot of people are asking themselves how the new TITANs differentiate themselves from the original beyond the physical redesign. Reviews from people I trust (EXAMPLE) indicate that T1 and EX1 sound identical, so the EX1 will be my T1 surrogate for this review. As mentioned above, I'm going to keep it simple with some notes I took while listening to my Fiio X5. It's the hardest to drive, has the worst isolation, but has the most unique sound. Regarding driving power, a comfortable listening level in a quiet rom was 35 on Low Gain out of my X5. That actually indicates to me that the X5 isn't actually hard to drive - just harder to drive than the other TITANs. To get an initial sense of isolation, I snapped my fingers by my ears while music was playing. The snaps were dulled but still clearly audible. Later I listened to them while walking in my neighborhood, and while they were definitely less isolating than my other IEM it wasn't night and day. It certainly wasn't egregious, and I clearly had a better sense of environmental awareness. Soundstage was open and airy for an IEM at any price point. I was quite impressed with the holographic sound. It actually reminded me a bit of my HiFiMan HE400 in this respect. Not the same mind you but reminiscent nonetheless. The basic sound signature is a u-curve. Bass is relatively flat with just enough mid-bass emphasis to add a bit of punch - definitely neither weak nor boomy. Mids are neutral and clear but are a bit lacking in sweetness and emotion. The upper end is a bit edgy but didn't verge into sibilant territory for me and is something I could easily be happy with. 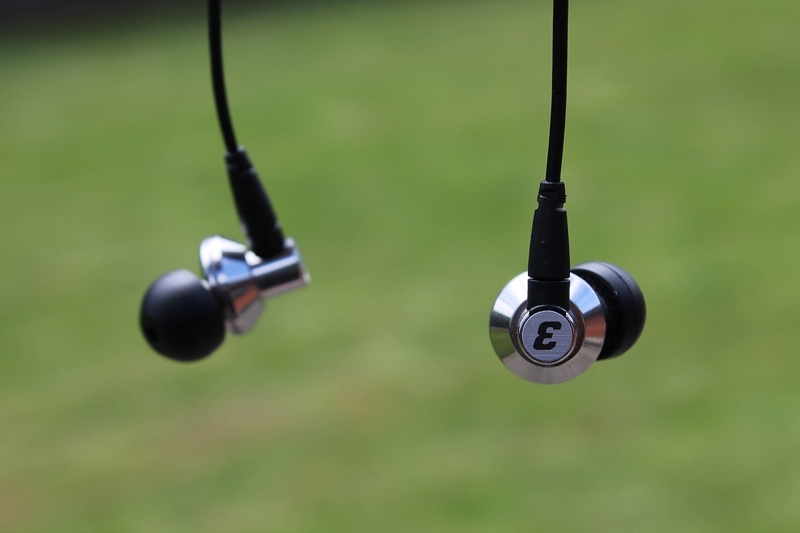 Quite honestly, the EX1 exceeded my expectations, pushing a lot of the right buttons for me. Soundstage was fantastic, providing a very holographic listening experience. Bass was deep enough for a satisfying listen with electronic music but also fast enough to keep up with the rapid fire kick drums oft employed in metal music. Mids were definitely the weak point but were present enough not to call EX1 recessed. They're the aspect of EX1 most ripe for improvement. While the upper end was a touch harsh, it wasn't as aggressive as I was expecting and provided a good level of detail without veering into fatiguing territory. I see what the hype was about now. EX1 sounds nice! Ok, now we have our baseline. How do the new TITANs compare? T3 are the easiest to drive of the bunch. To get a comparable volume, I was able to turn my X5's volume down to 28 while listening in a quiet room. Isolation is on par with typical dynamic IEM. I could barely hear my fingers snapping when music was playing and environmental noise in my neighborhood was mostly blocked. Soundstage is much more conventional. Gone is the original's very open, airy almost holographic sound. T3's sound signature is just on the warm side of neutral. Bass sounds similar to the EX1's but a bit flatter. Nonetheless, it was still satisfying with a wide range of music. The key difference is the mids, which are more present vs. EX1. Whereas the EX1's mids were neutral, the T3 brings them forward - especially the upper mids. This makes female vocals pop. Those of you who know me know I'm a big Bjork fan and routinely use her Biophila album when testing new IEM. T3 were hands-down the best of the TITANs for bringing out the best in Bjork's voice. EX1 and T5 were still satisfying but failed to convey the same emotional presence the T3 did. Similar to the low end, the T3's upper end sounds similar to EX1 but takes the edge off. If you thought the originals were a bit on the harsh side, T3 should solve that issue for you. T5 are just a bit harder to drive than T3. To get a comparable volume, I had to turn my X5's volume up to 30 while listening in a quiet room. Isolation is identical to T3, so on par with typical dynamic IEM. Soundstage is still quite conventional, but I found the soundstage larger vs. T3. 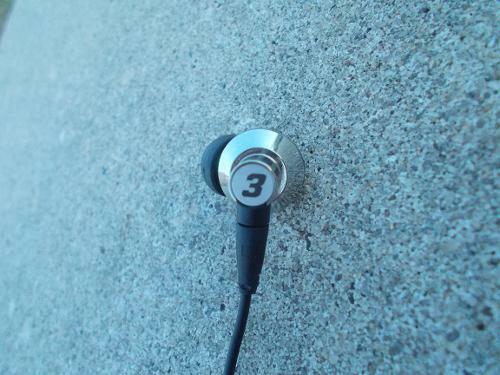 And just like the T3, you'll be missing the original's open, airy sound. T5's sound signature is a mild v-shape. Bass is the star of the show. It's more prominent than the other TITANs but is well-done - not loose or boomy. 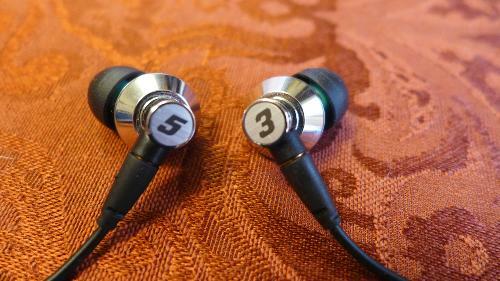 The mids are neutral and remind me of the EX1, whereas the upper end is quite reminiscent of the T3. Revisiting Bjork for a minute - where T3 really made Bjork's voice pop, the T5 made the bass drops more satisfying. But when switching to The Eagles, I found the T5's bass made the bass guitar more prominent than I was used to. EX1 and T3 feel truer to the music in this respect. T3 takes the general EX1 sound, adds in more prominent mids (especially upper mids), more refined upper end, and better isolation. It also brings a much more conventional soundstage. 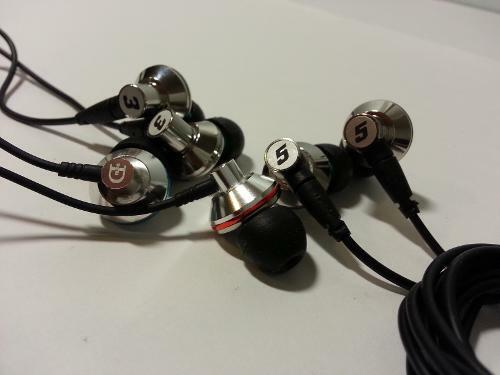 T5 takes the general EX1 sound but adds in more prominent bass, more refined upper end, and better isolation. 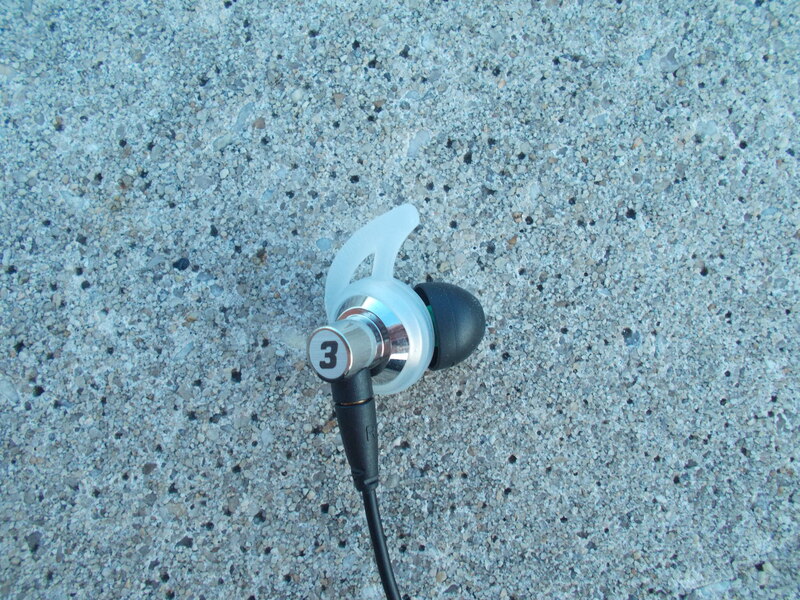 It also brings a much more conventional soundstage but not as much of a compromise as T3. So what do I think of the TITAN lineup? Well, first of all I'm going to admit that I'm saddened that it took me this long to hear the originals. The EX1 are a superb IEM. Sure they've got a few flaws, but their open, airy soundstage and well-balanced sound signature more than make up for the small amount of harshness up top. They're also a very comfortable IEM. Hearing the T3 & T5 makes me confident in saying that Dunu's made a good case for product differentiation in the TITAN lineup. I could see people gravitating towards the different models based on their sound signature, soundstage, and isolation preferences. Personally, I gravitate towards EX1 for it's open, airy sound and T3 for improving the original's sound with improved mids. 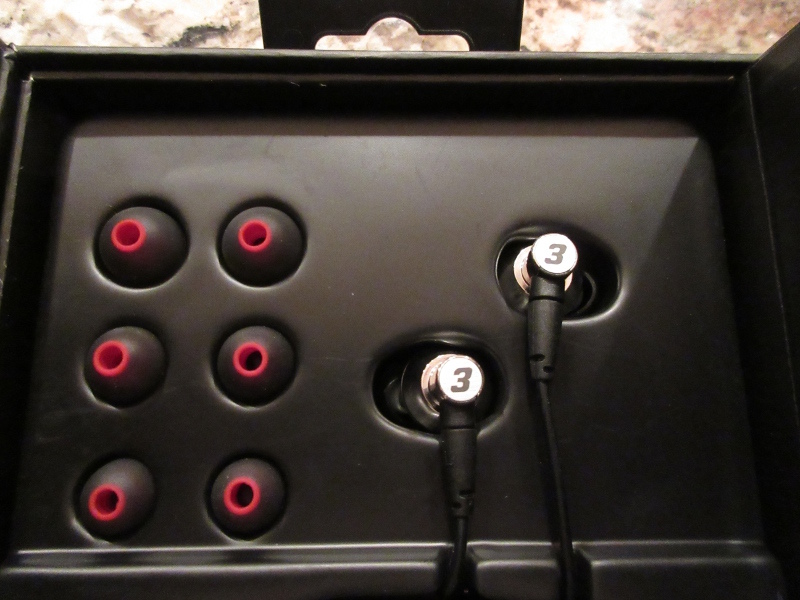 While I like the T5 and think it's a solid IEM, it just doesn't call out to me like the others do. What did I feel could be improved? I'd love to see what the T3 & T5 would sound like with the same tuning but additional vent holes to give them a more open soundstage - even at the expense of decreased isolation. I also question the validity of using detachable cables, which adds complexity, added weight, and larger housings. This resulted in the new TITANs being less comfortable than the originals for me. I'd also like to see a thicker carry case, as the larger housing make it difficult to close which wasn't a problem with the EX1. 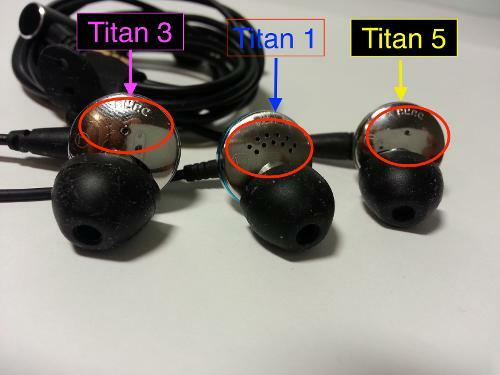 Beyond that, I think all three TITANs are great IEM. It's just a matter of choosing which suits your needs. EDIT: As noted above, the new ear stabilizer work very well to alleviate the minor comfort issues I was experiencing. Good job being proactive, DUNU! I'd like to give a hearty thanks to Vivian at Dunu for giving me the chance to review and tour the TITAN 3 and TITAN 5. I really enjoyed my time with them. Be on the lookout for a US & Canada tour opportunity! Light - Man, thepooh, B9Scrambler and 6 others like this. Thanks, guys! Now the fun part - TOUR!! !